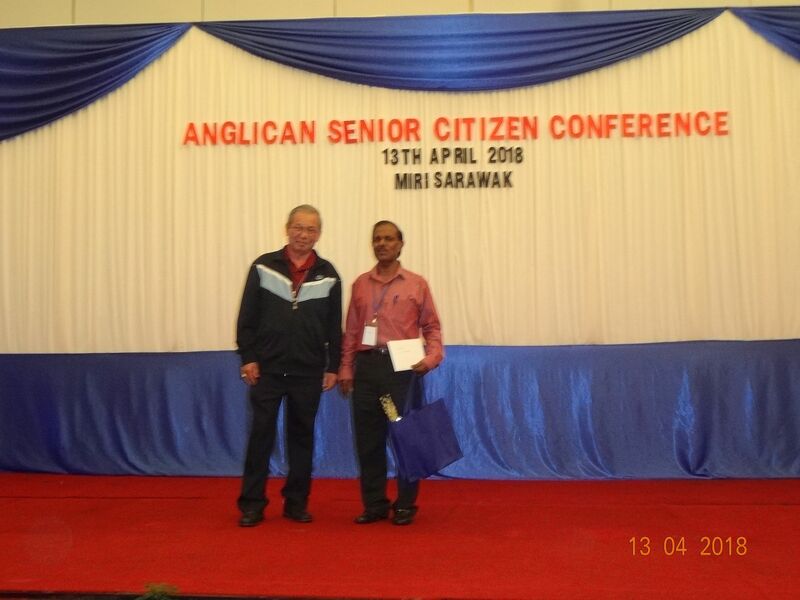 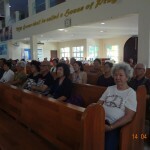 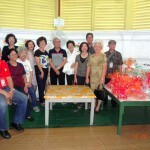 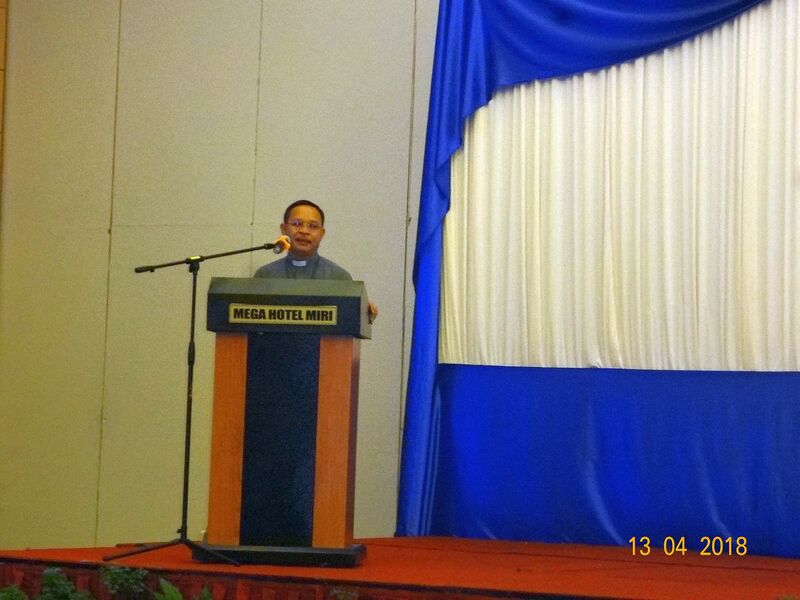 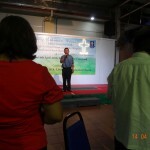 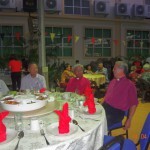 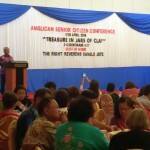 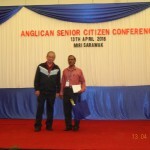 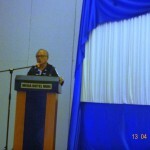 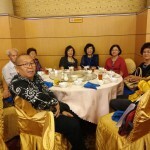 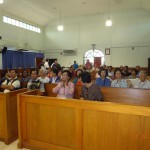 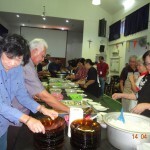 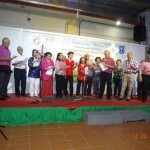 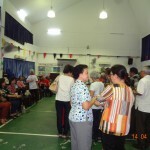 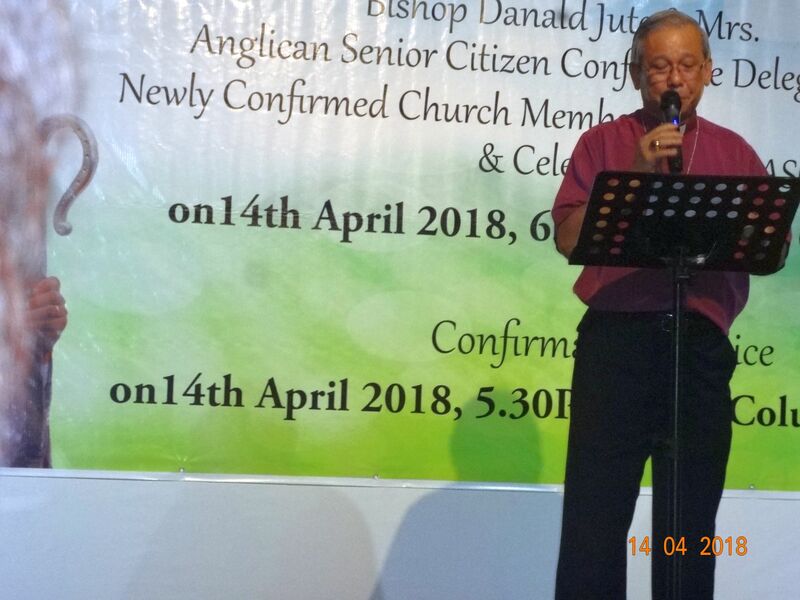 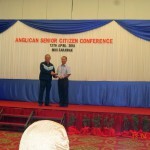 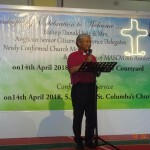 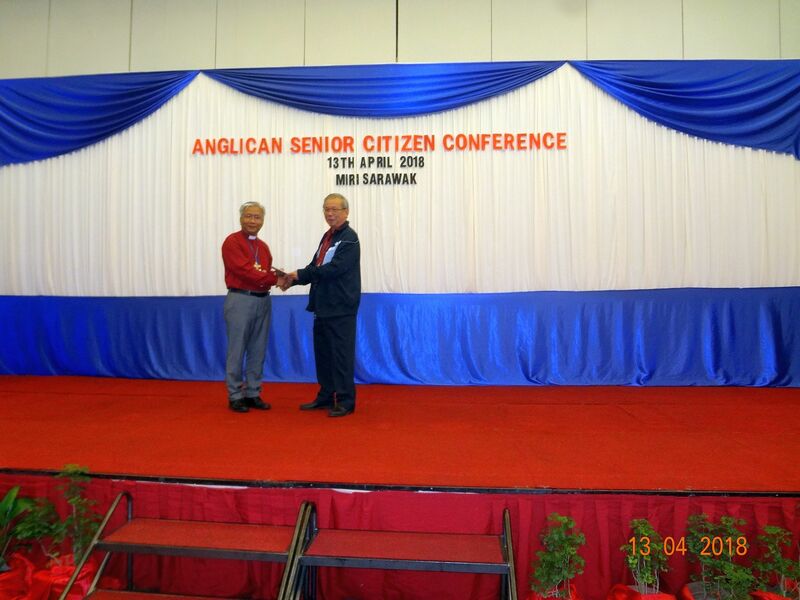 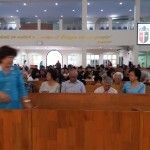 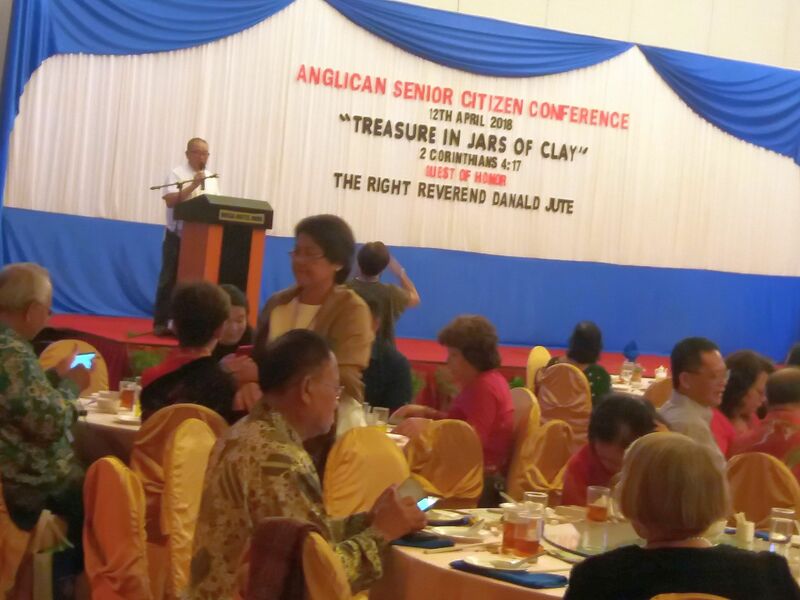 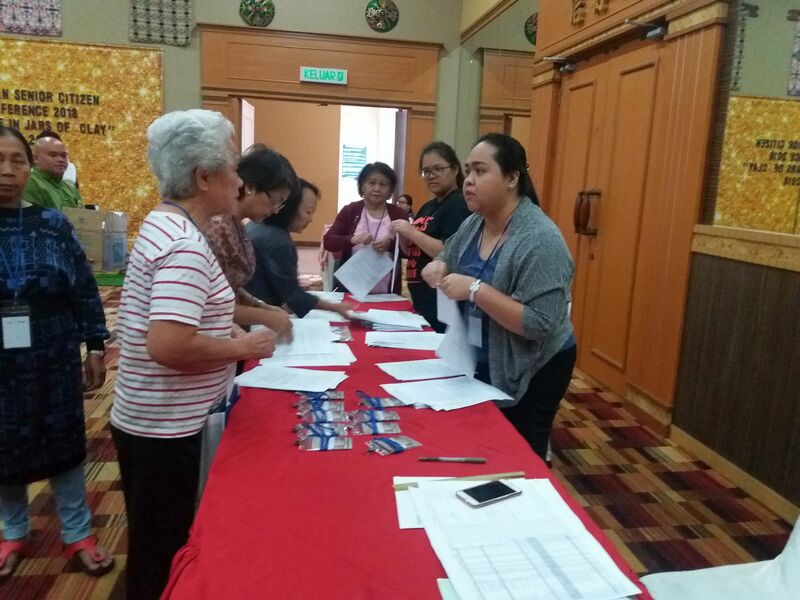 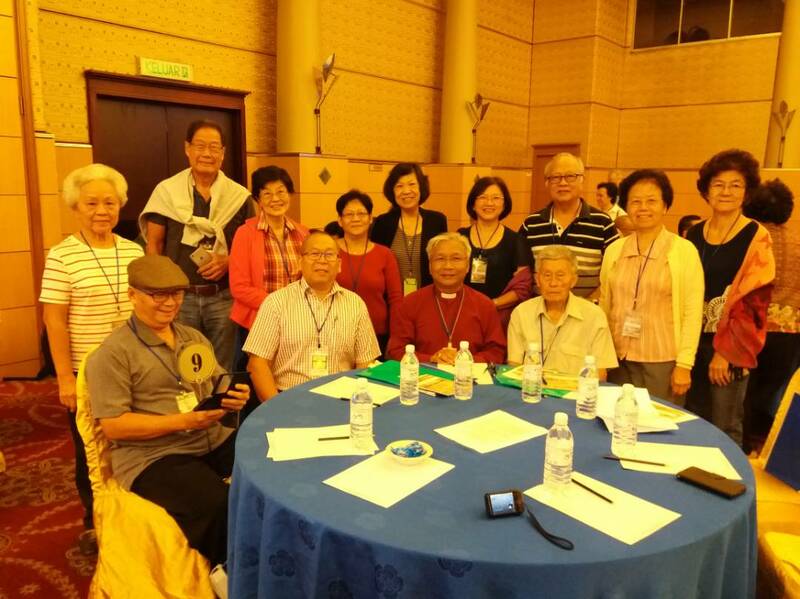 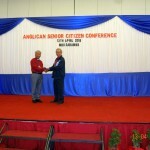 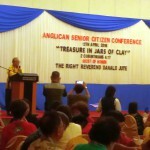 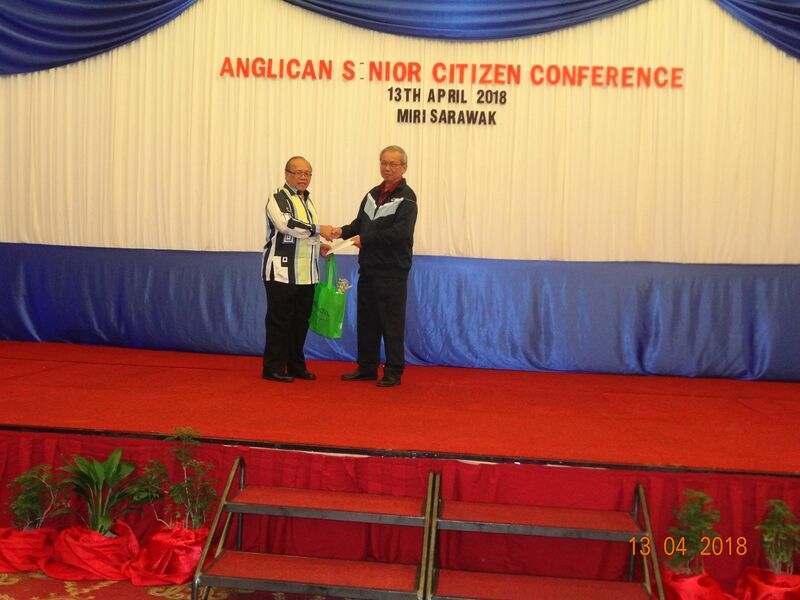 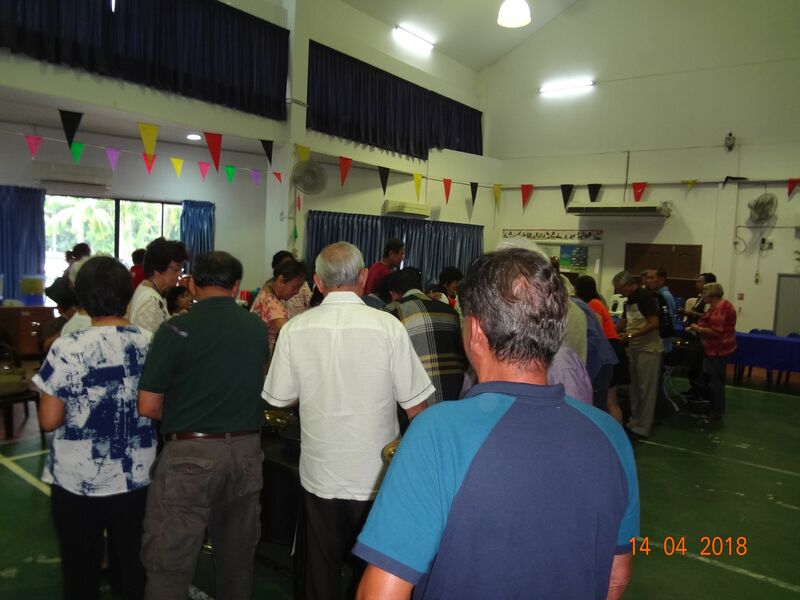 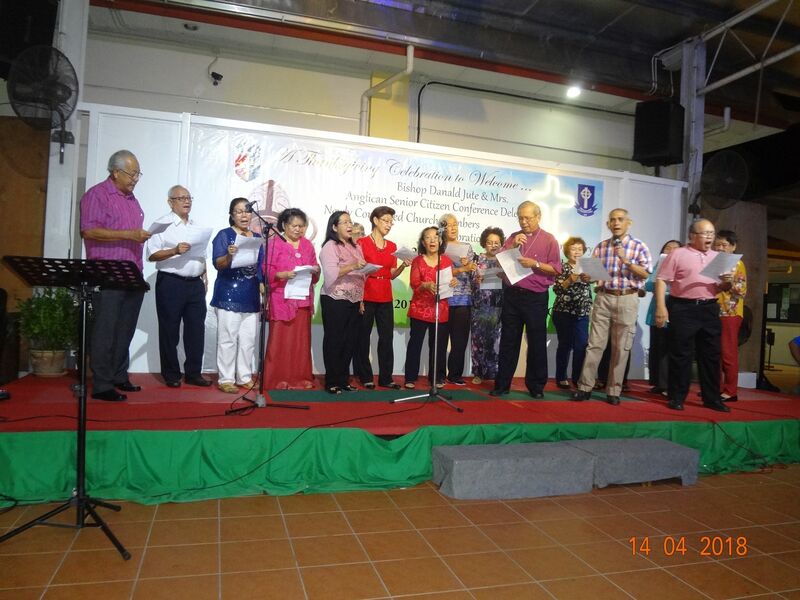 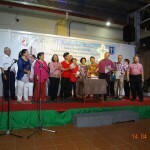 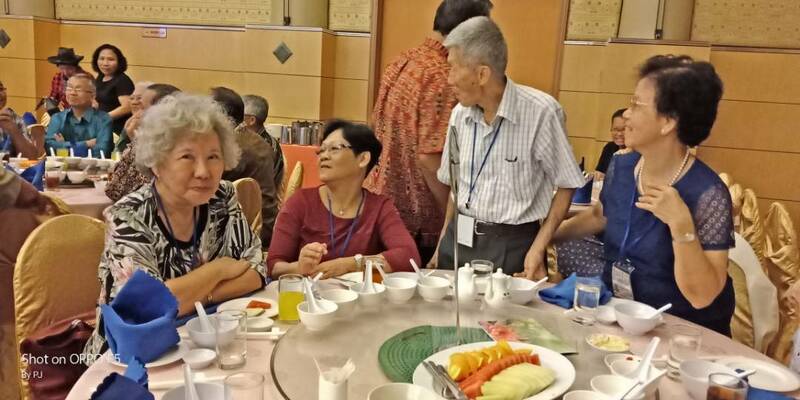 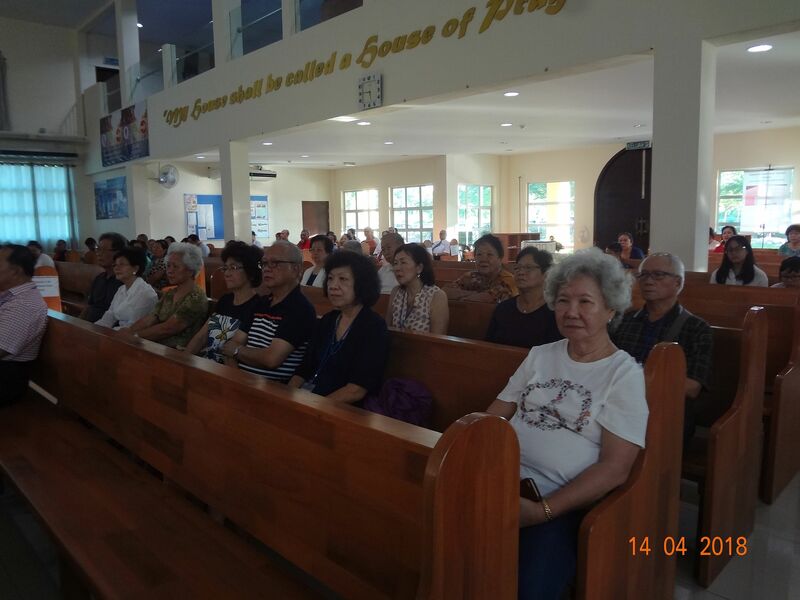 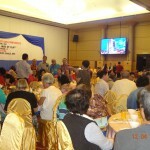 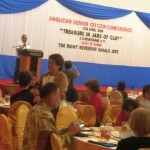 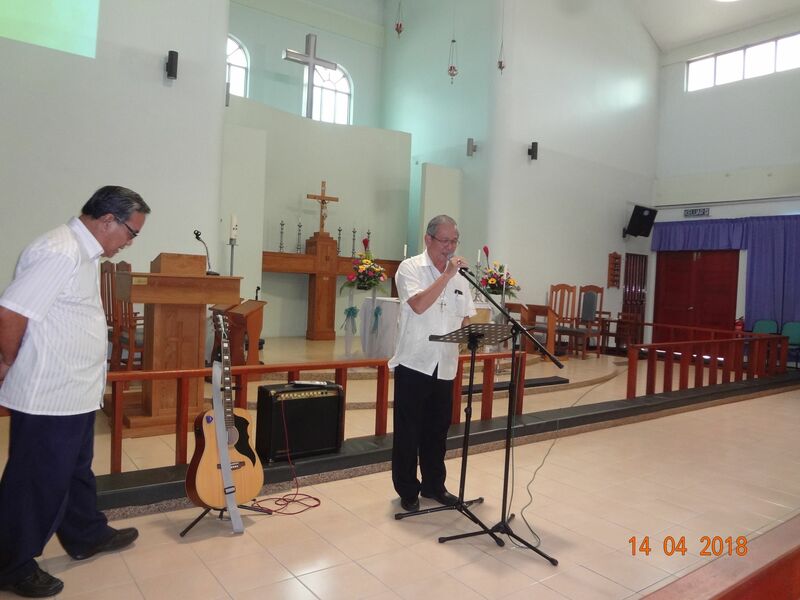 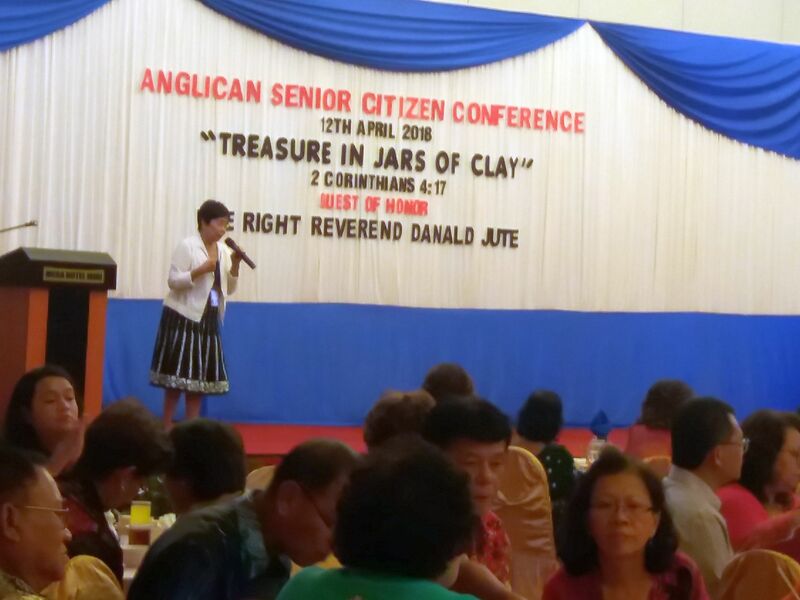 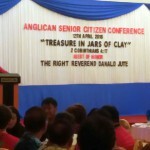 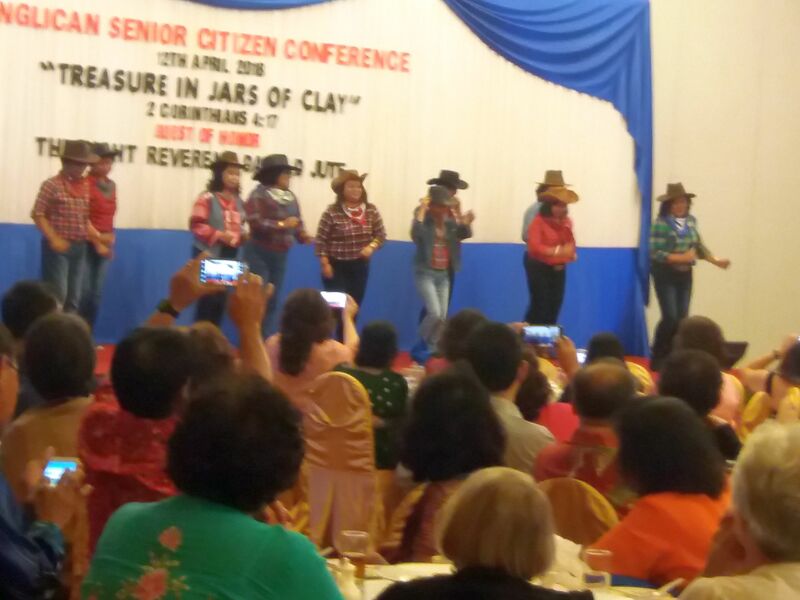 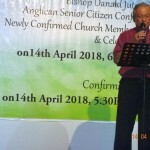 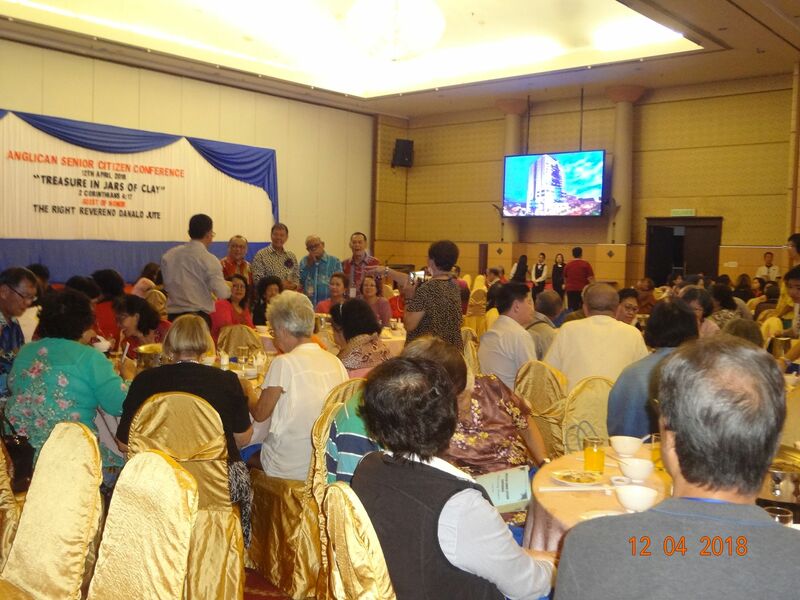 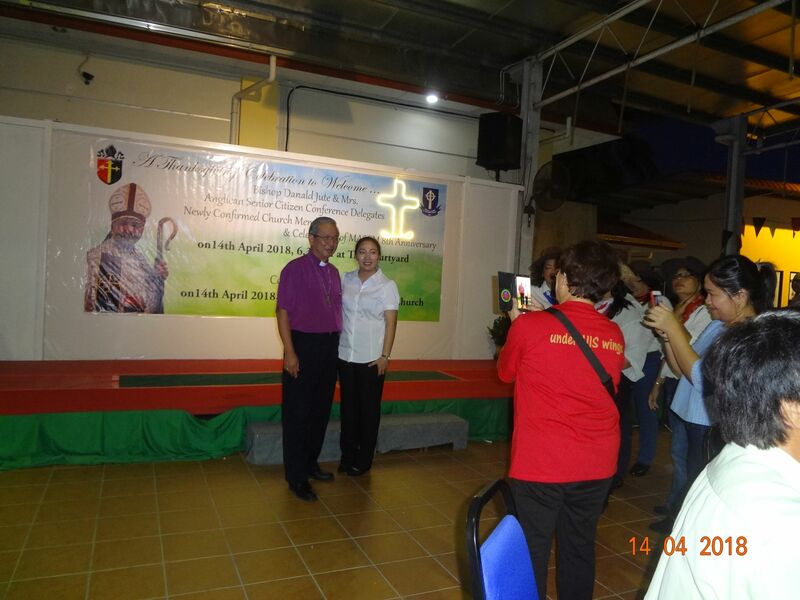 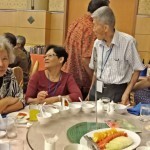 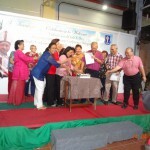 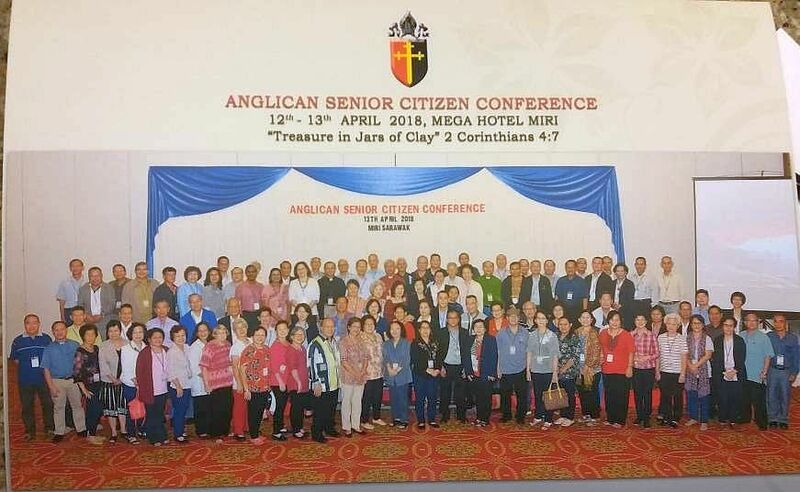 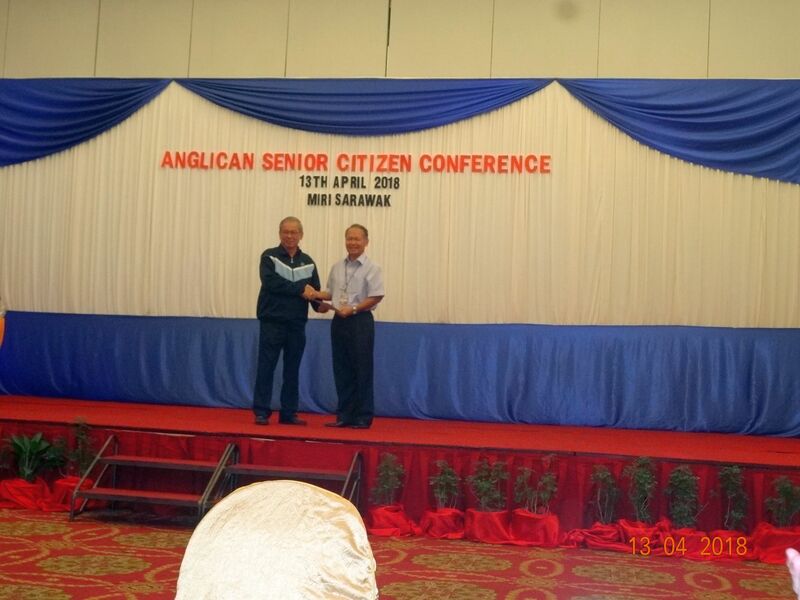 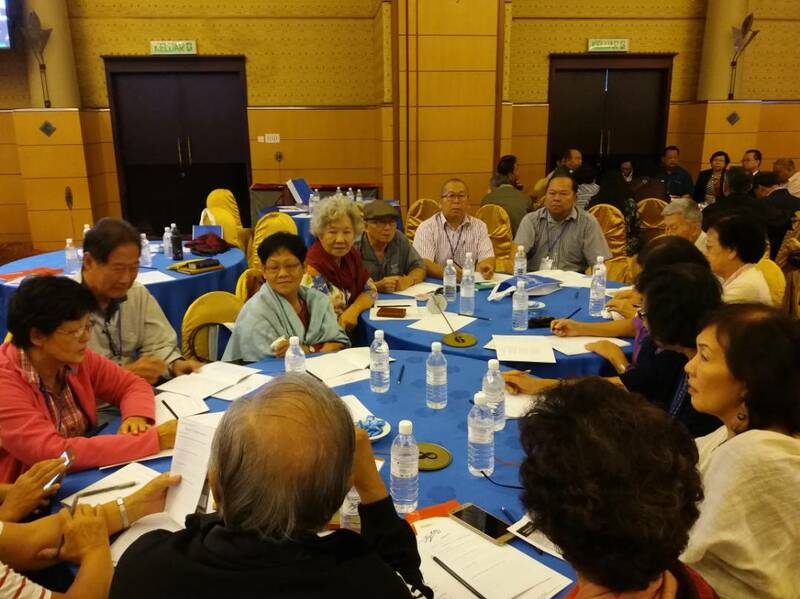 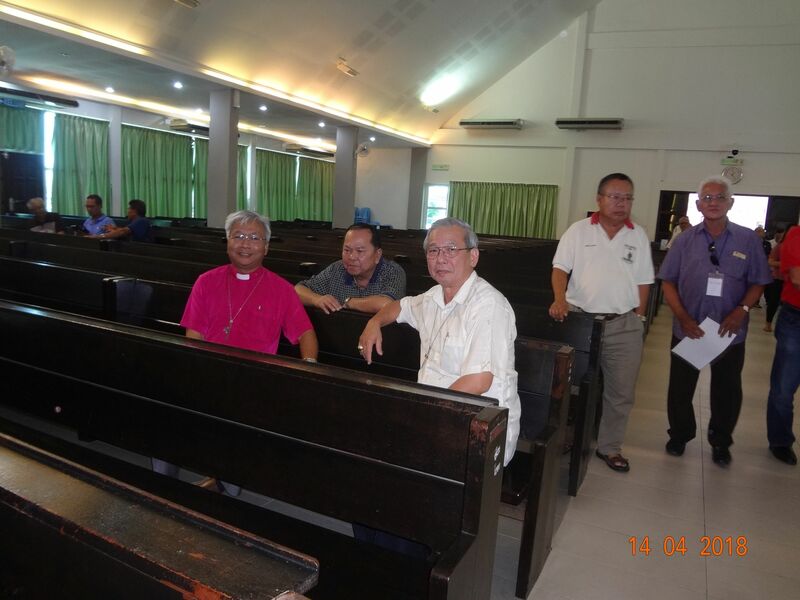 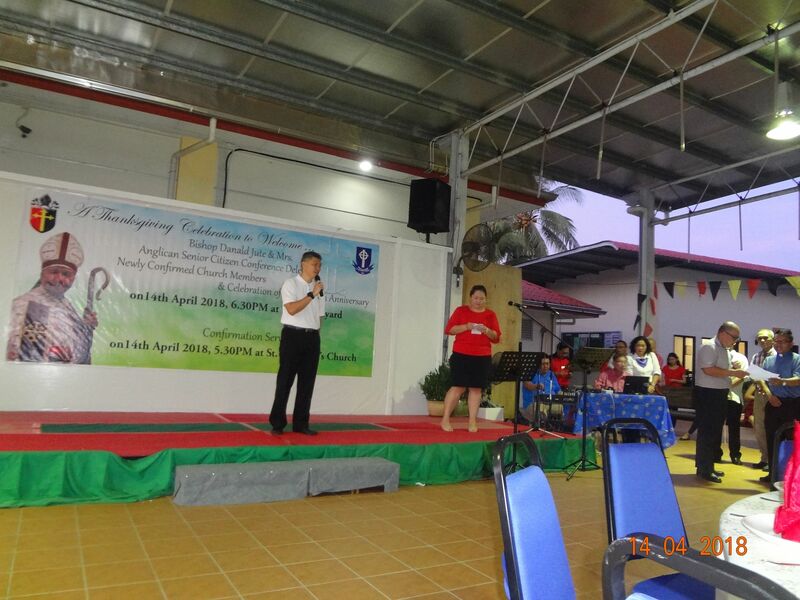 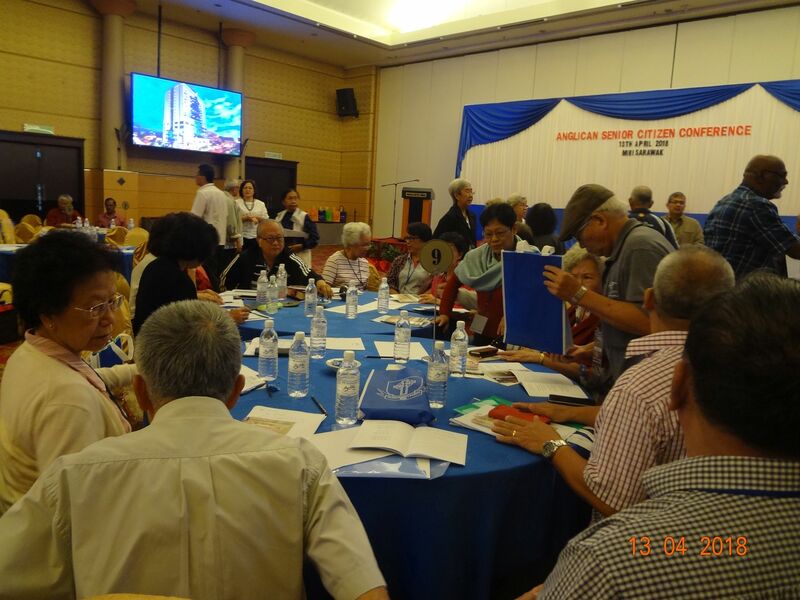 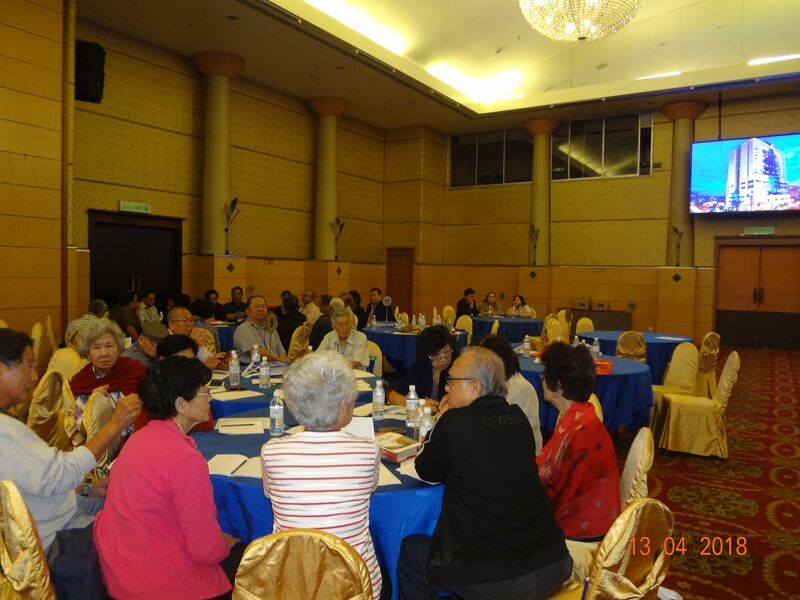 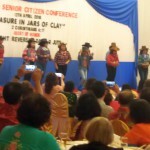 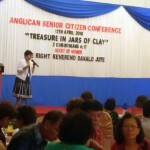 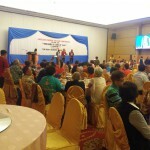 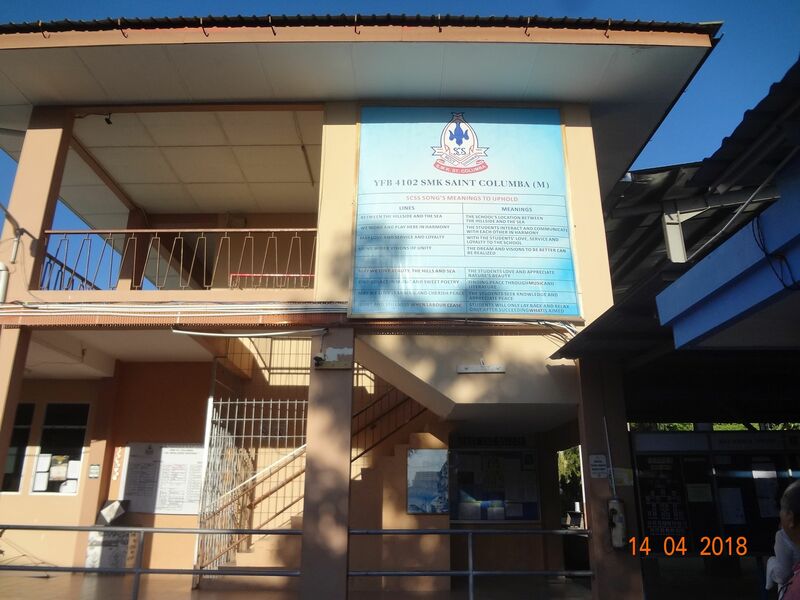 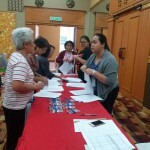 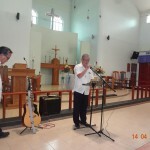 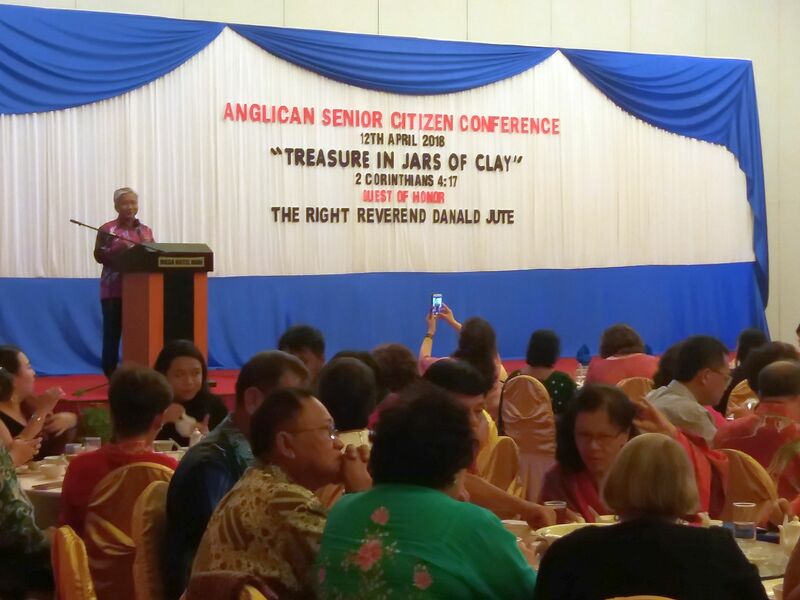 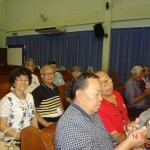 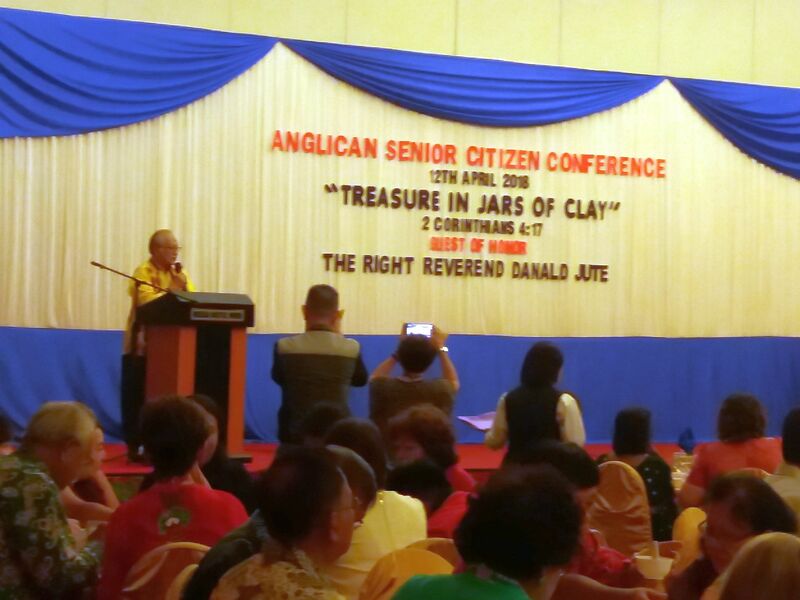 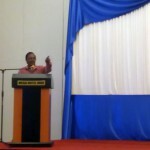 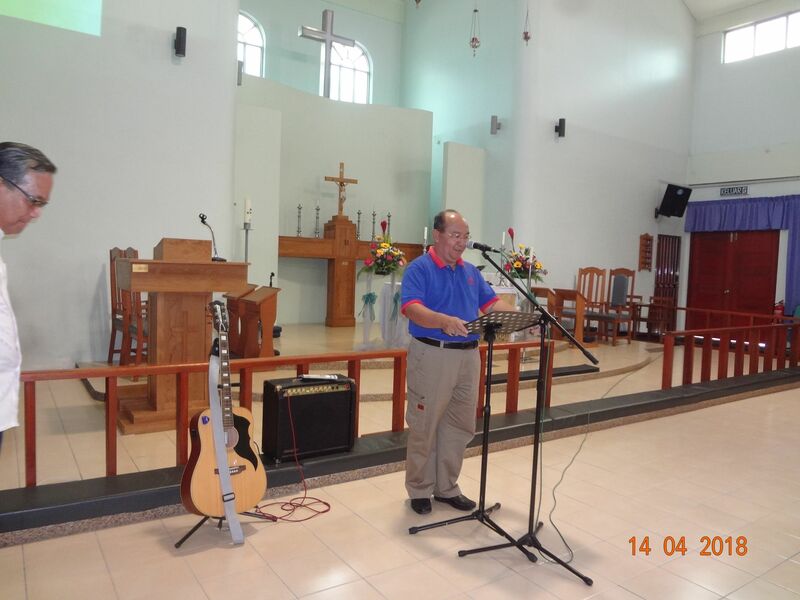 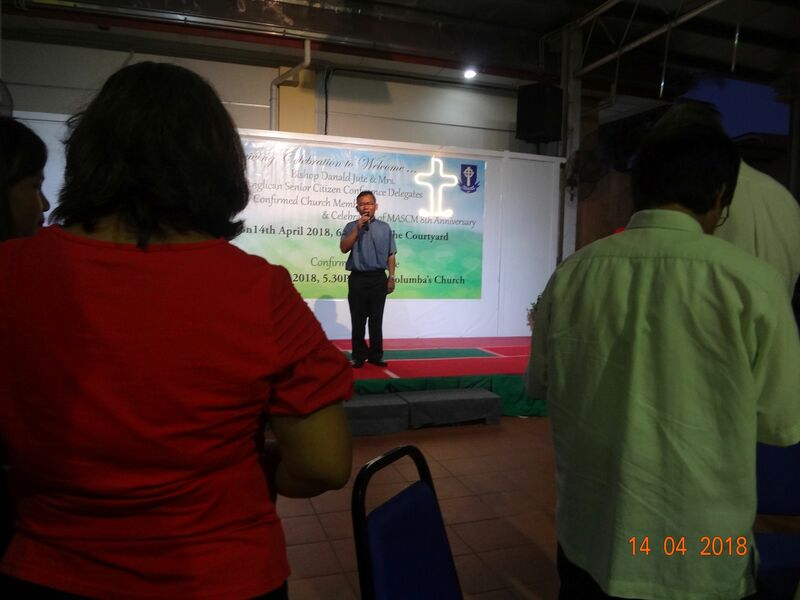 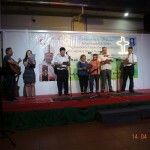 [Updated] The first Anglican Senior Citizen Conference was organized by the Miri Anglican Senior Citizens Ministry (MASCM). 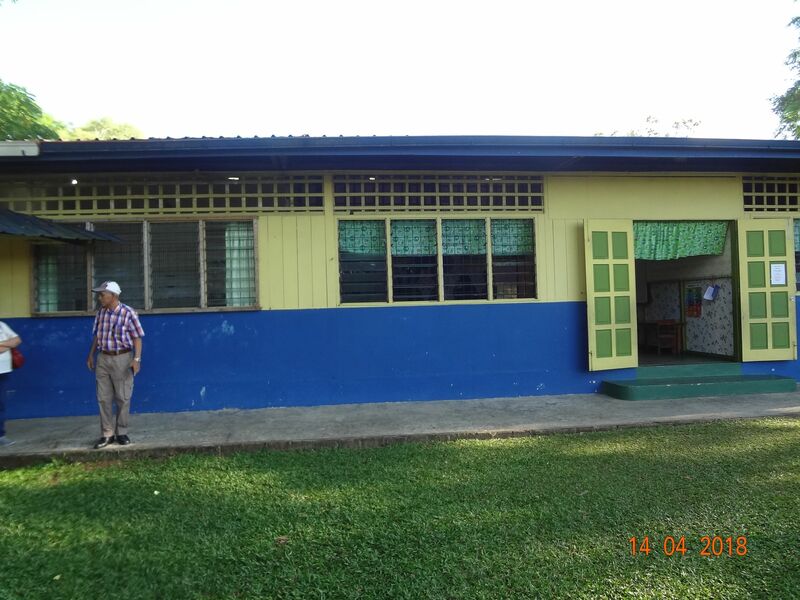 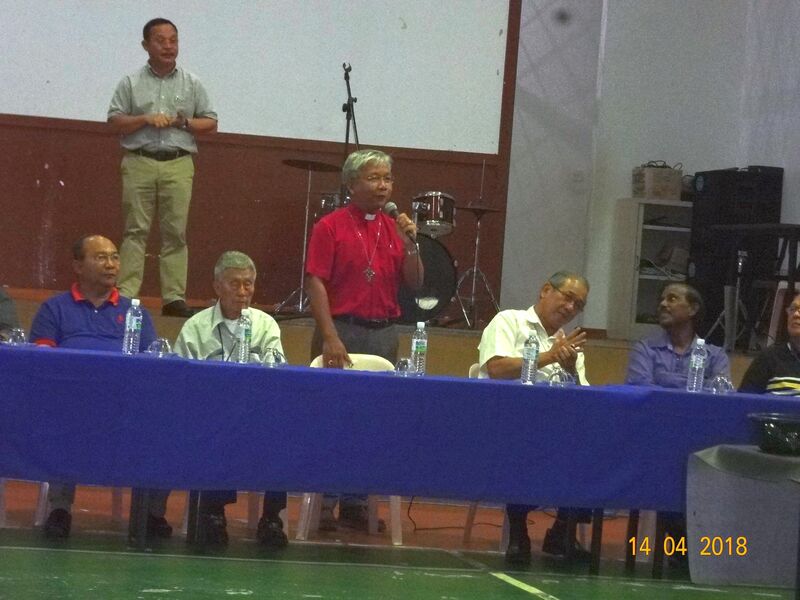 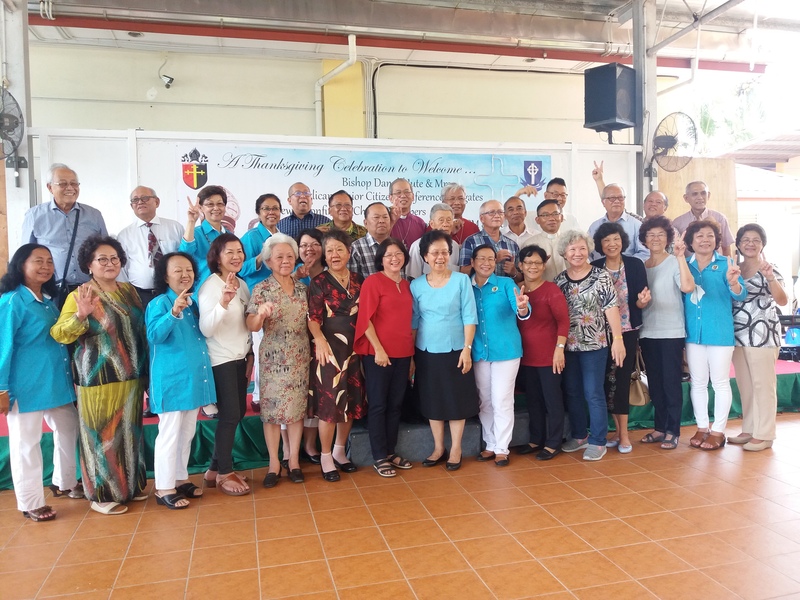 Bishop Solomon Cheong (Advisor) and the Chaplain of MASCM has emphasized that the proposed Senior Citizens Ministry is not an organization but a Ministry that one can belong and to serve in it and also to minister to others. 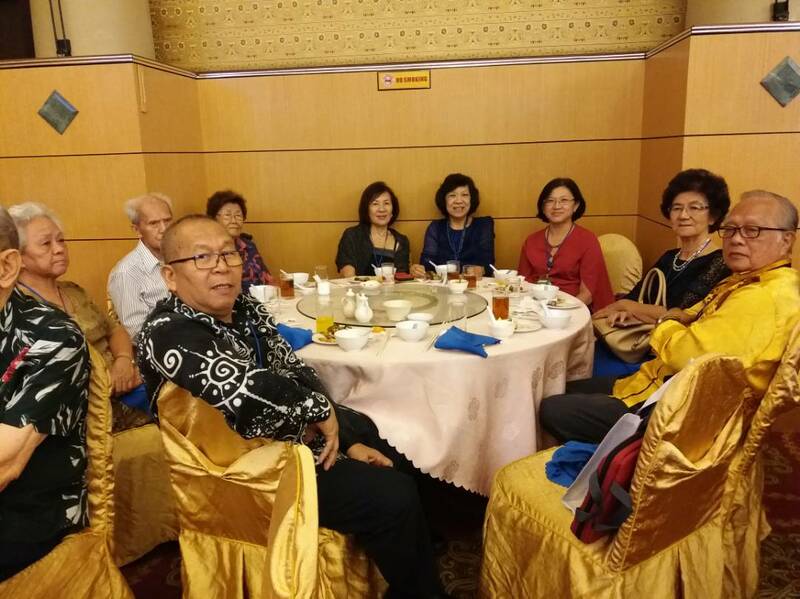 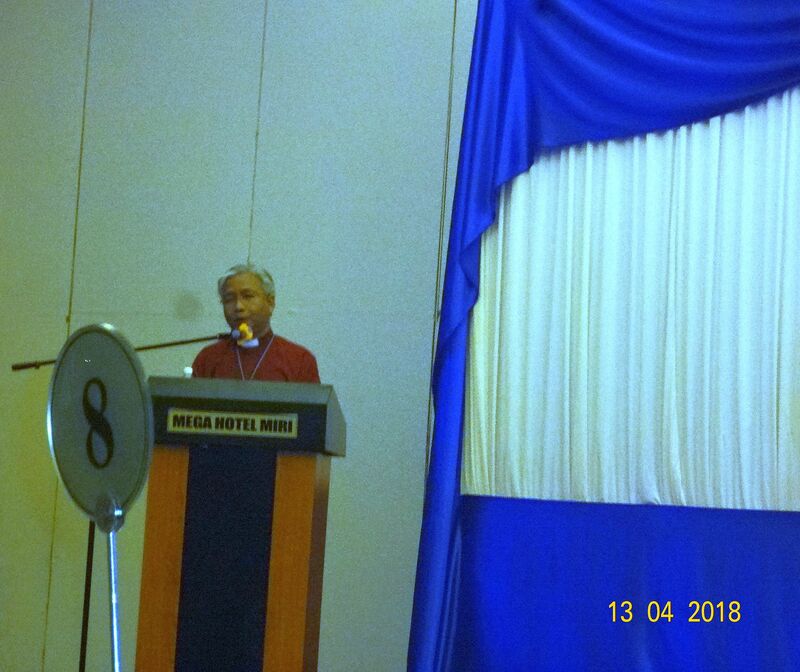 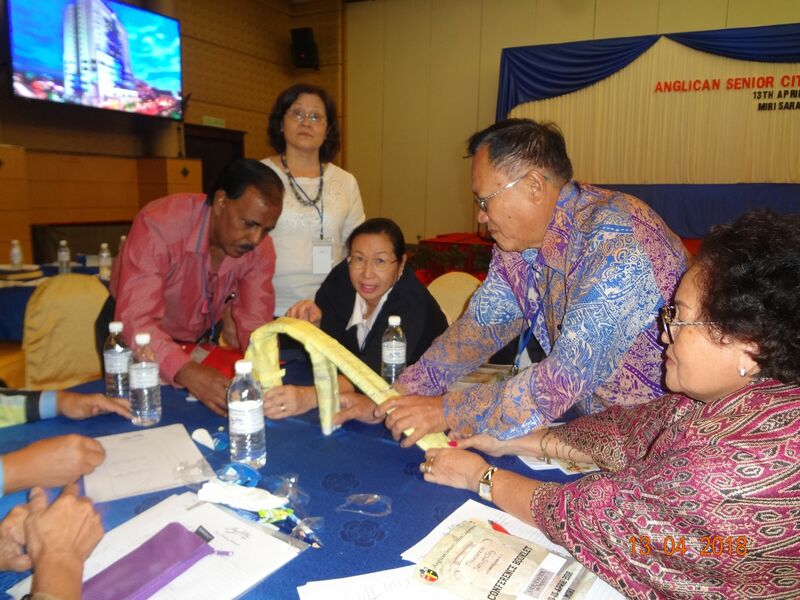 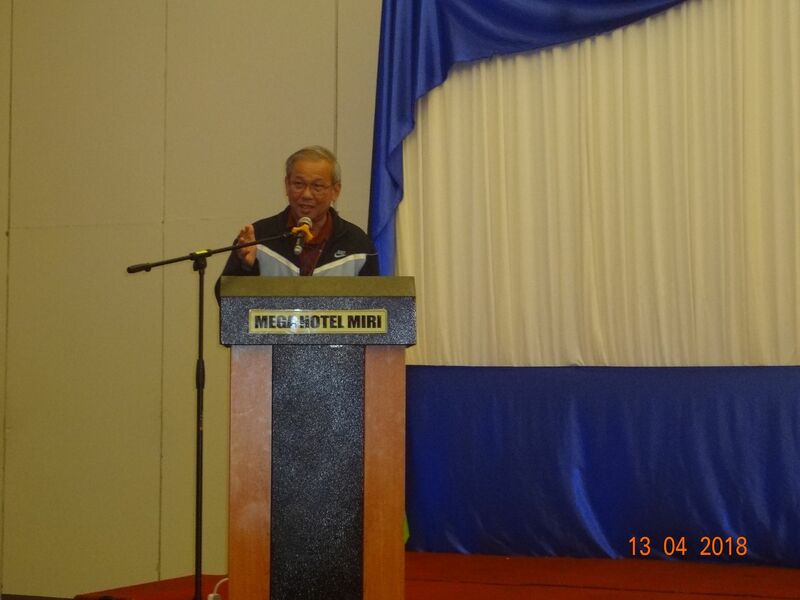 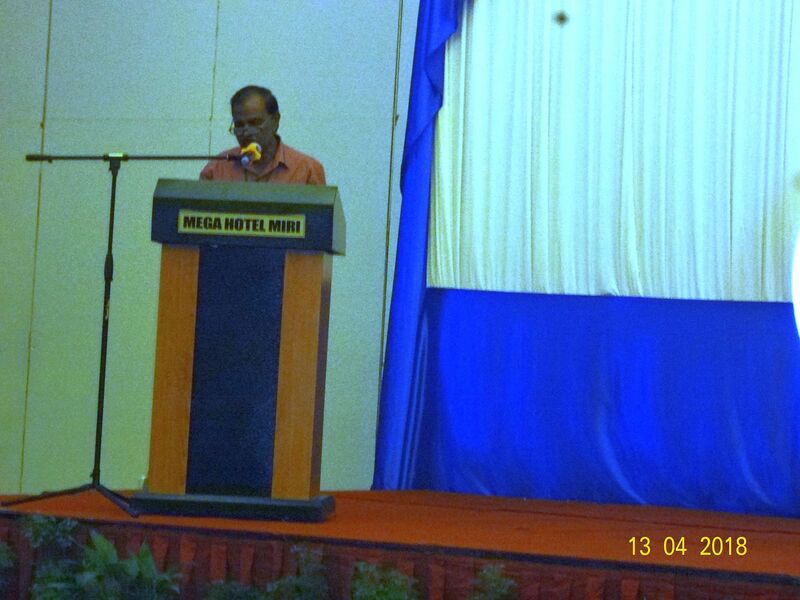 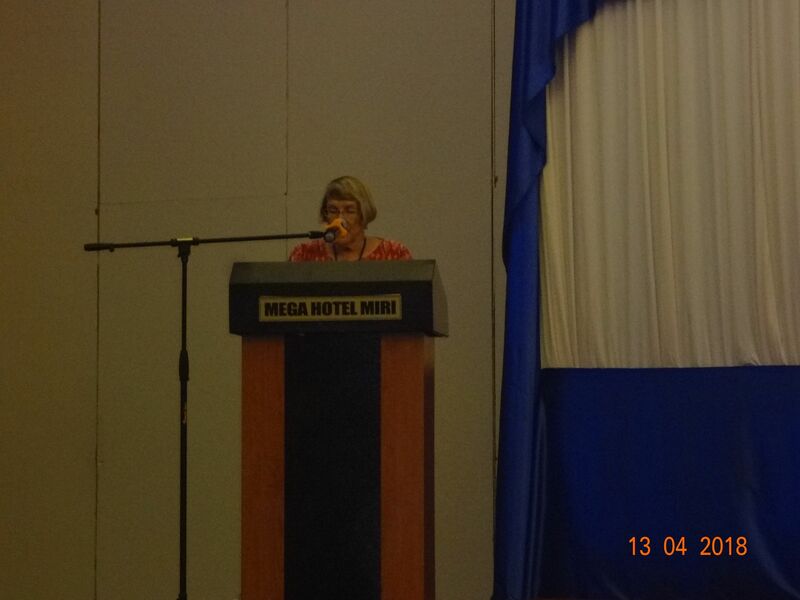 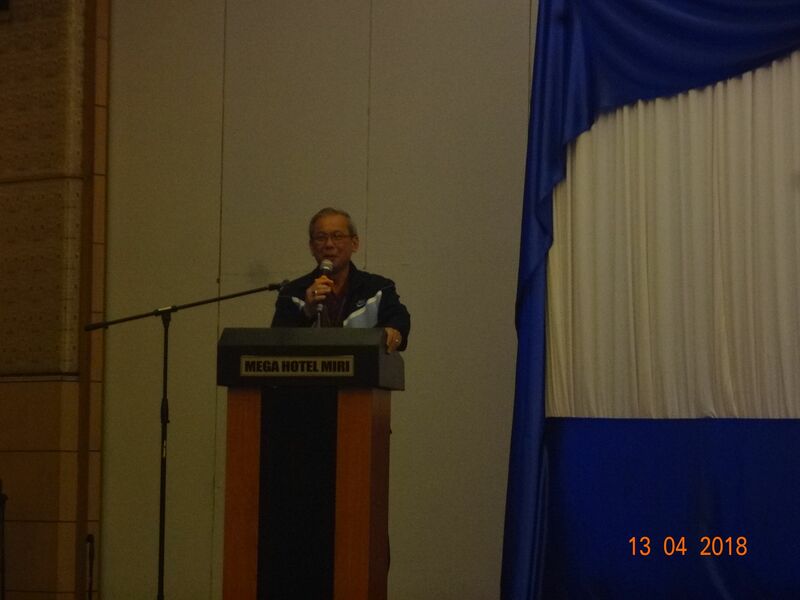 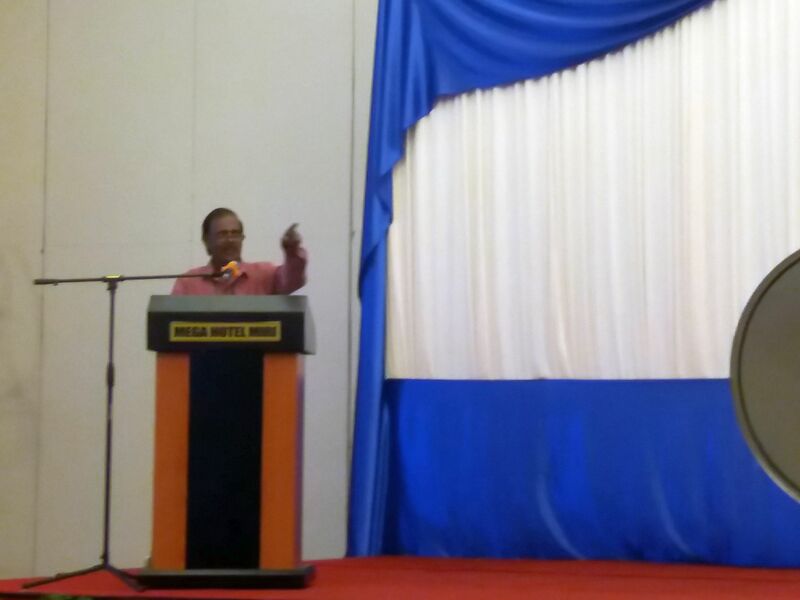 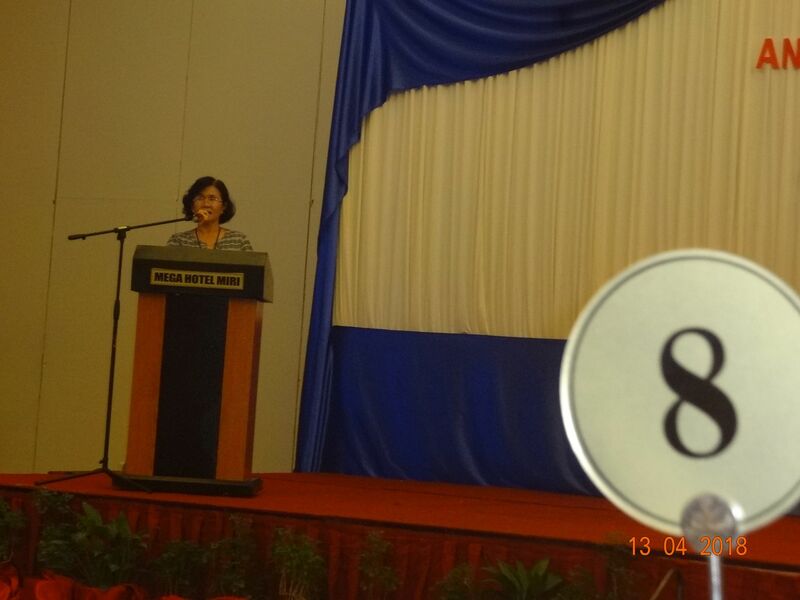 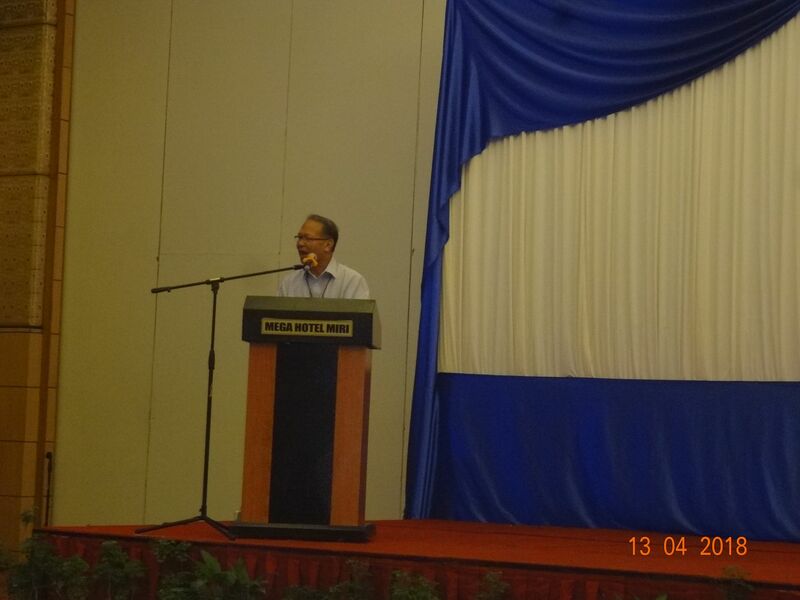 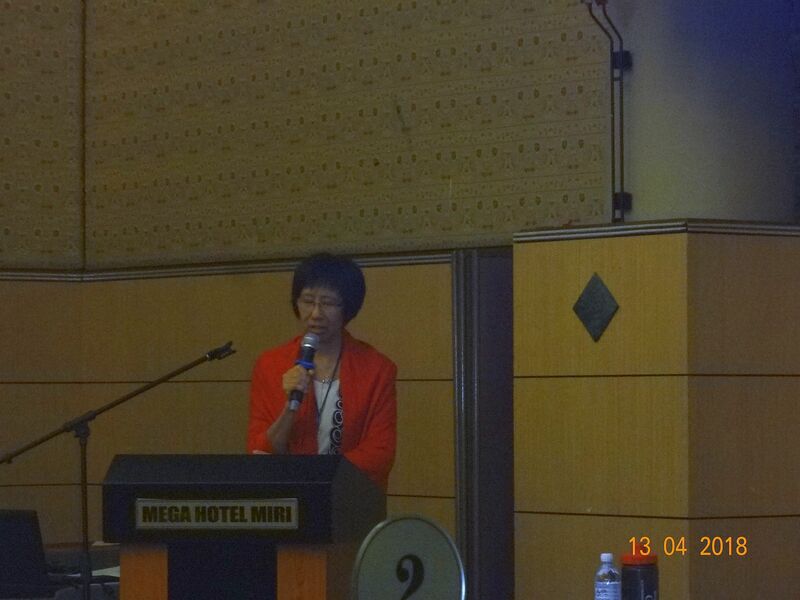 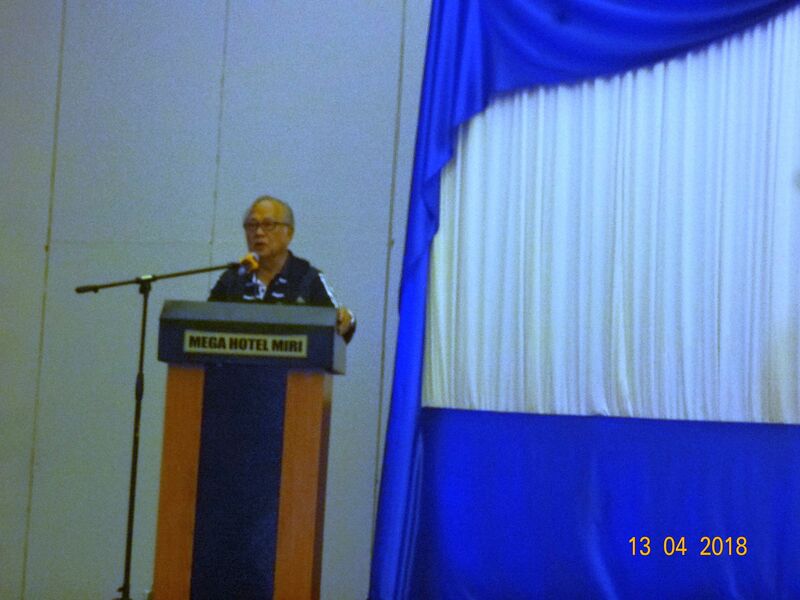 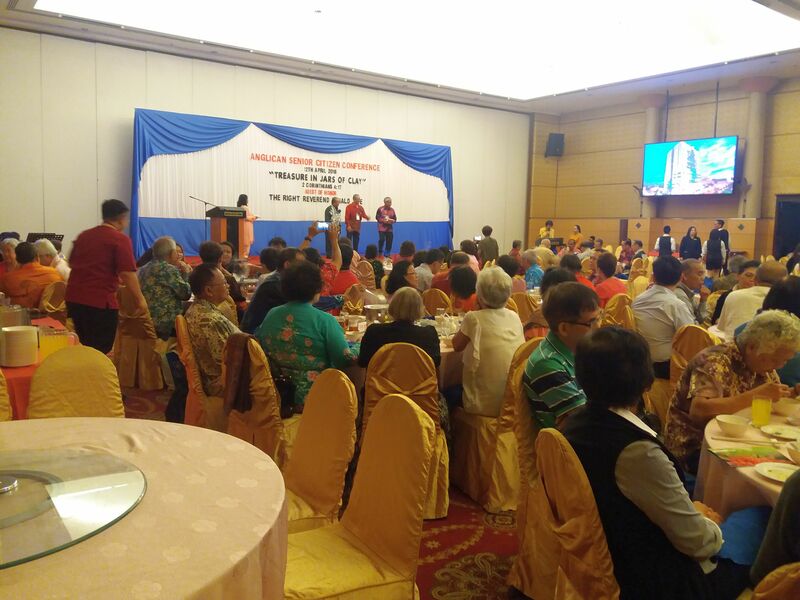 The Conference was held in Miri from 12th to 15th April, 2018 and coincided with the celebration of MASCM’S 8TH anniversary. 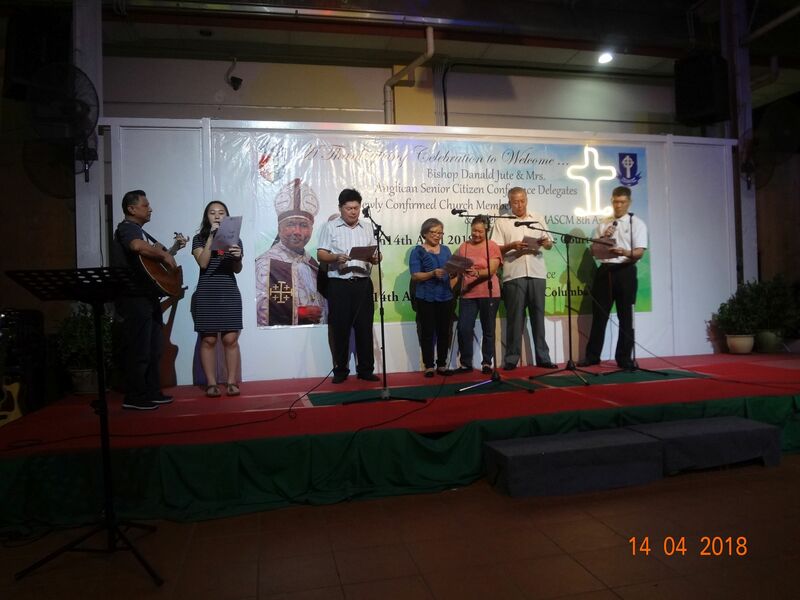 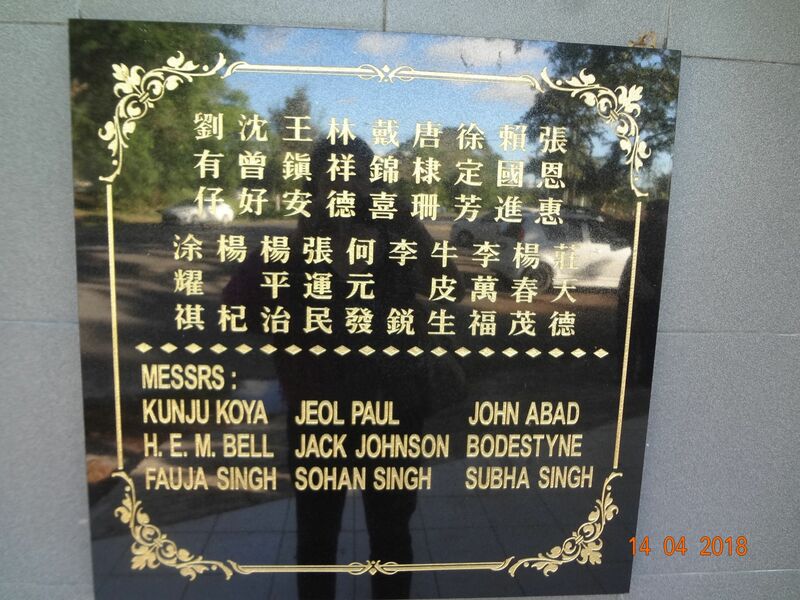 It was attended by delegates from KASF, MASCM, the Miri Chinese Speaking Congregation, Evergreen from Bandar Seri Begawan, parishes of Lutong, Sri Aman, Betong, Lundu (some led by their Vicars), Golden Circle from West Malaysia. 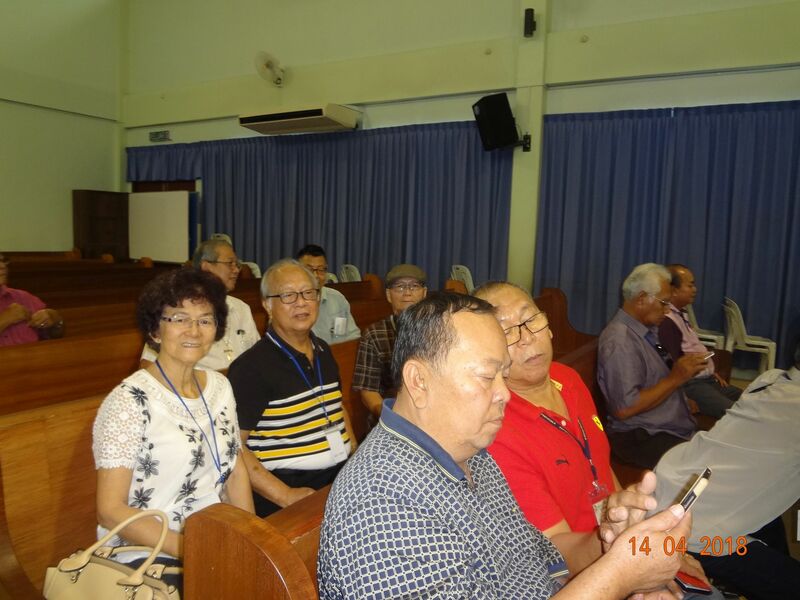 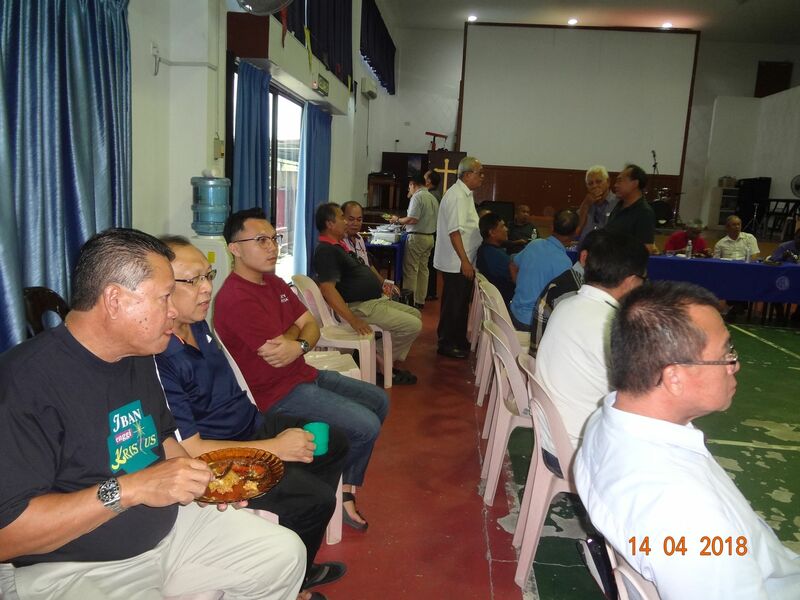 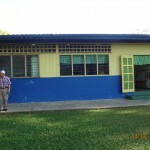 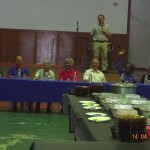 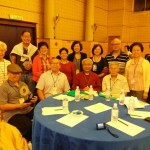 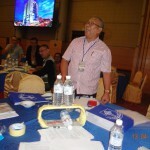 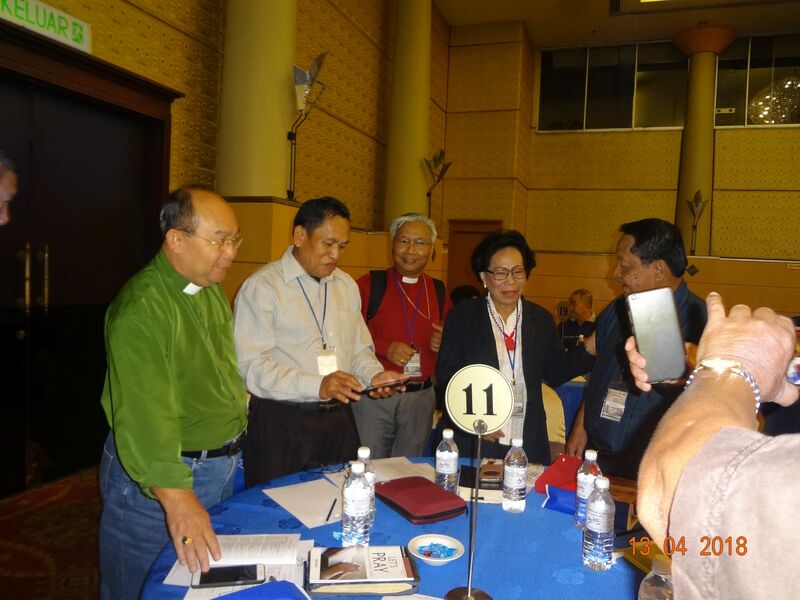 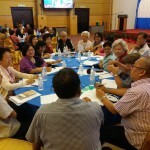 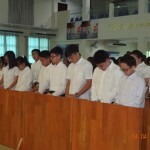 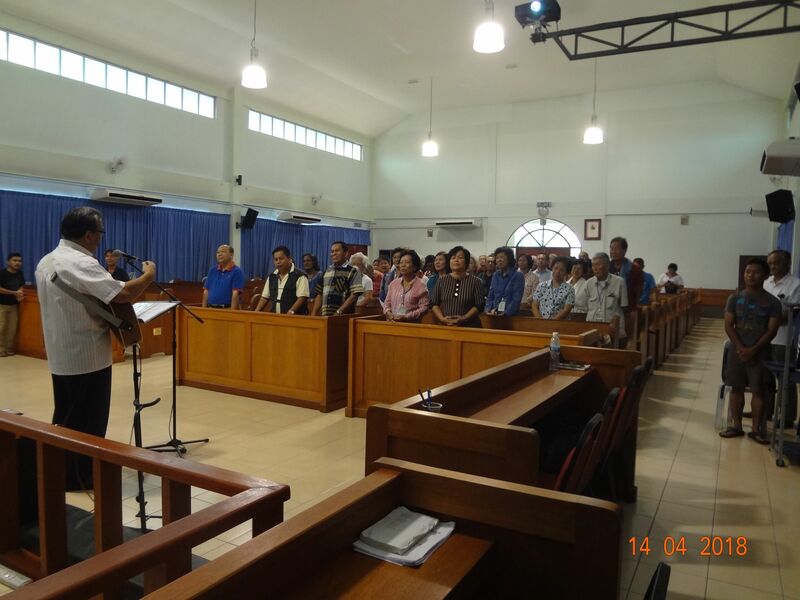 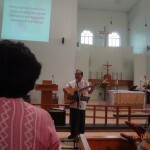 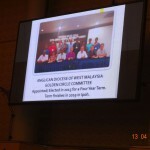 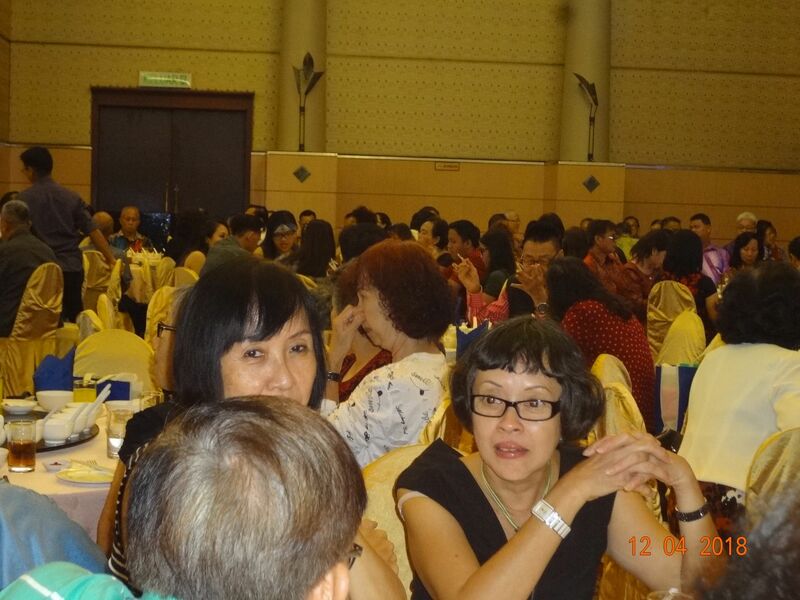 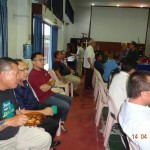 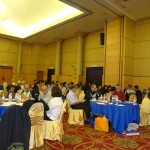 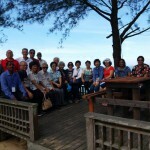 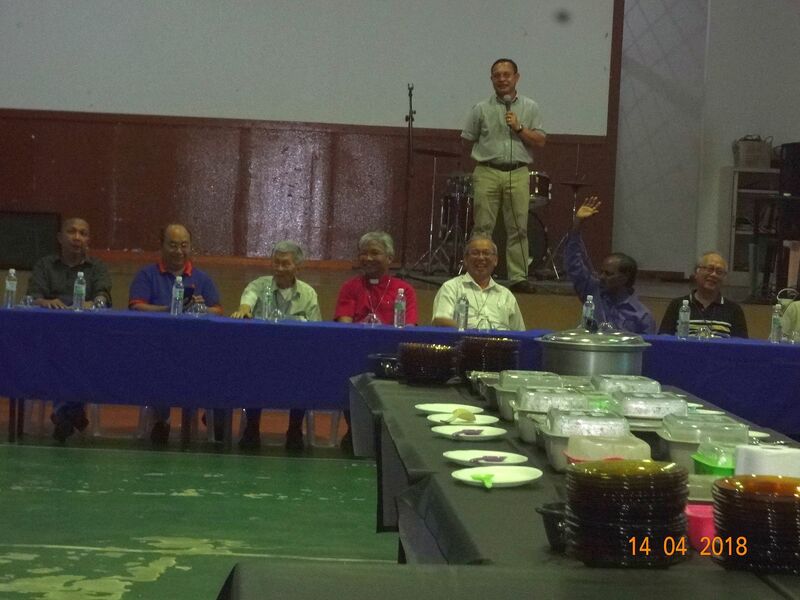 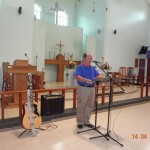 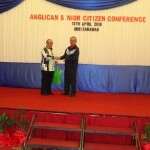 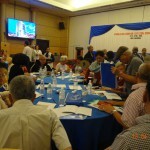 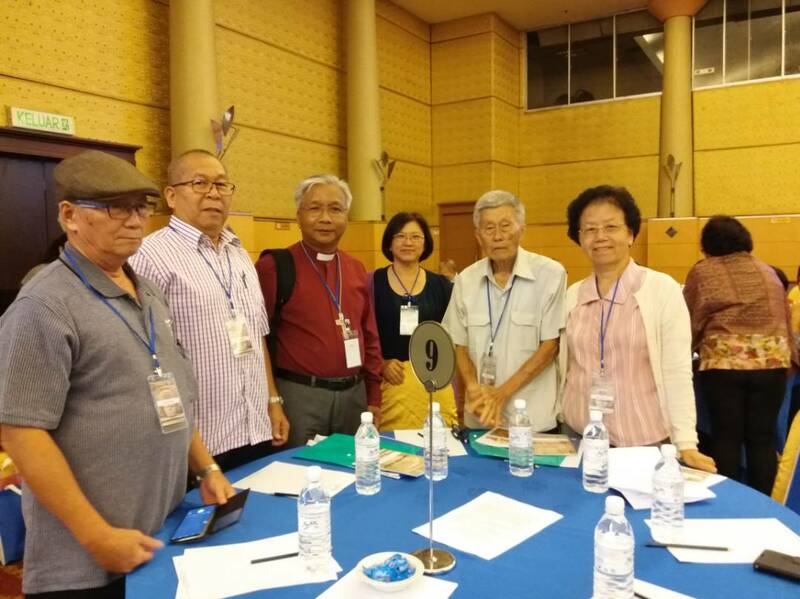 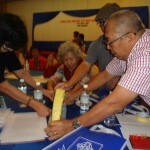 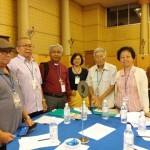 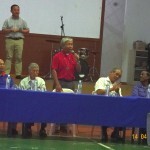 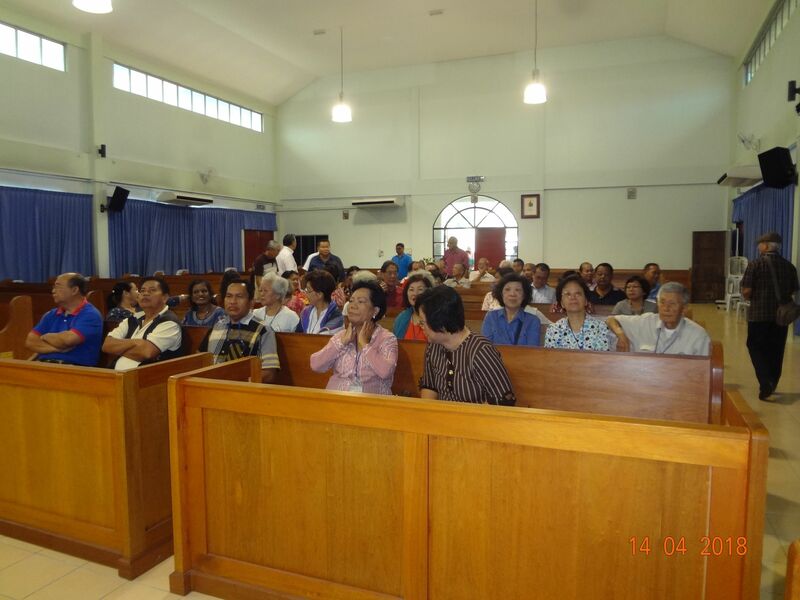 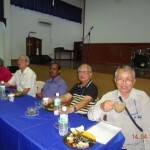 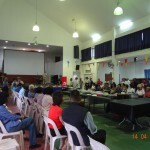 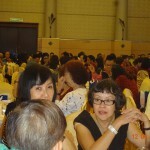 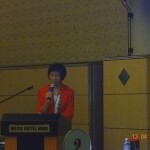 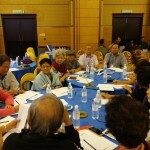 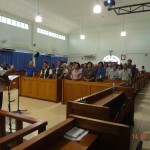 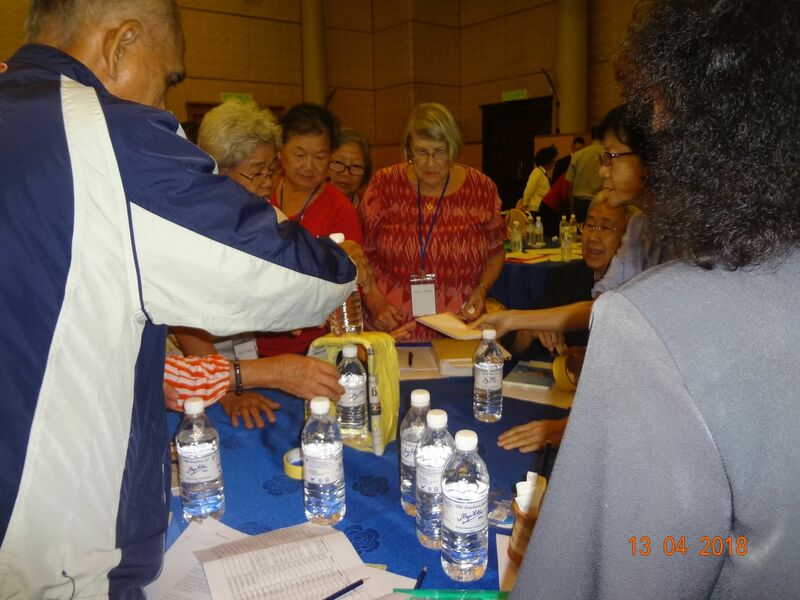 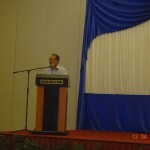 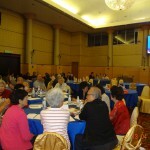 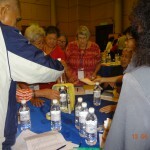 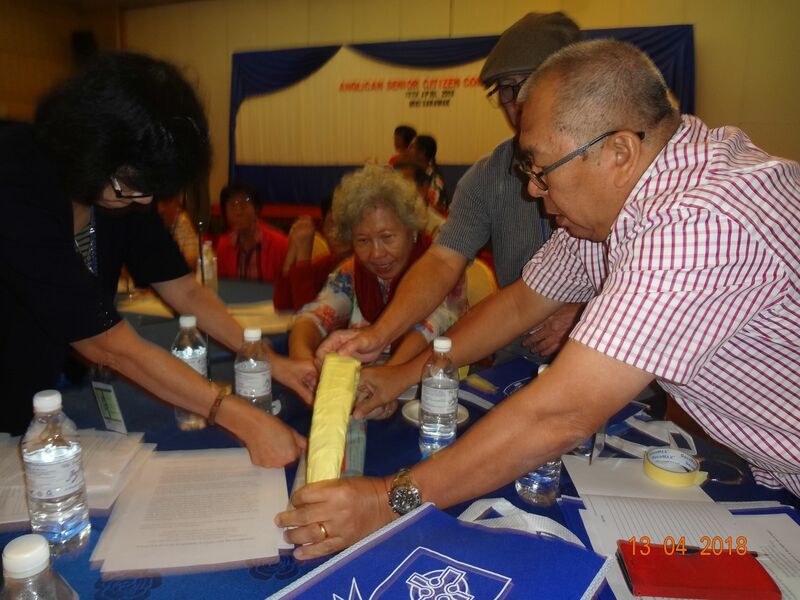 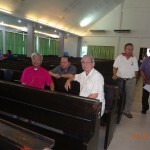 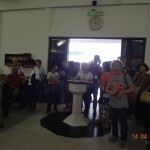 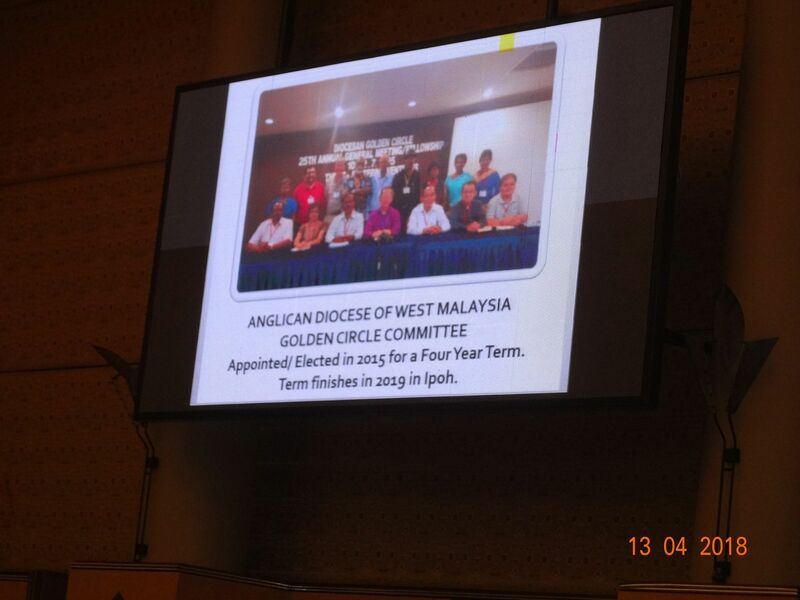 KASF (Kuching Anglican Senior Fellowship) had 19 delegates attending the Conference. 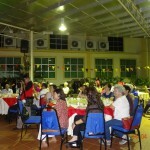 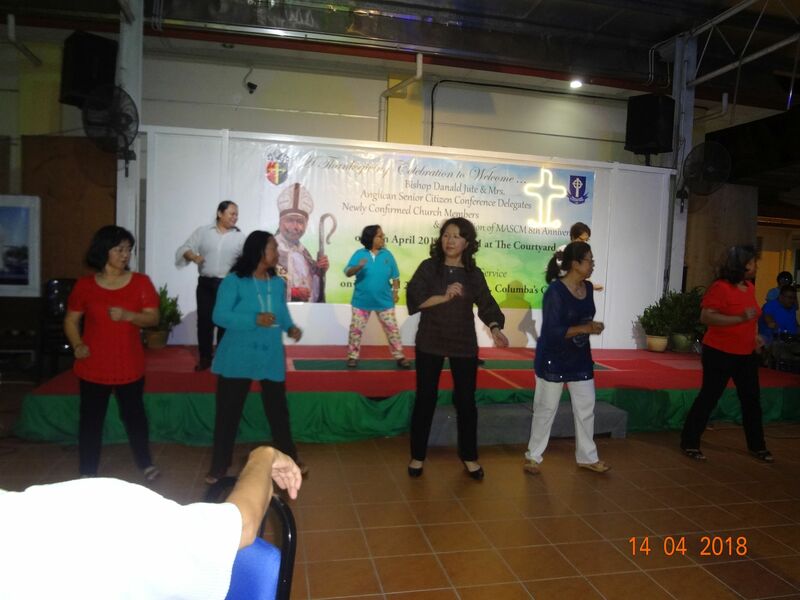 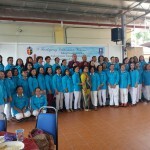 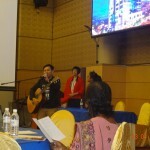 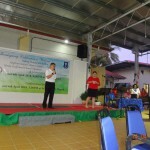 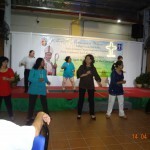 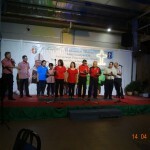 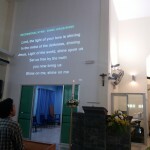 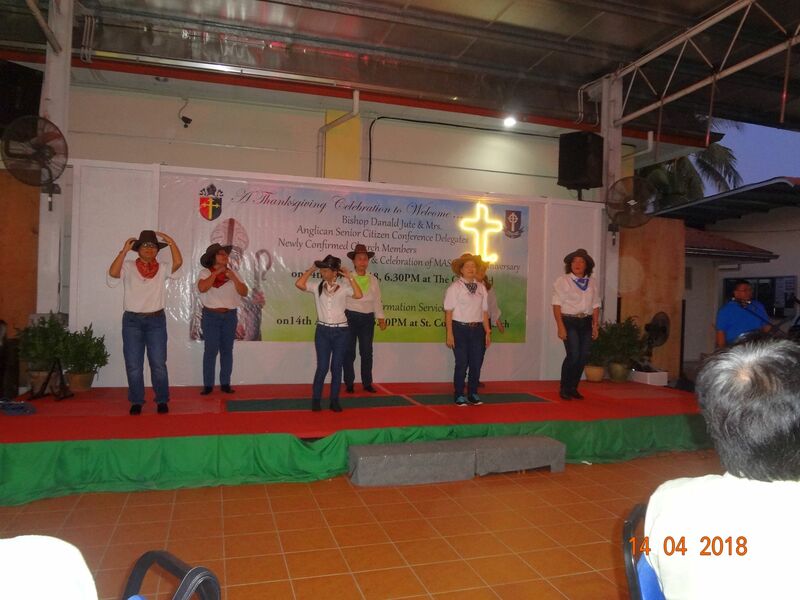 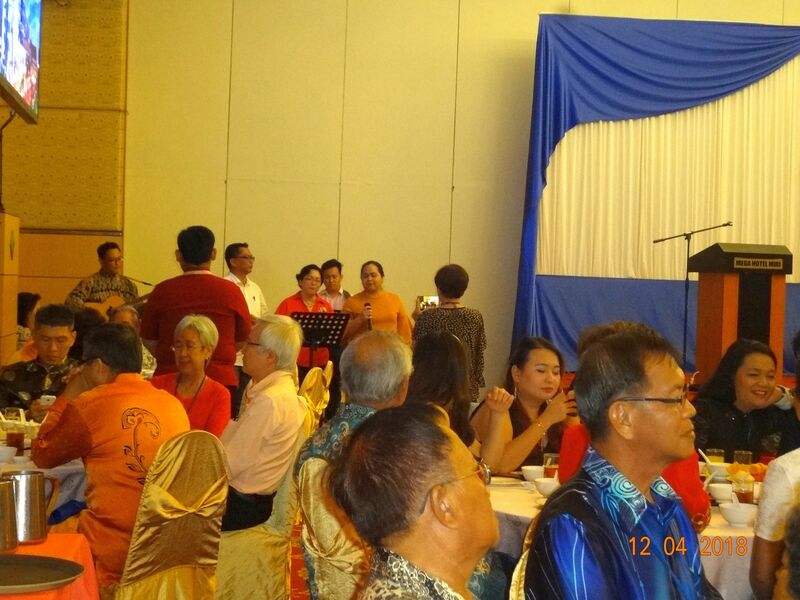 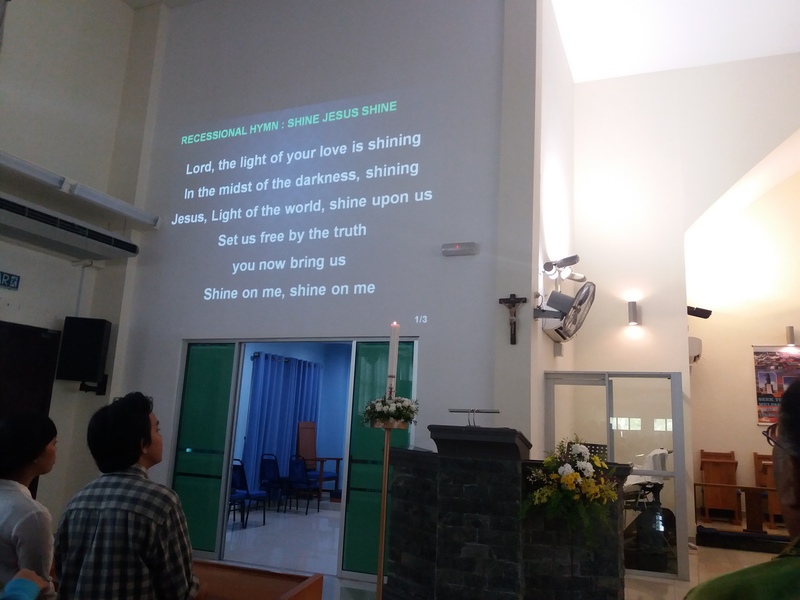 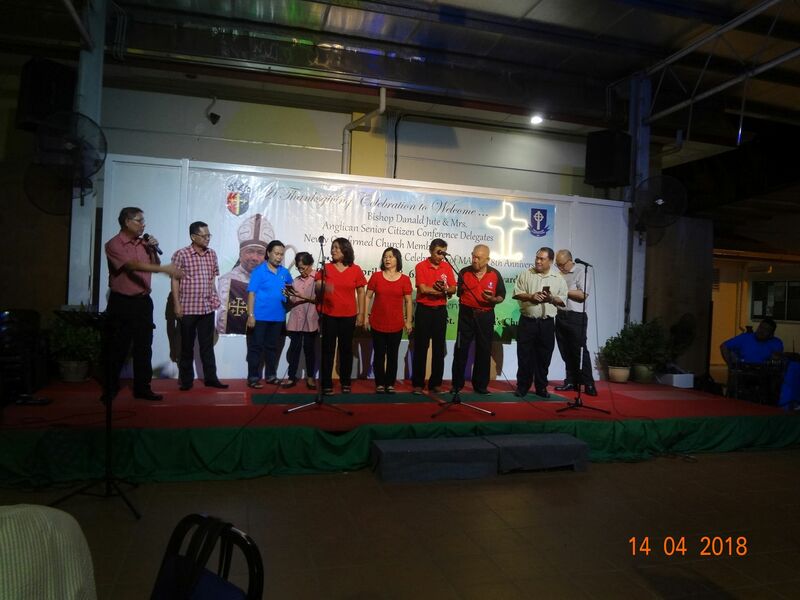 On the first day, the delegates were invited to a welcoming dinner with performances such as Welcoming dance by the Anglican Youth Council, Derek and the Band, Dance by St. Columba Women Fellowship and also sharing by KASF from Kuching comprising of members from St. Thomas’ Cathedral, St. 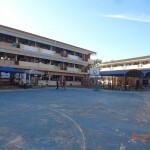 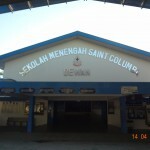 Faith, St. 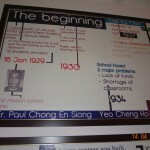 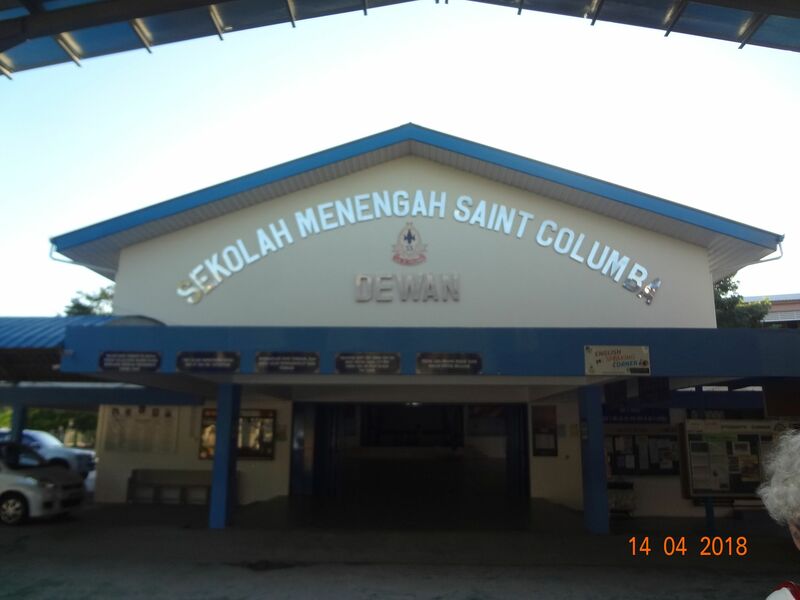 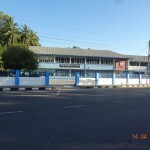 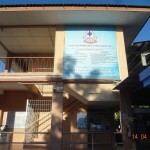 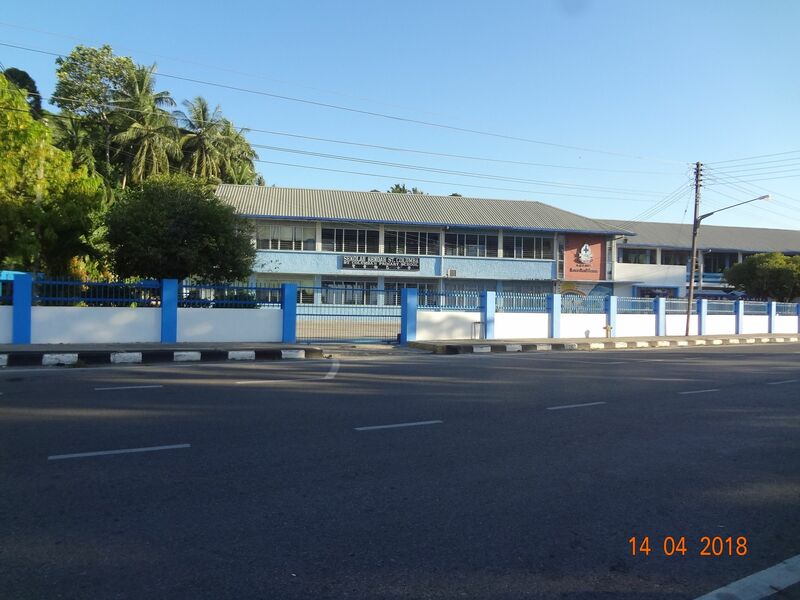 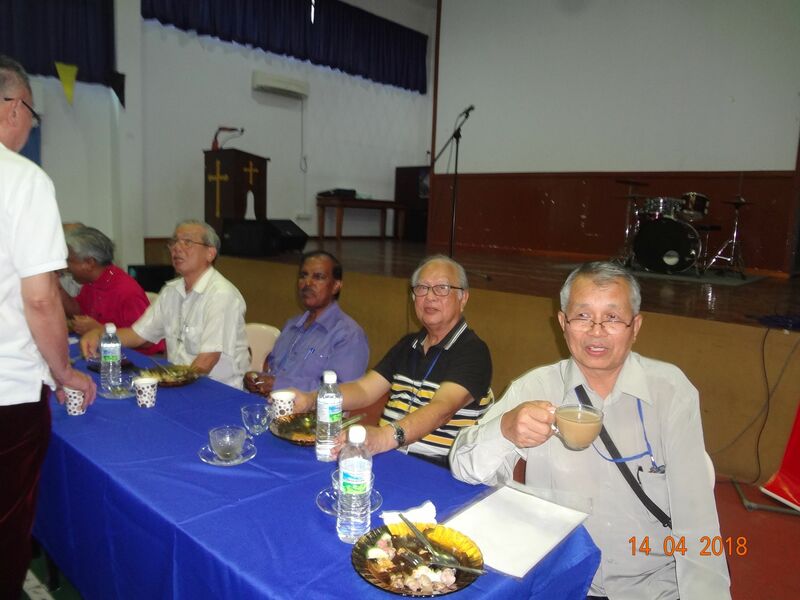 Basil, St. Paul and Tabuan Jaya Anglican Church , CSC of St. Columba Miri, Evergreen of St. Andrew, Bandar Sri Begawan, Golden Circle from West Malaysia and MASCM of St. Columba Miri. 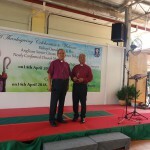 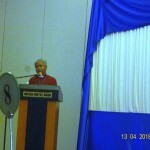 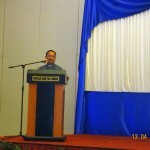 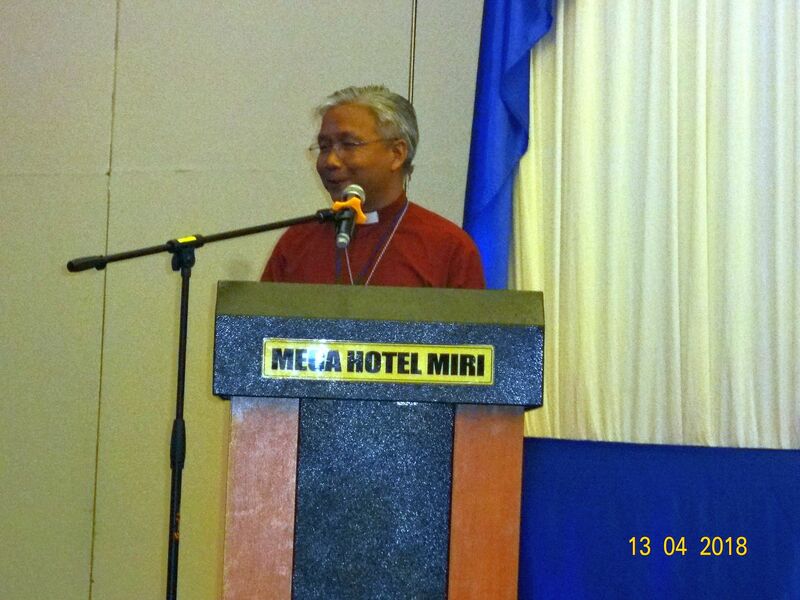 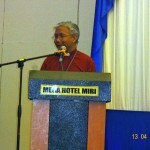 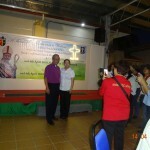 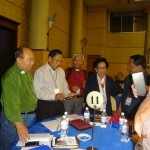 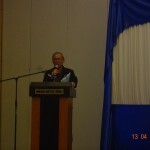 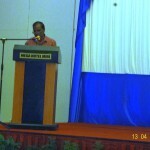 On the second day, Bishop Danald Jute and Bishop Datuk Bolly Lapok attended the Conference and shared their thoughts. 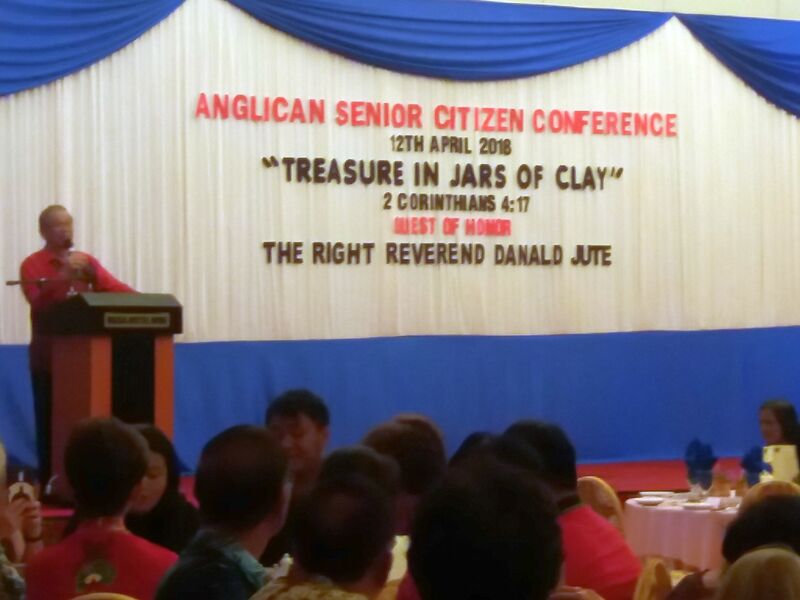 The theme chosen for the Conference was “Treasure in Jars of Clay (2 Corinthians 4:7).” In his keynote address, Bishop Danald said we are only the jar of clay, we are dependent on God to fill us with Holy Spirit and His Word and the power belongs to Him. 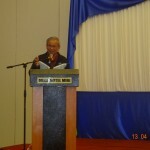 He stressed on the importance of relationship and the areas of focus. 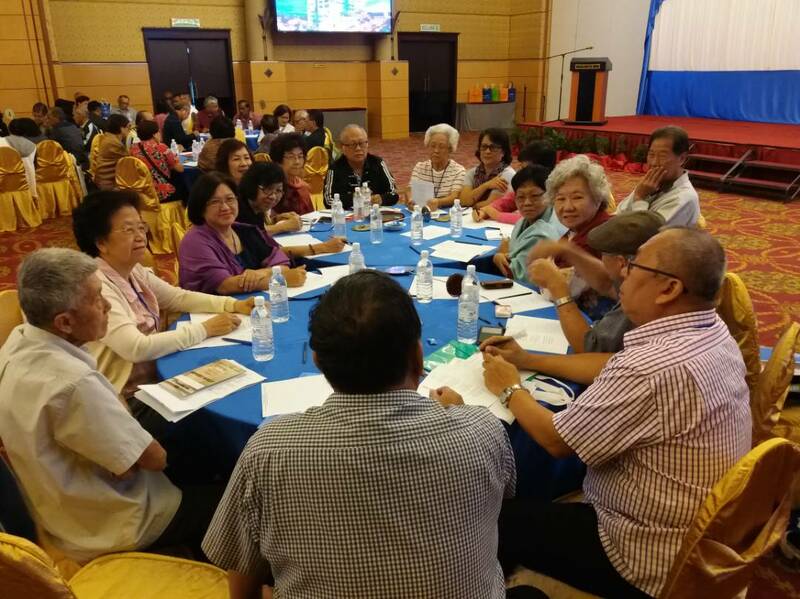 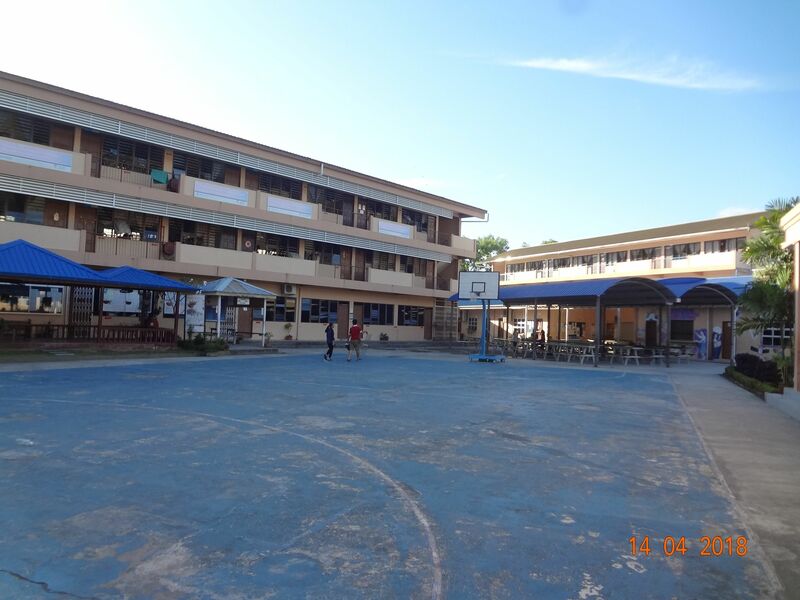 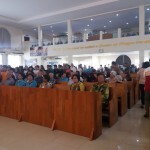 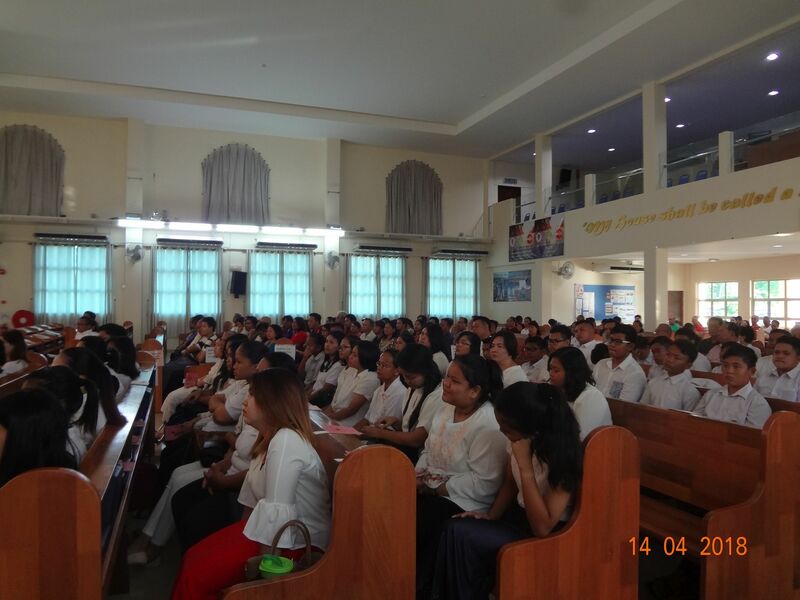 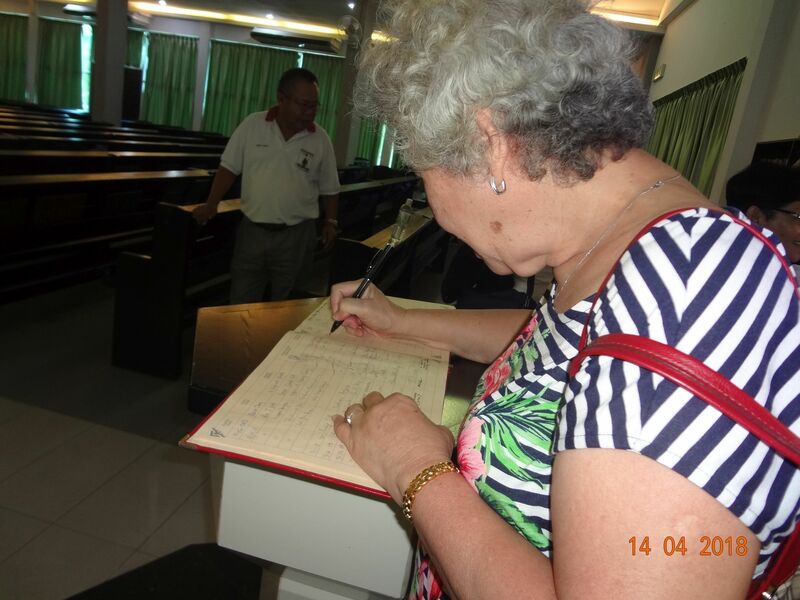 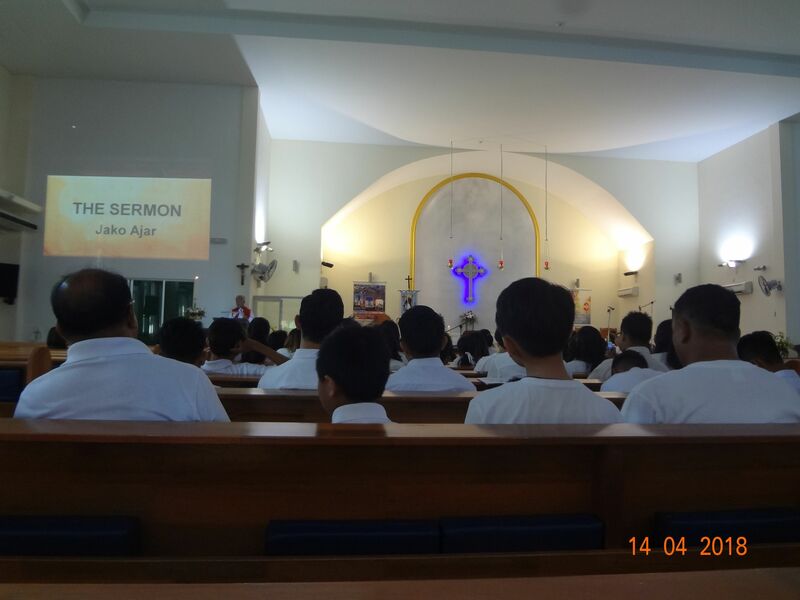 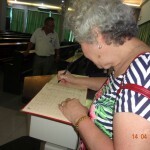 Delegates were divided into groups to provide answers to questions pertaining to the seniors in their parish, their needs and to suggest ways to minister to them. 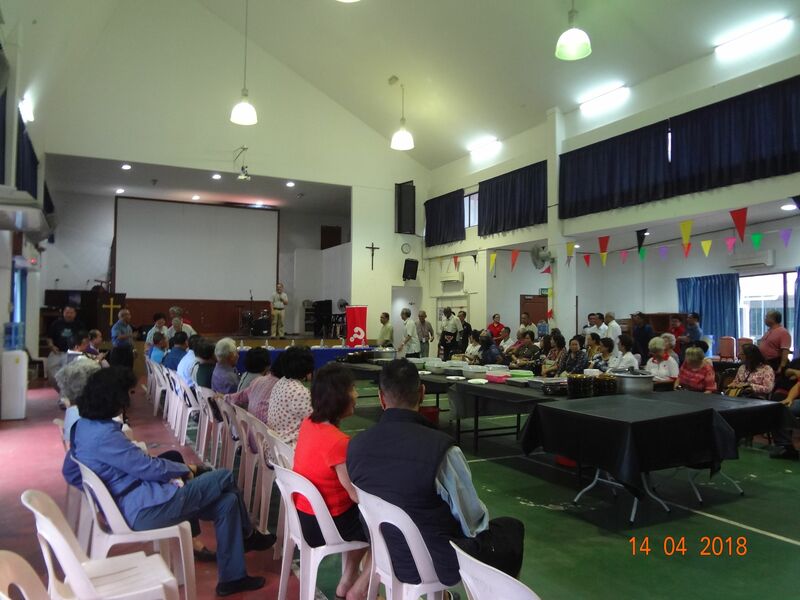 The feedback would provide a basis for the Diocese to consider how best to serve the needs of the seniors. 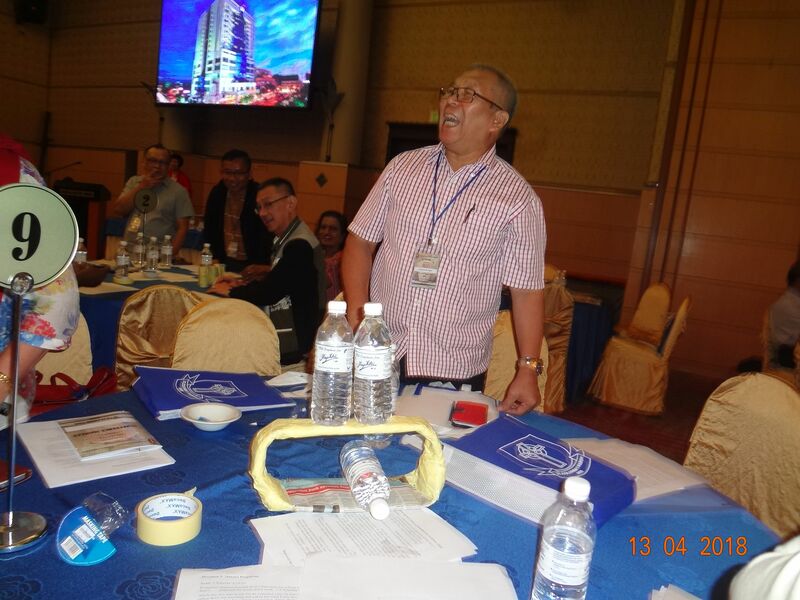 After lunch, the delegates participated in the Team Building program followed by sharing from The Golden Circle of West Malaysia. 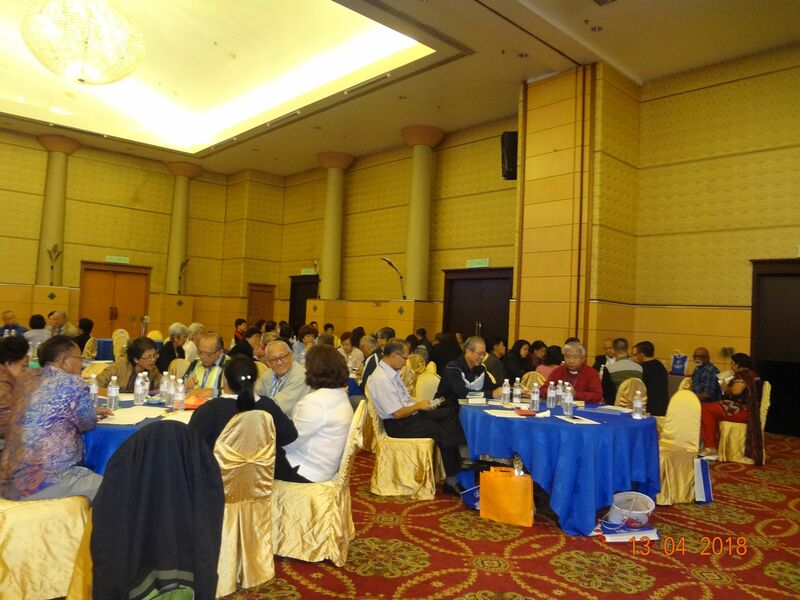 Group reports were presented by the various group facilitators and finally the Conference was wrapped up and ended at 5.00pm. 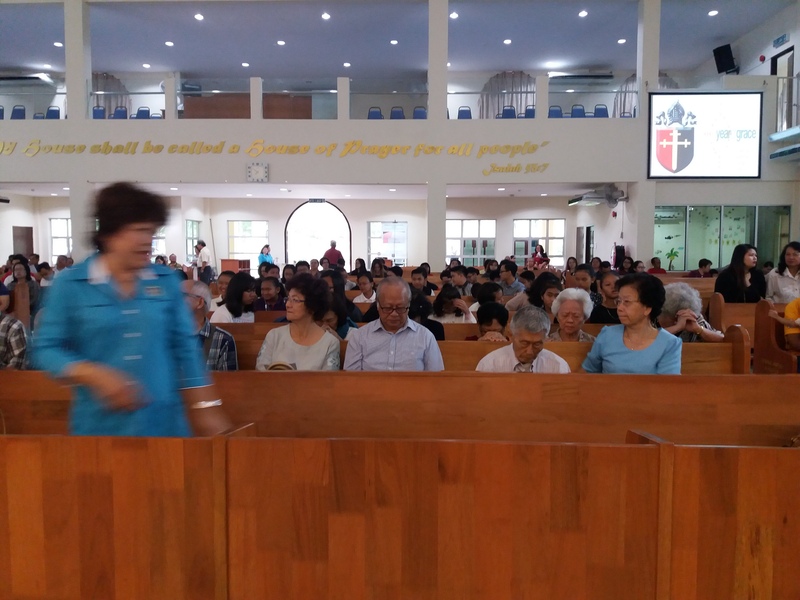 On the third day, delegates were treated to health screening organized by the Chinese Speaking Congregation of St. Columba’s Church . 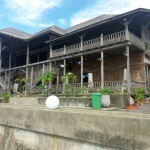 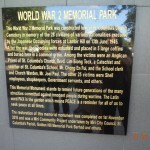 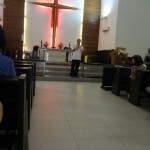 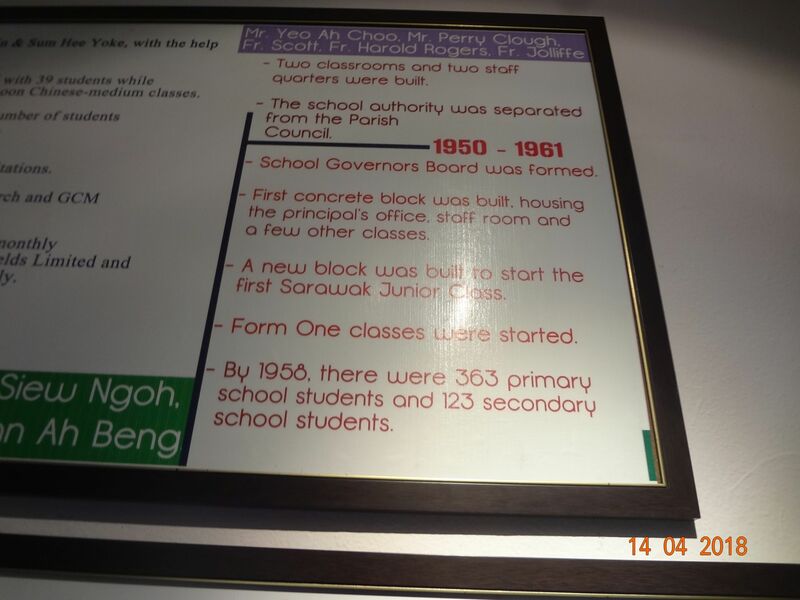 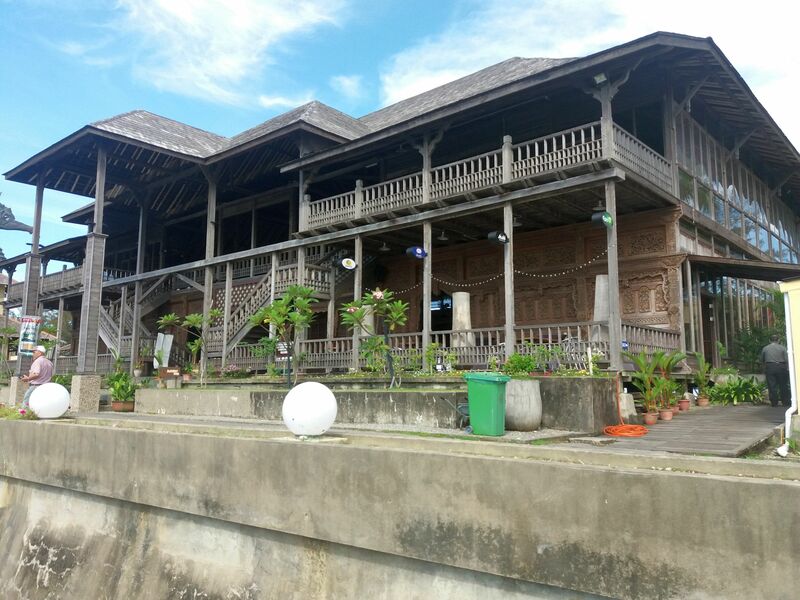 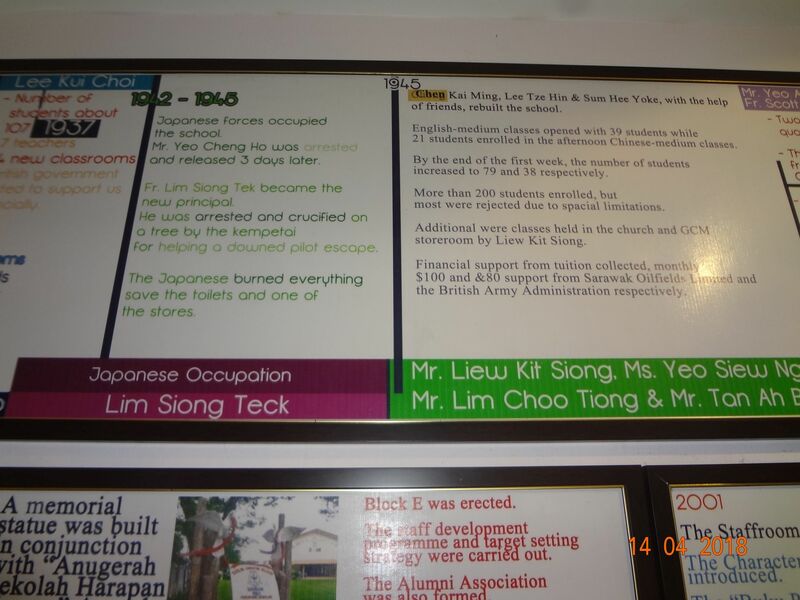 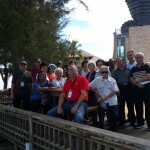 Later a Miri City tour was arranged and we visited the Marina Bay and commercial Centre on reclaimed claim from the sea and then St. Barnabas Church , Taman Tunku and had lunch at Good Shepherd Church, Lutong. 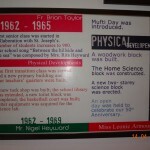 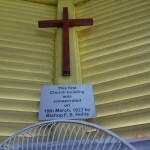 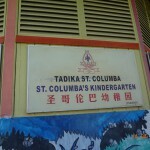 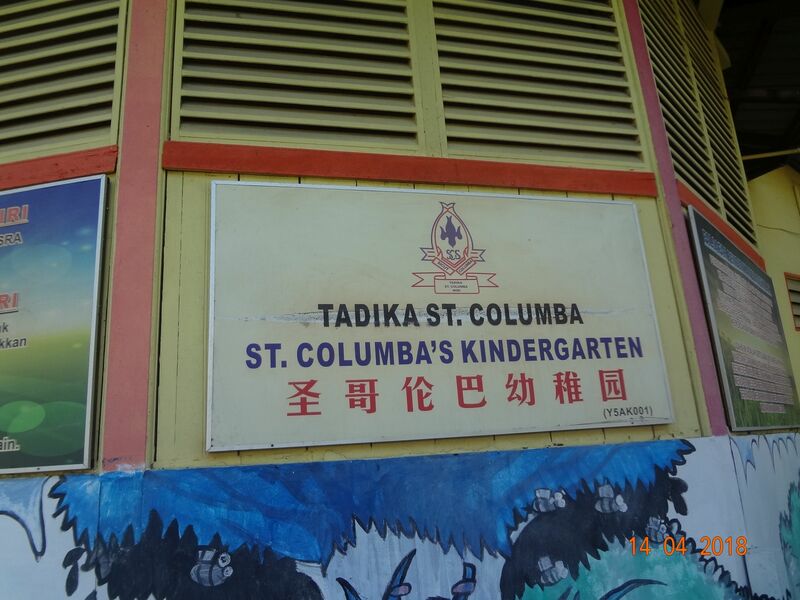 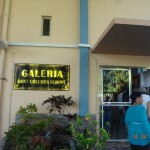 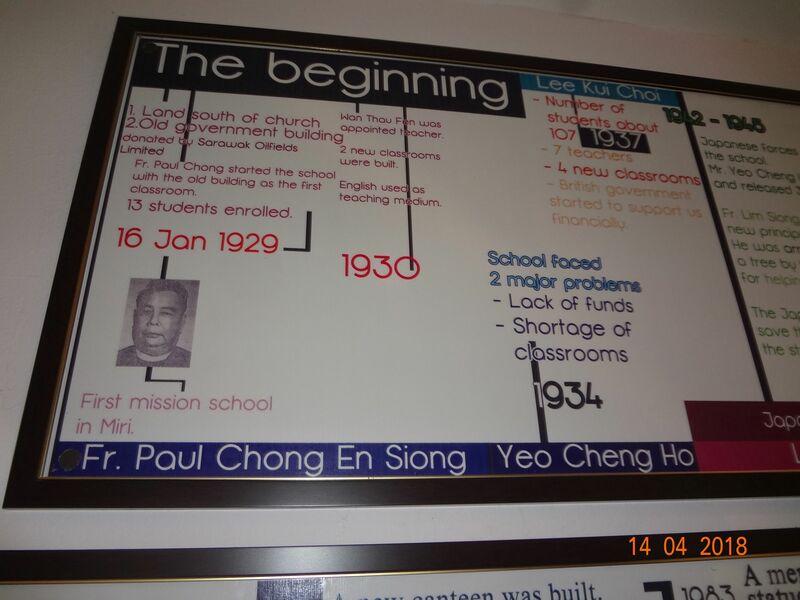 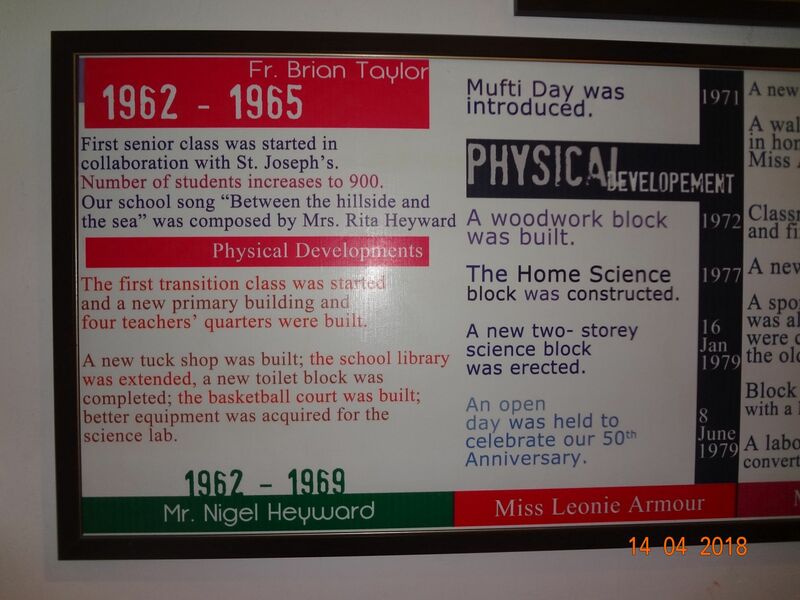 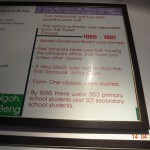 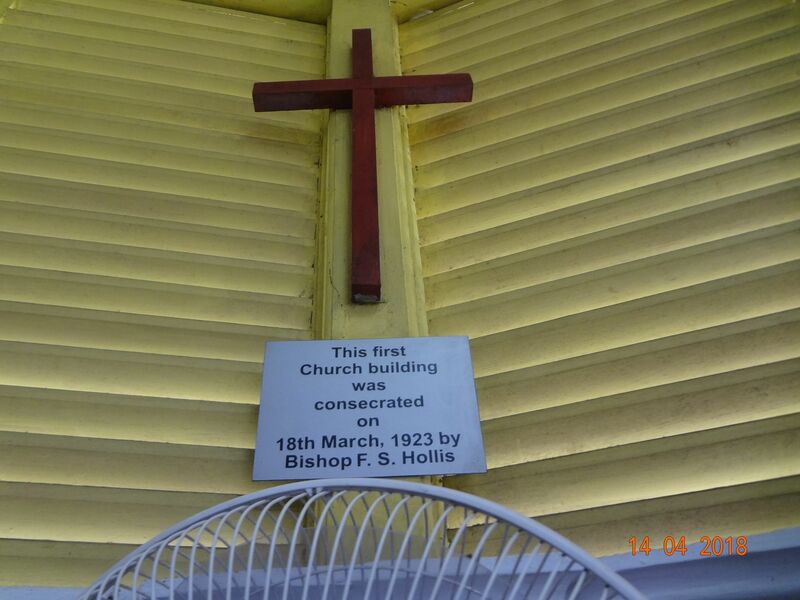 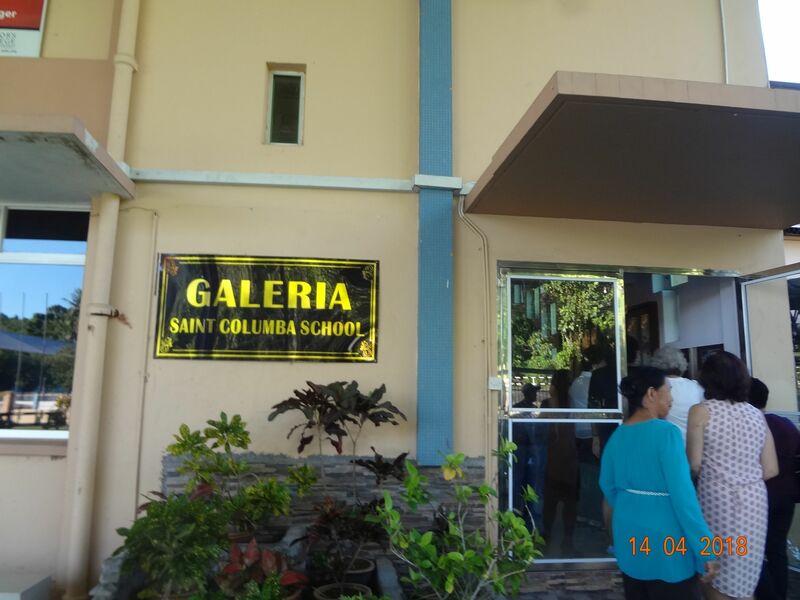 The delegates were brought to visit the St. Columba’s Kindergarten which is the first St. Columba’s Church , consecrated on 18th March 1923 by Bishop F.S. 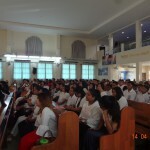 Hollis, followed by the visited to the St. Columba Secondary School before attending the Confirmation Service at St. Columba’s church. 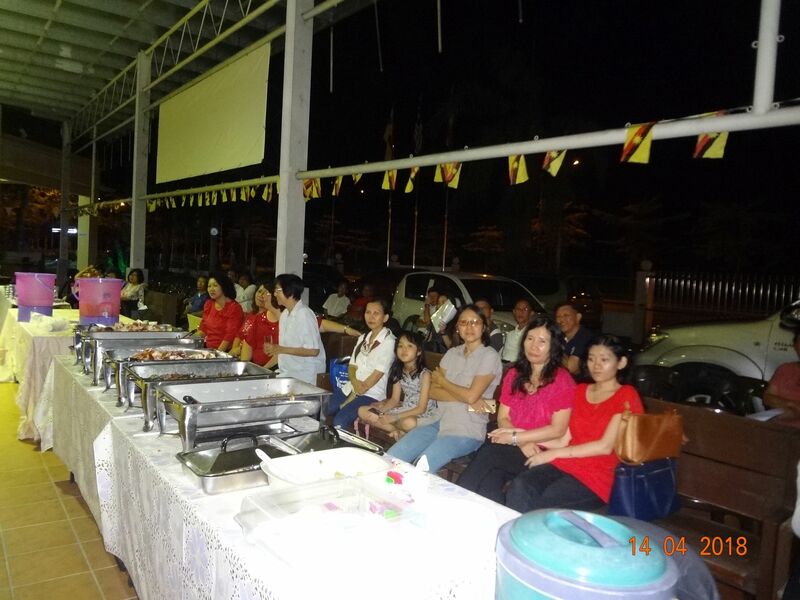 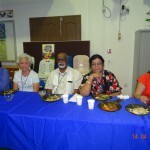 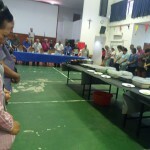 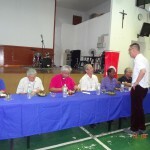 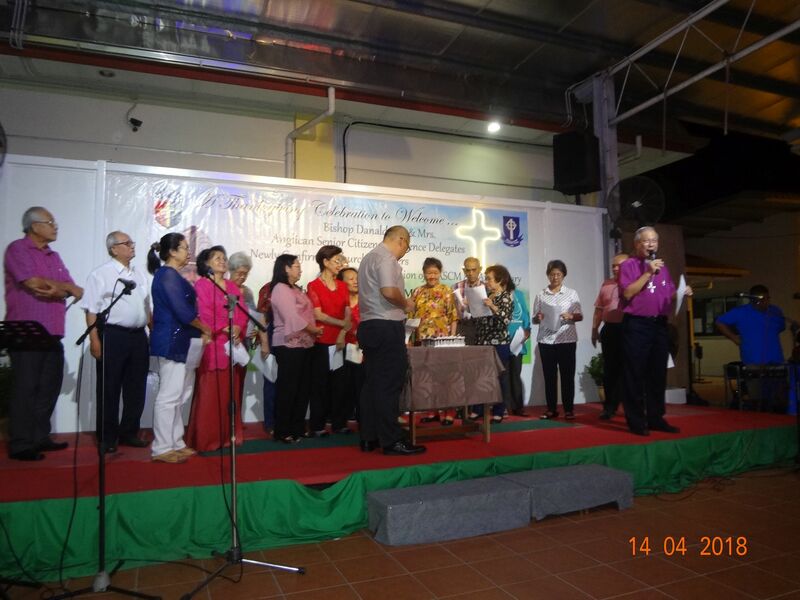 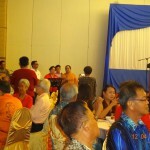 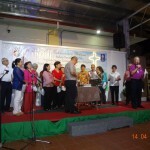 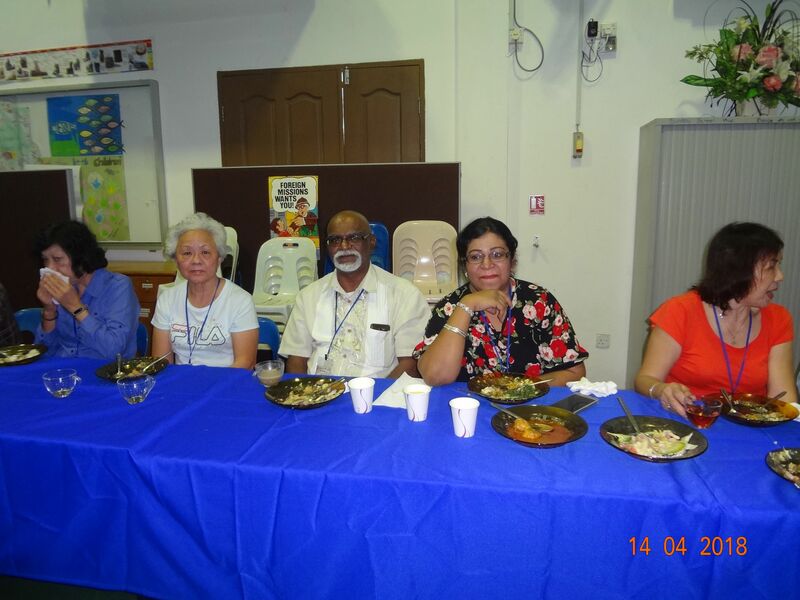 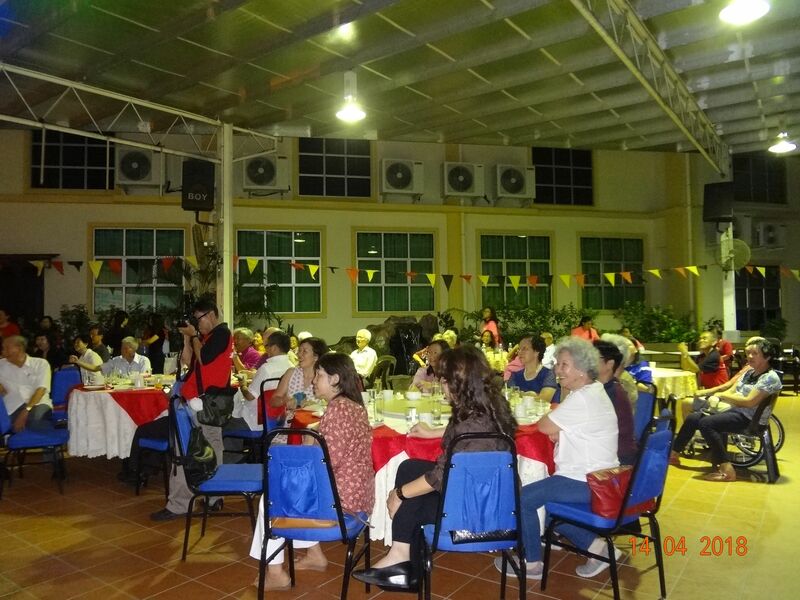 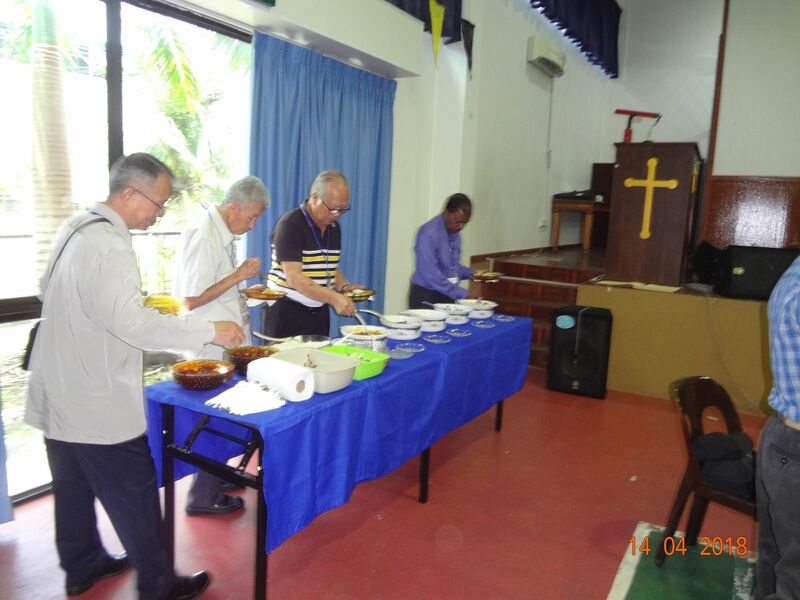 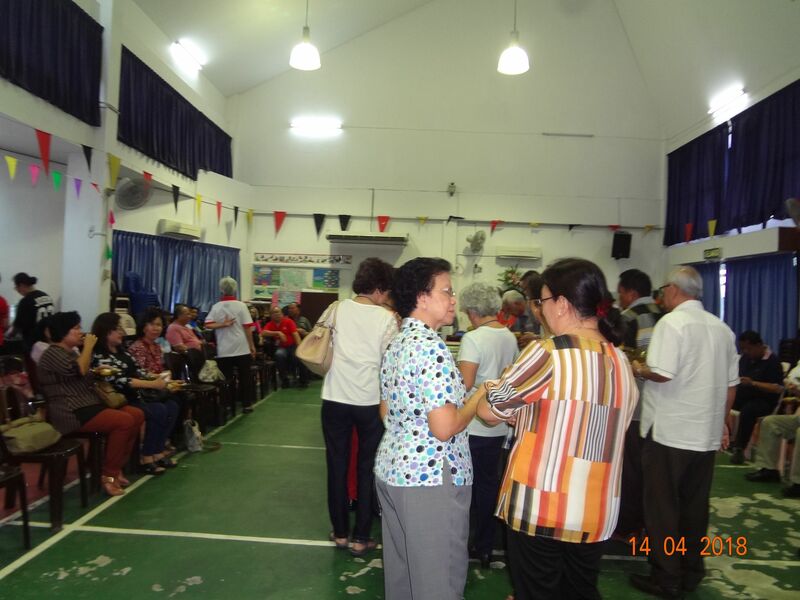 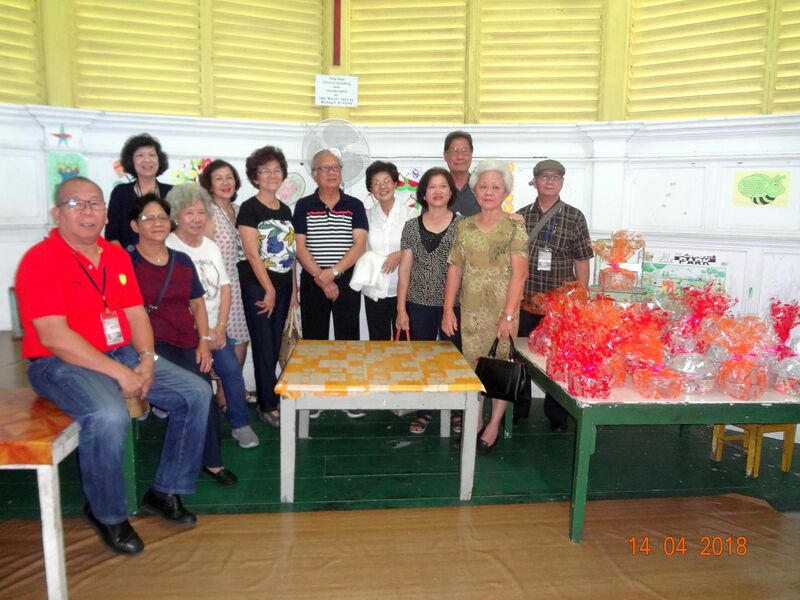 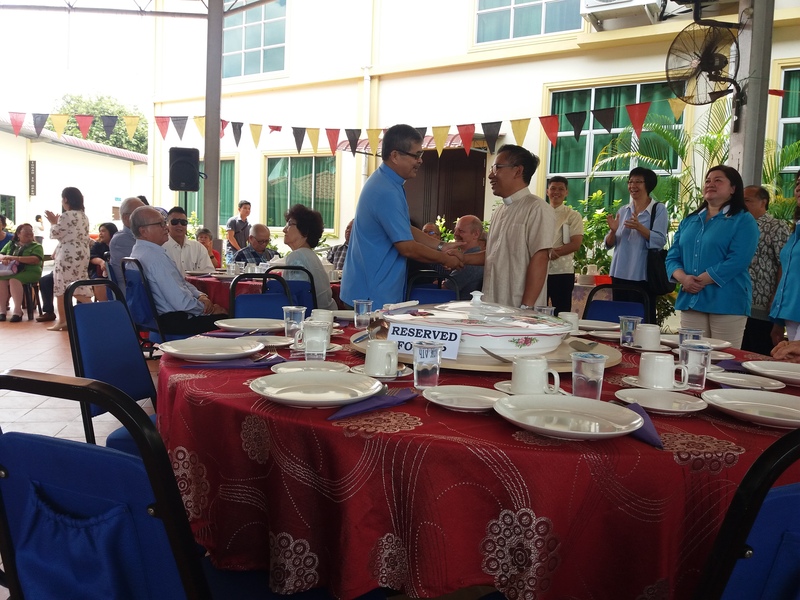 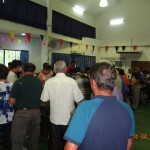 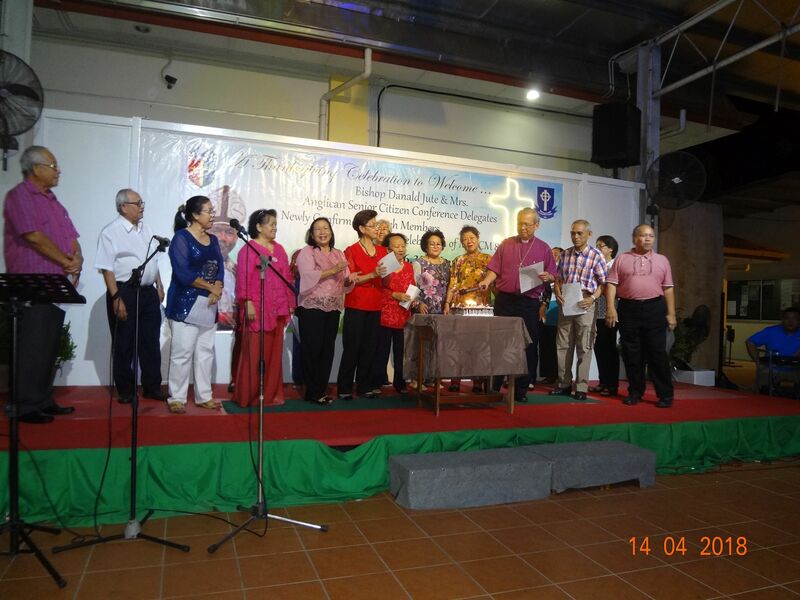 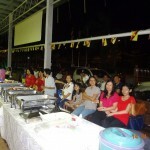 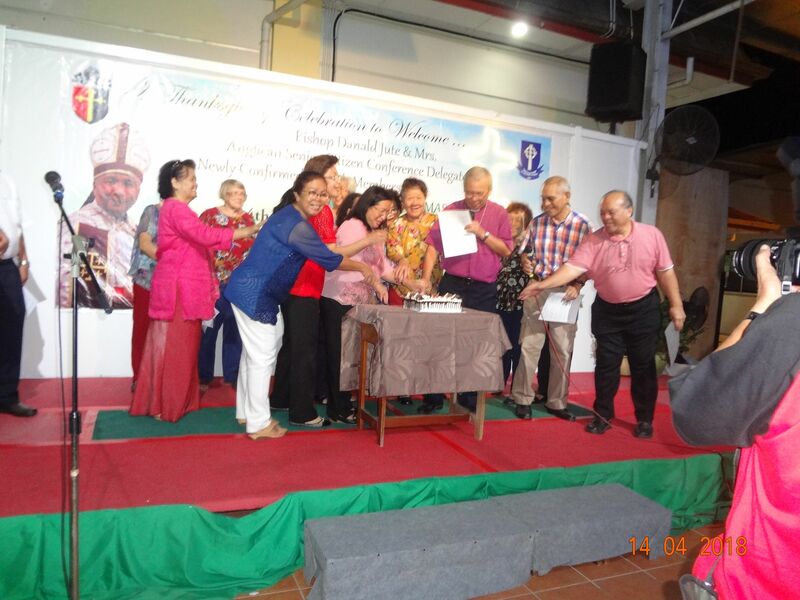 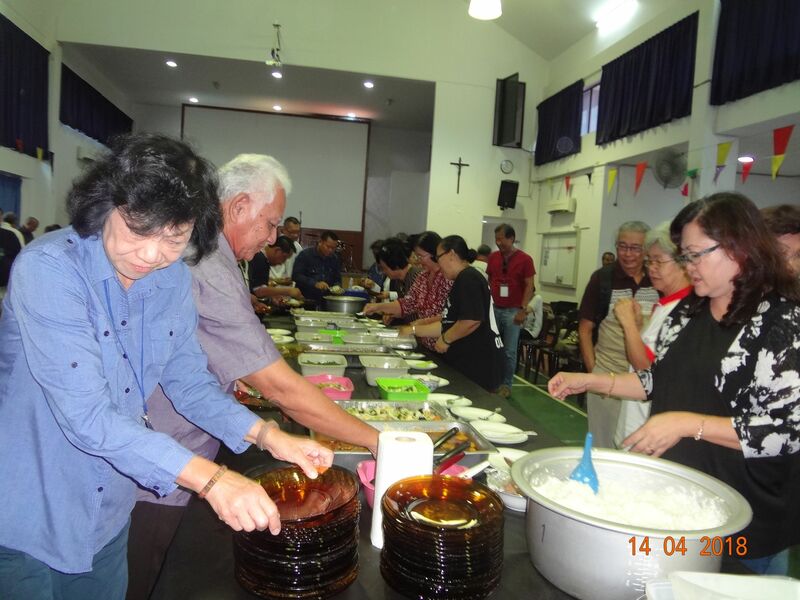 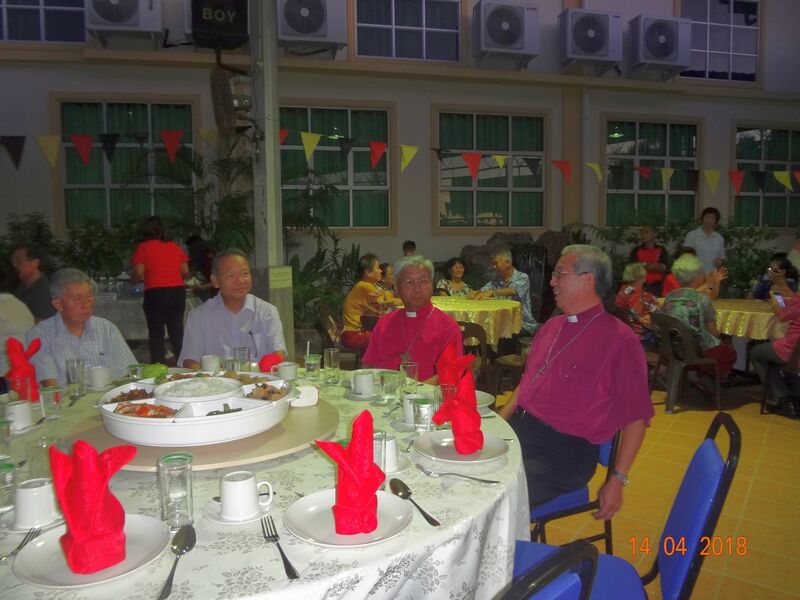 After the service, a Thanksgiving dinner was served at St. Columba’s Courtyard for the newly confirmed candidates and to celebrate Miri Anglican Senior Citizen Ministry (MASCM) 8th Anniversary. 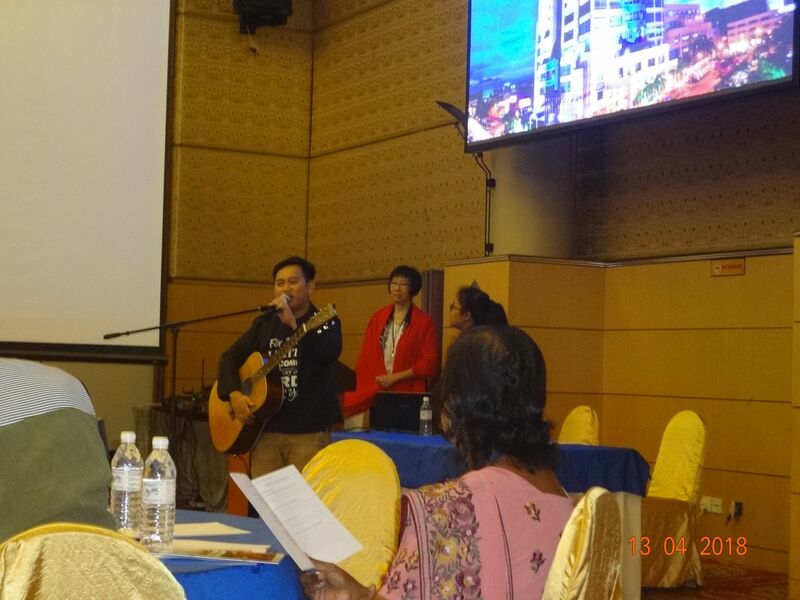 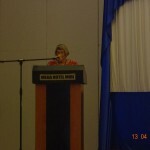 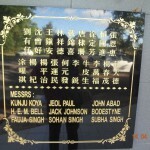 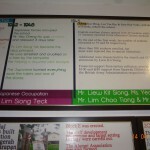 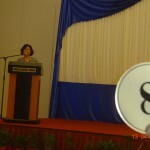 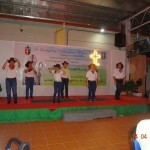 Many performances were presented by the various Ministries. 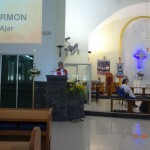 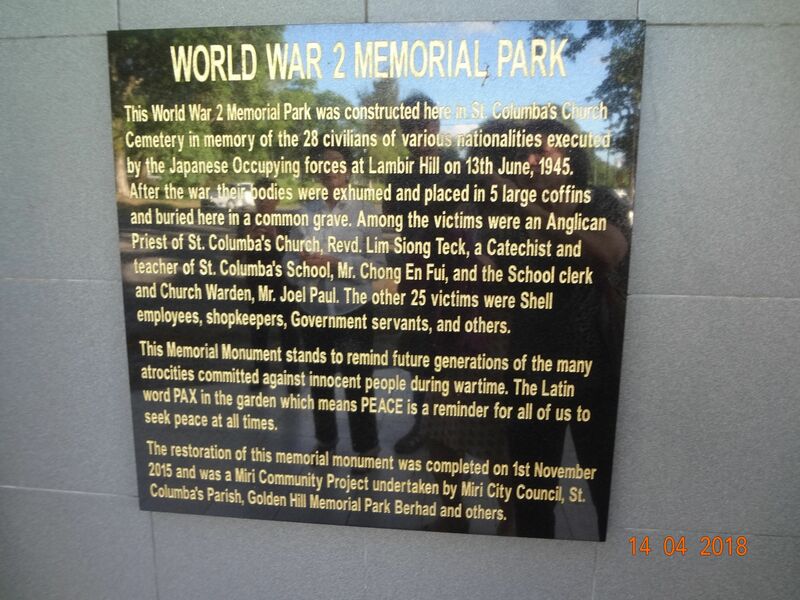 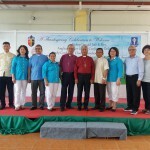 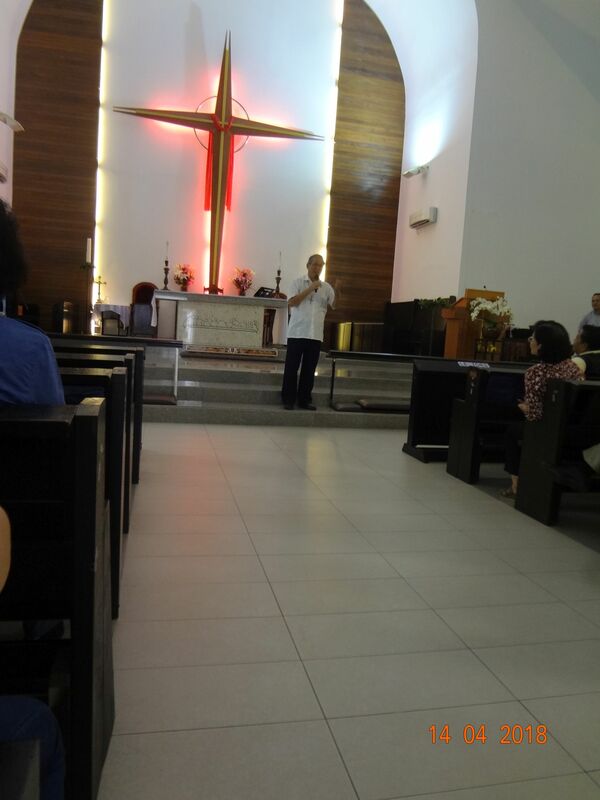 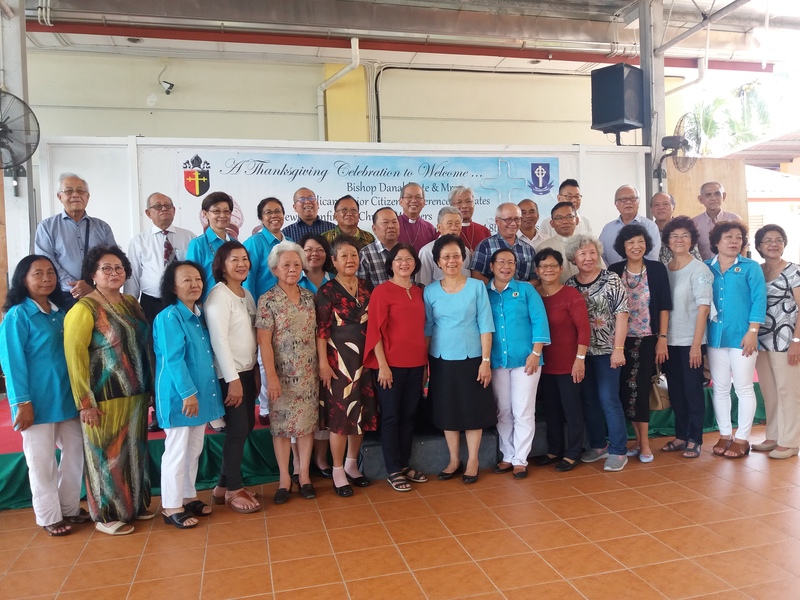 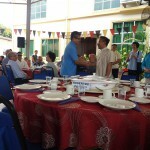 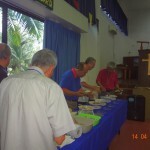 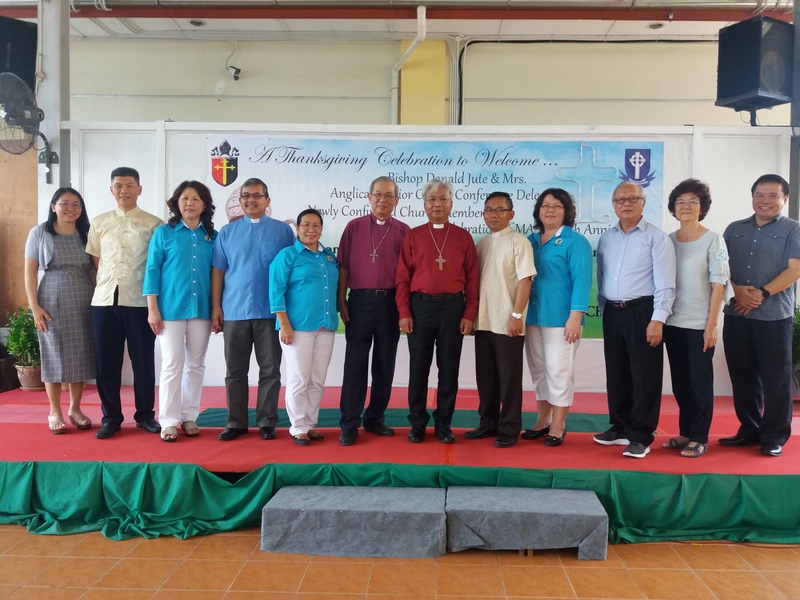 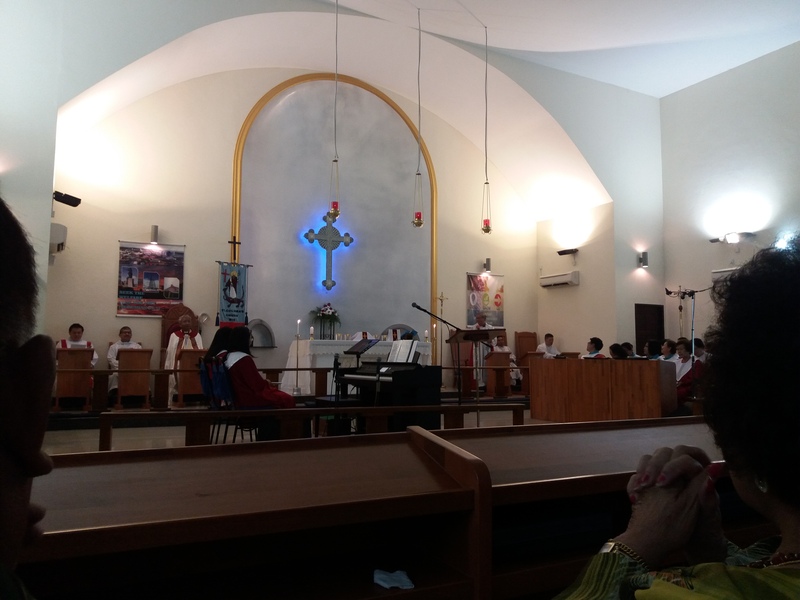 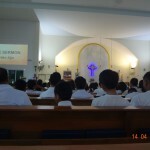 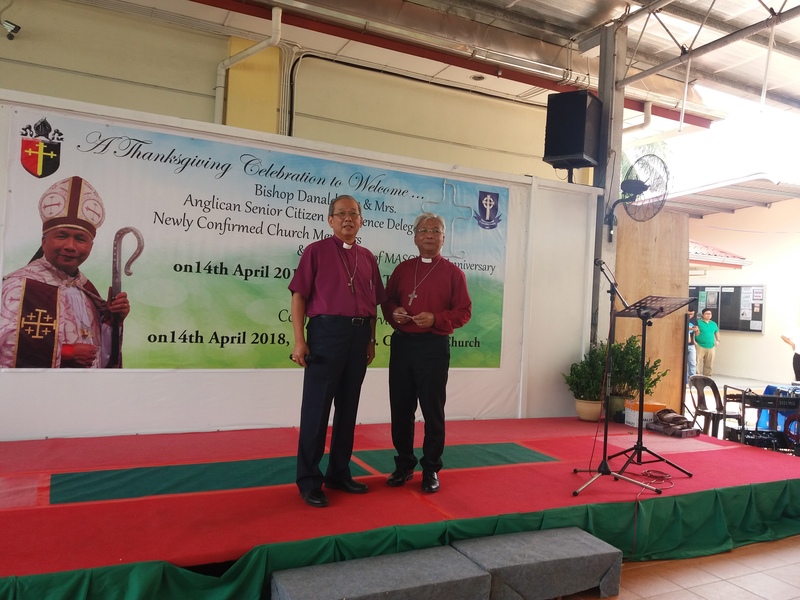 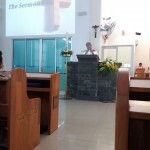 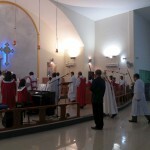 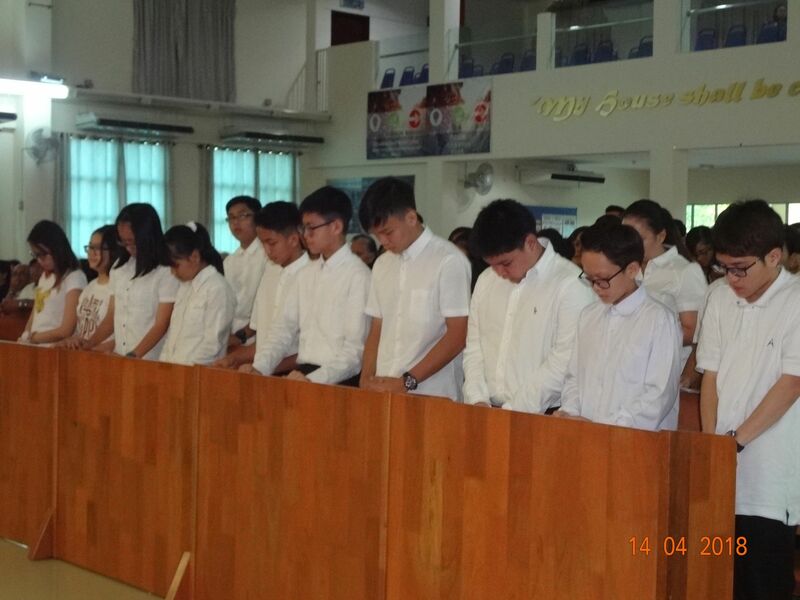 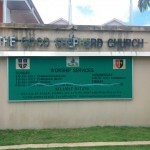 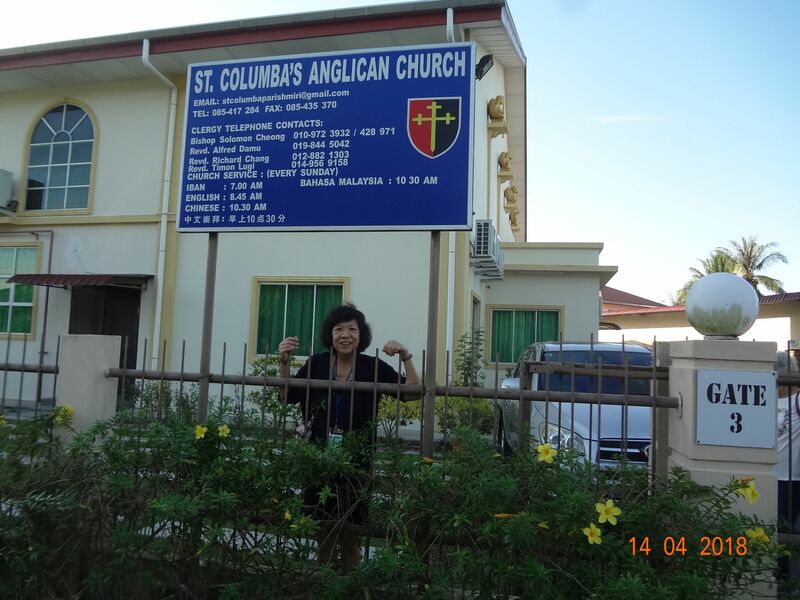 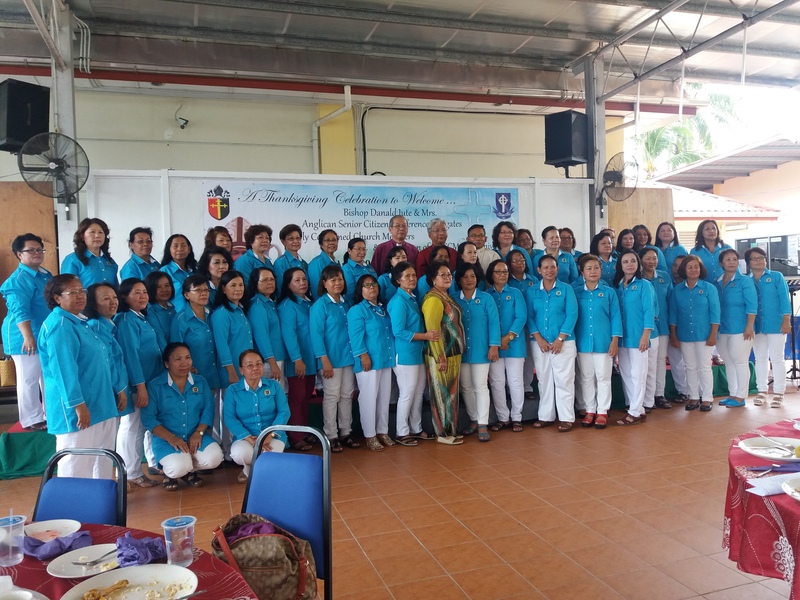 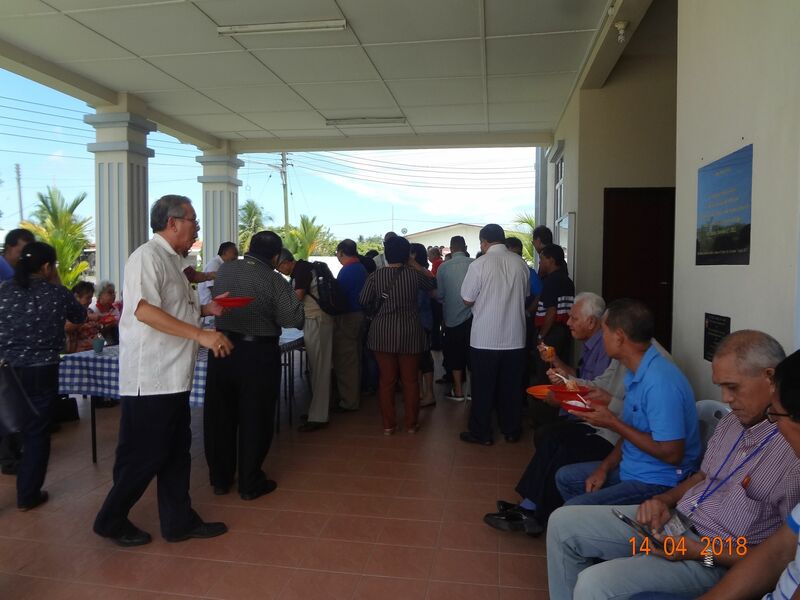 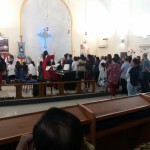 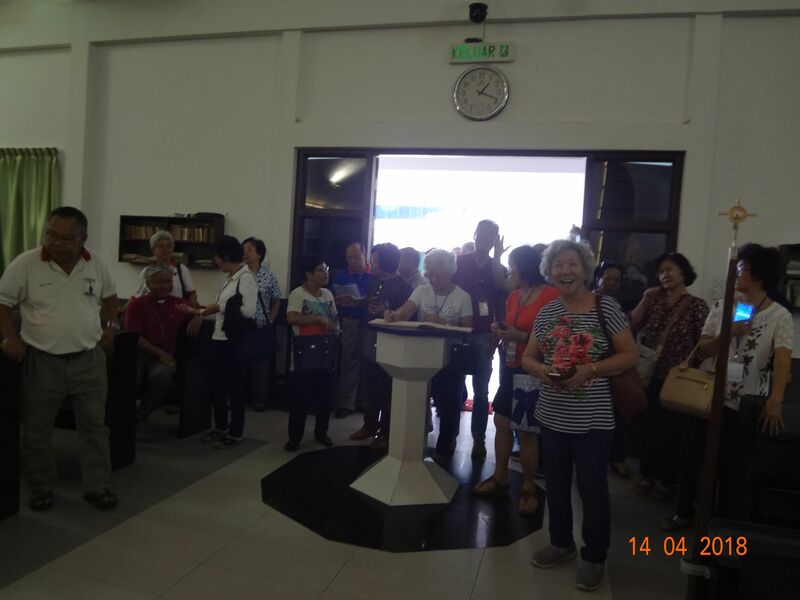 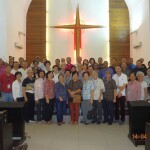 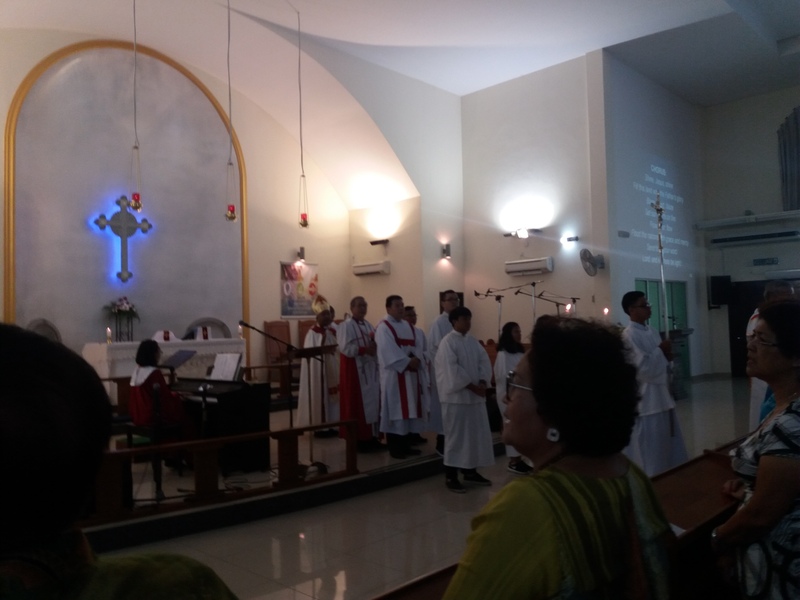 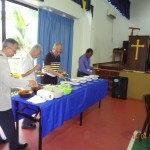 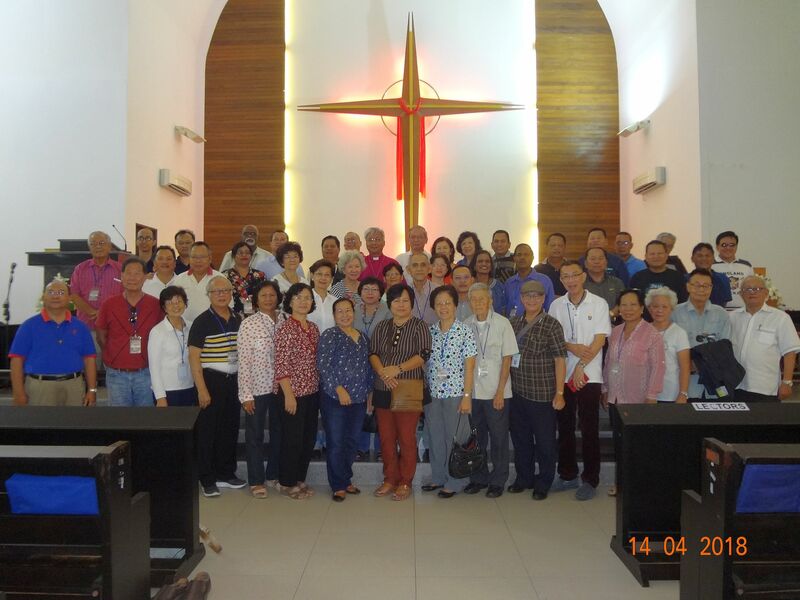 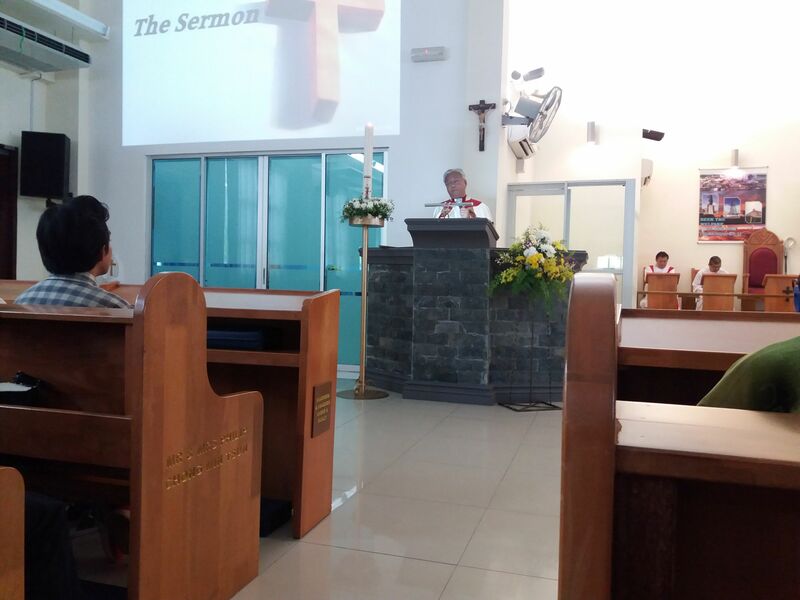 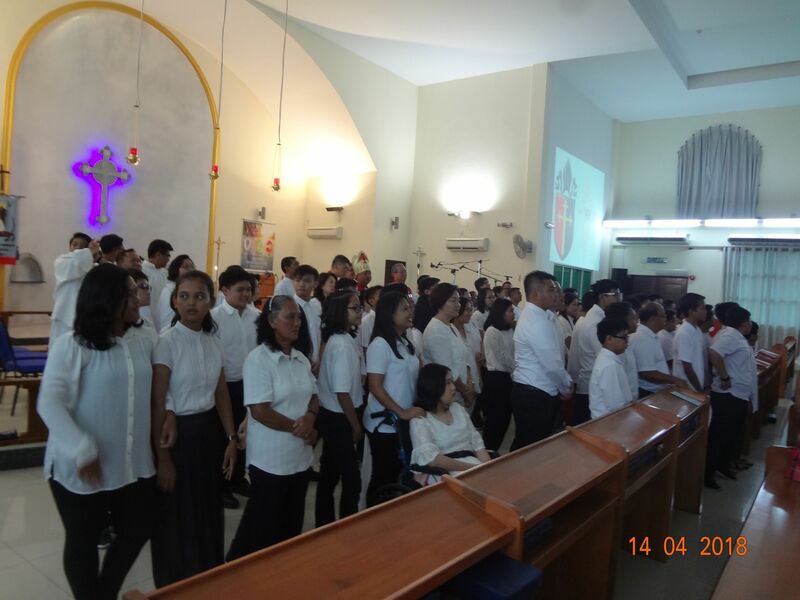 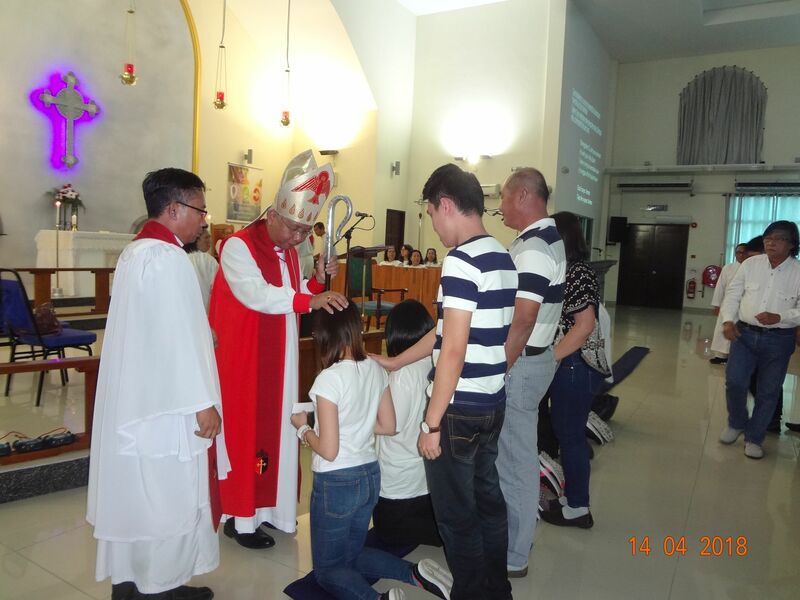 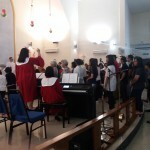 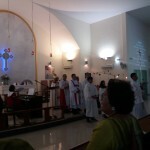 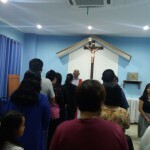 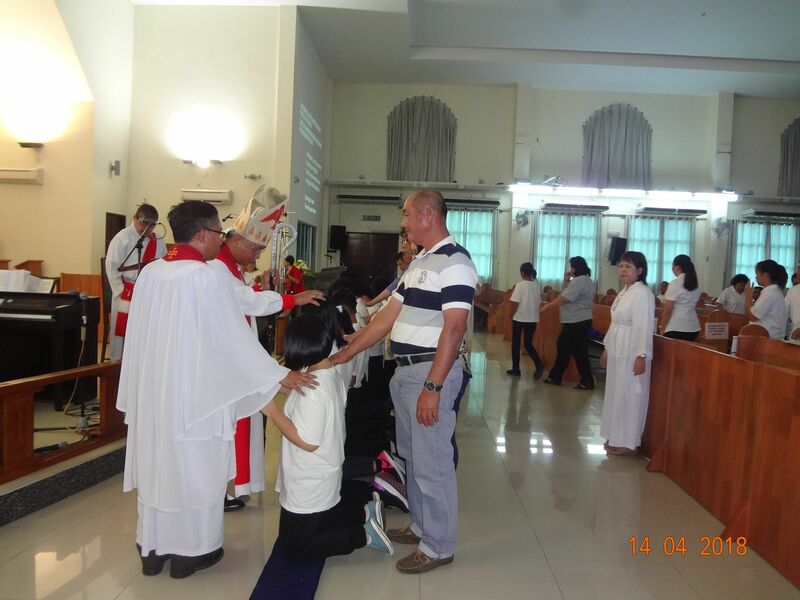 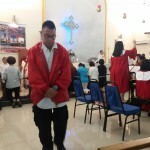 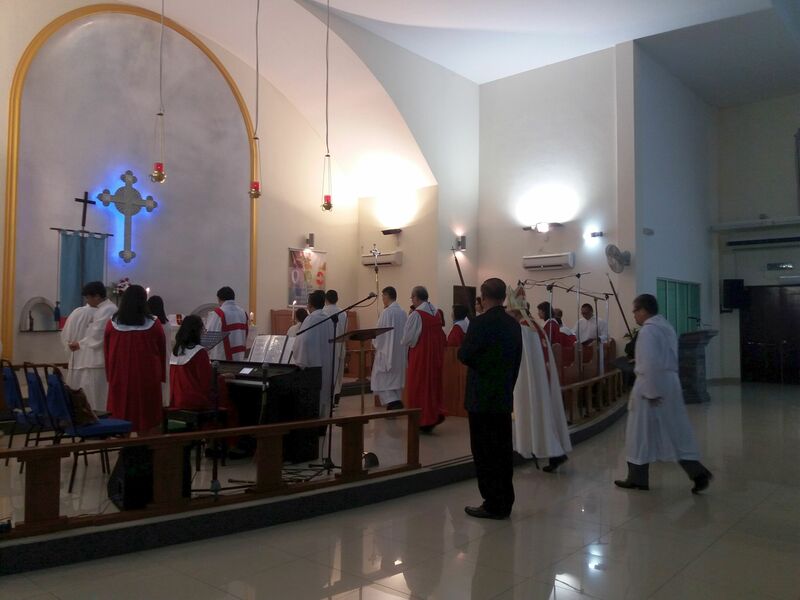 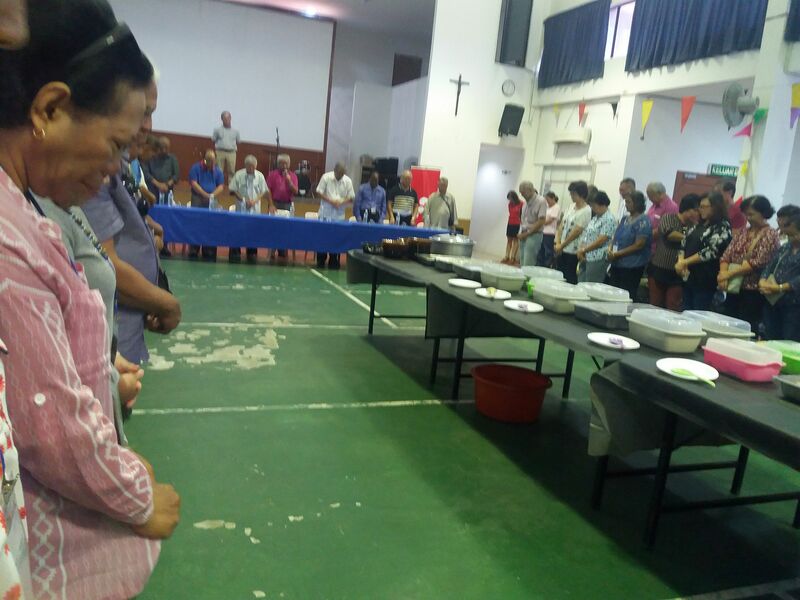 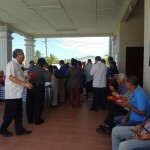 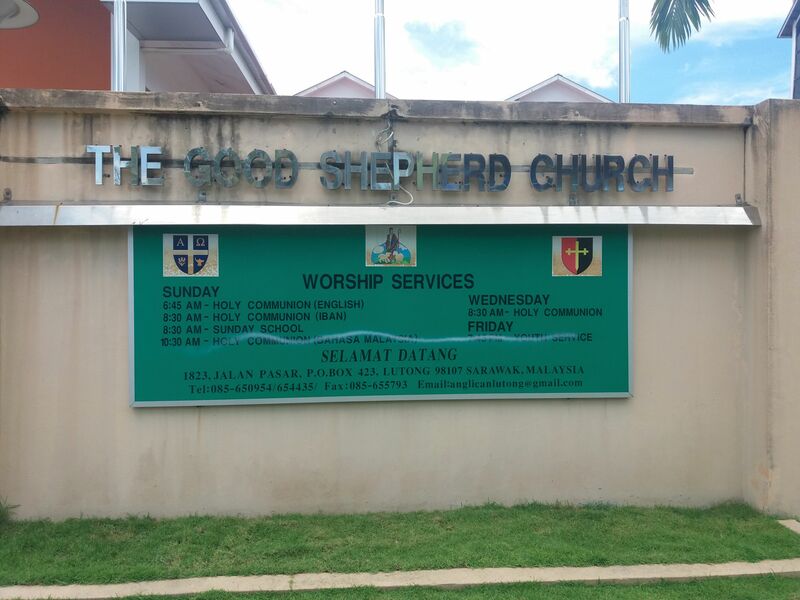 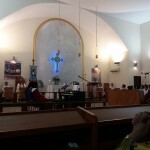 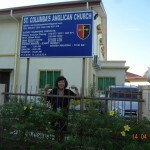 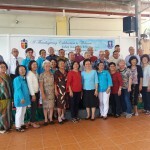 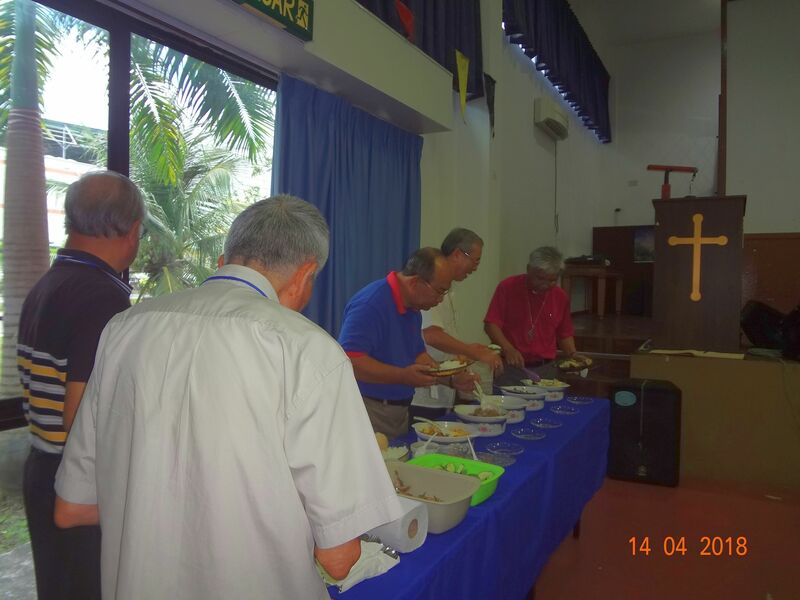 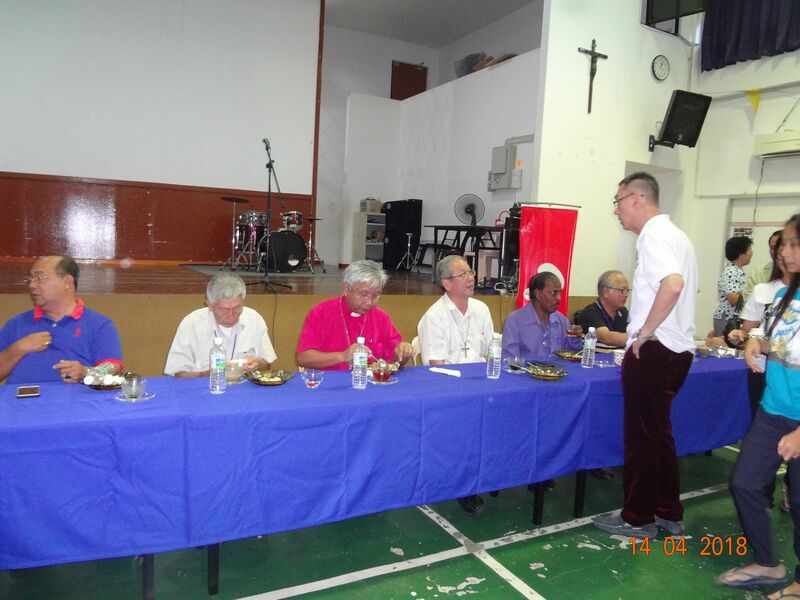 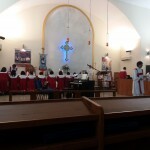 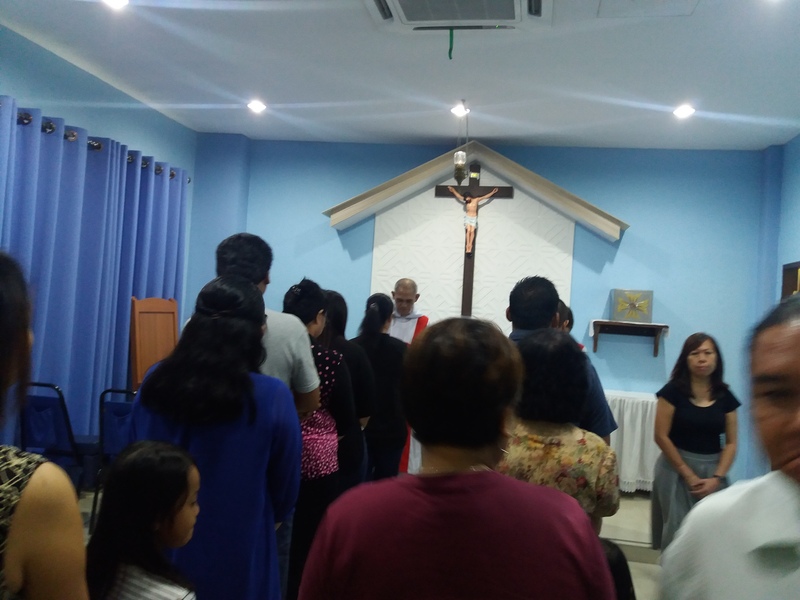 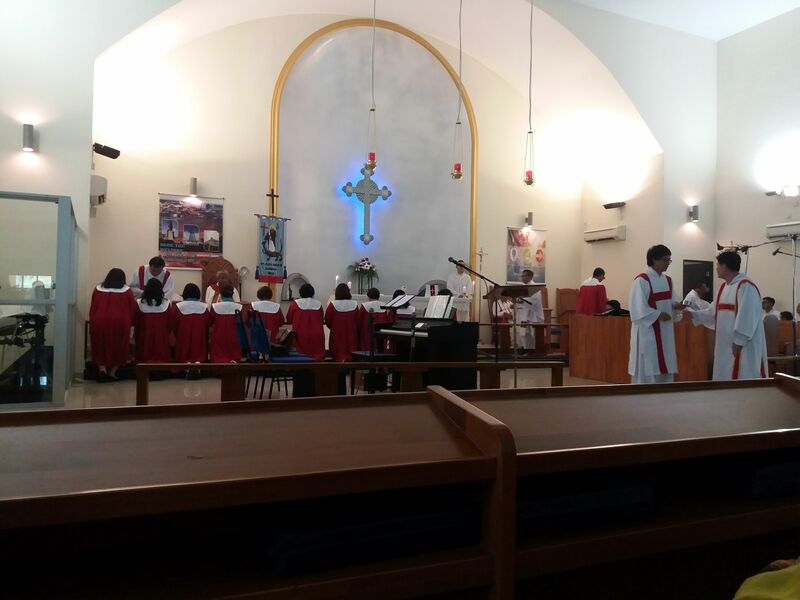 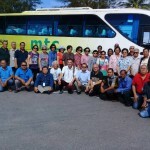 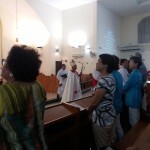 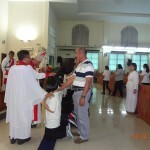 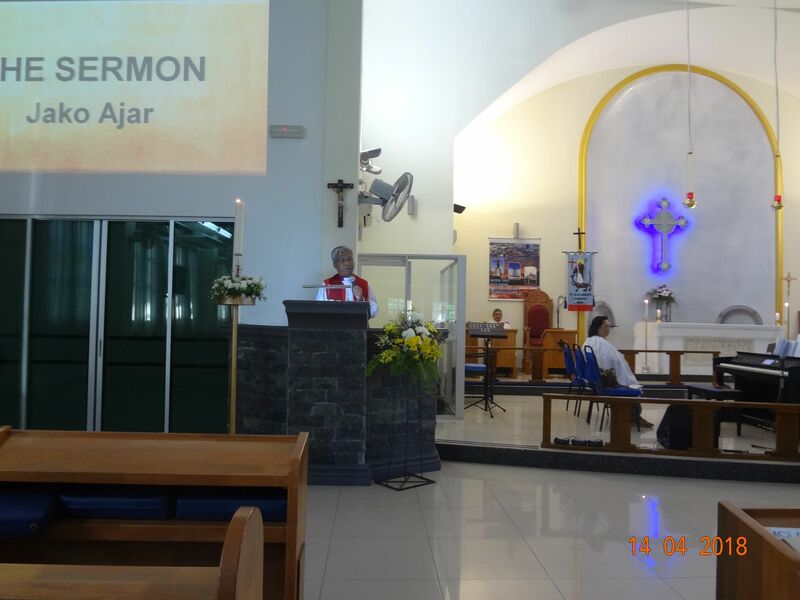 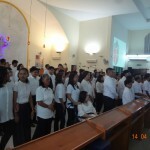 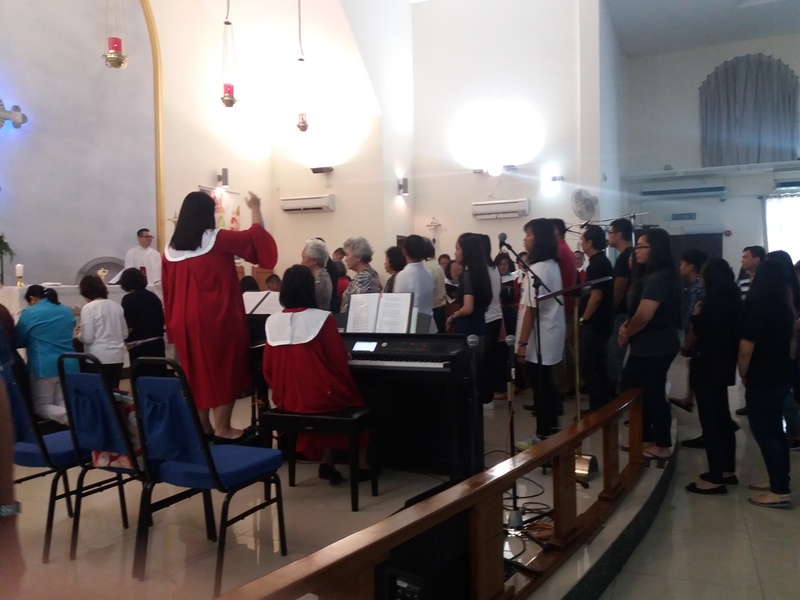 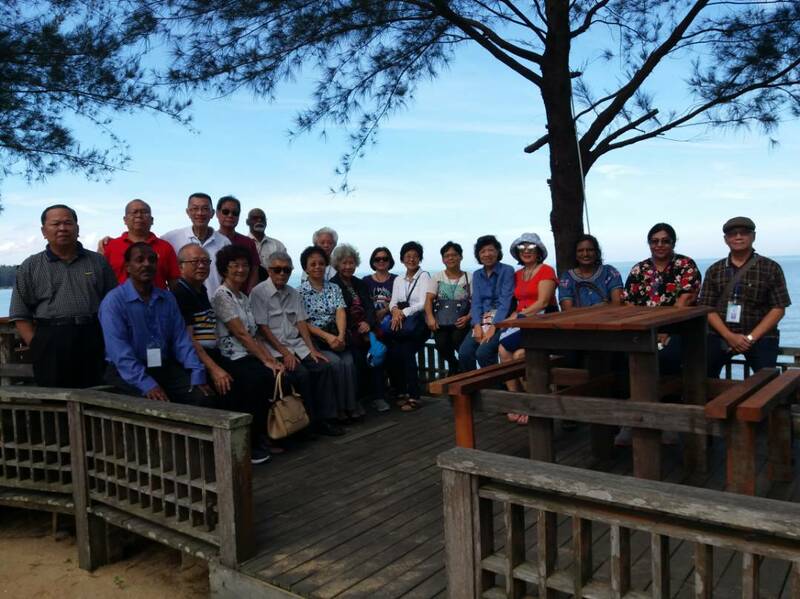 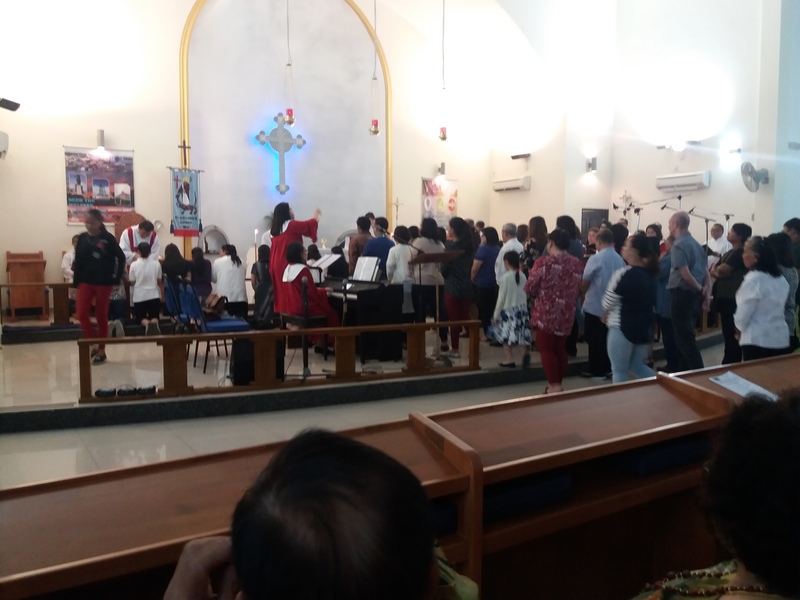 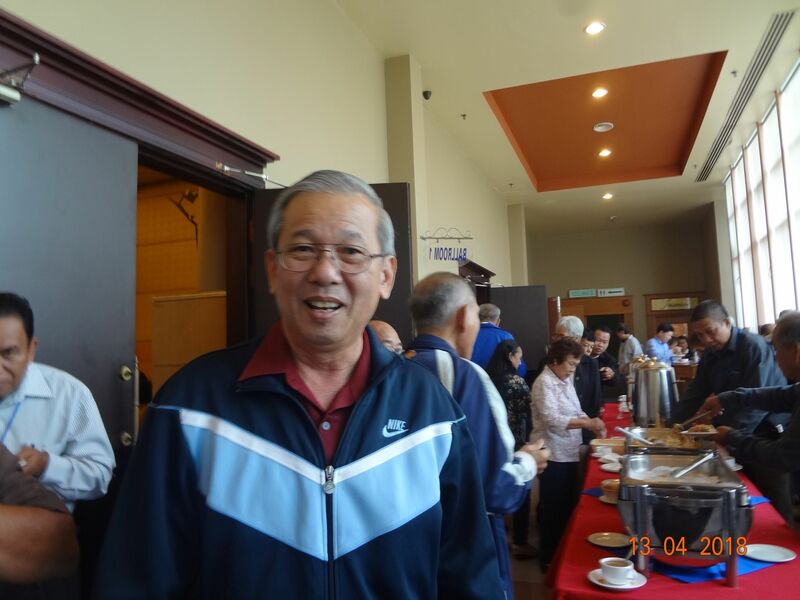 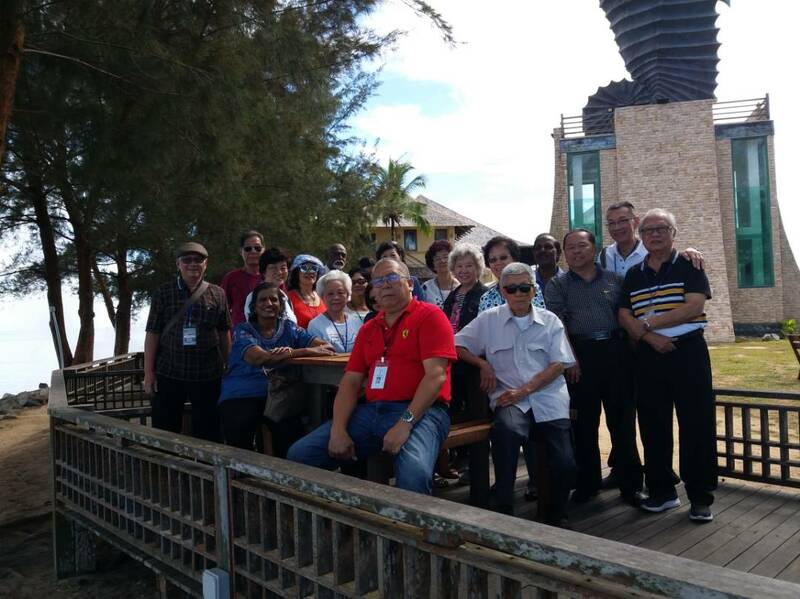 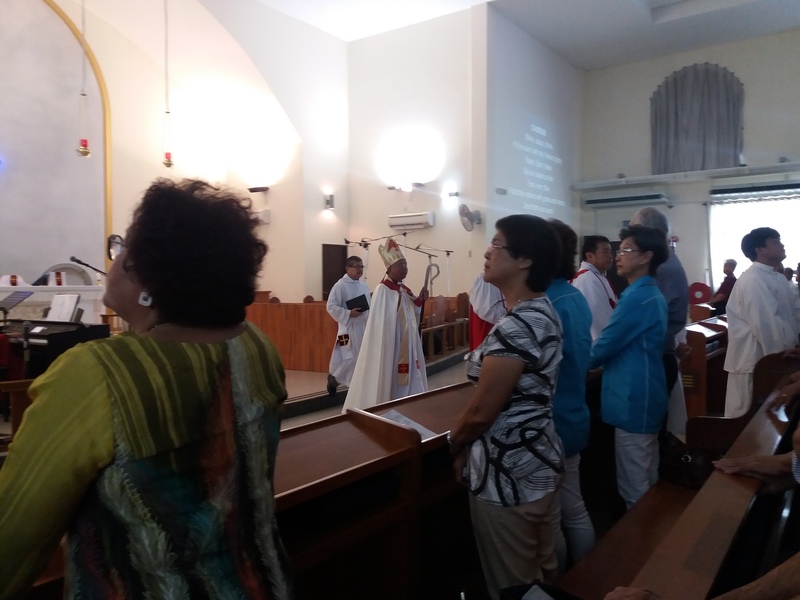 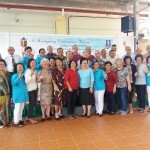 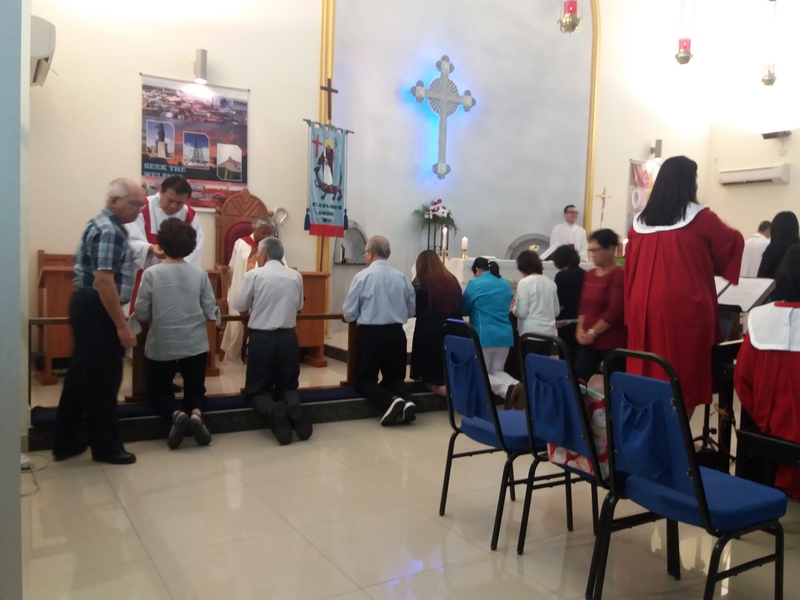 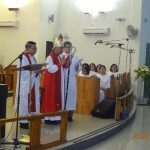 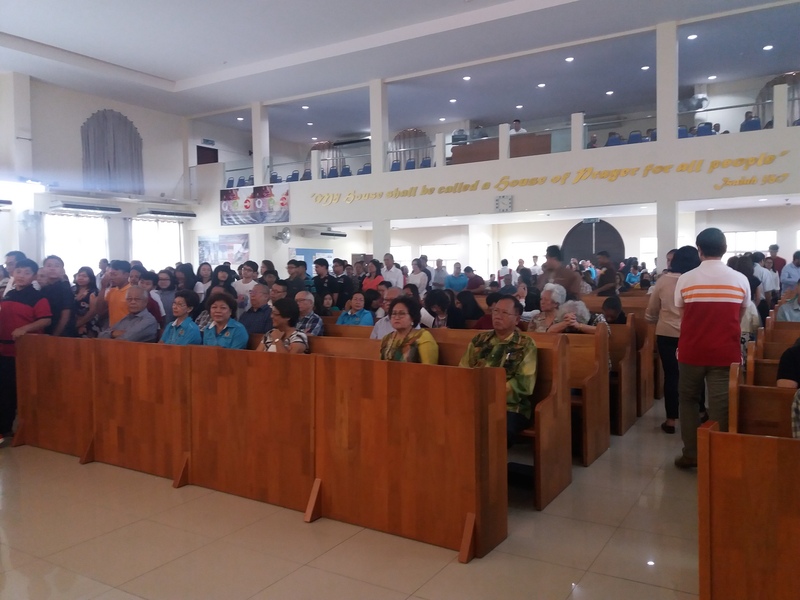 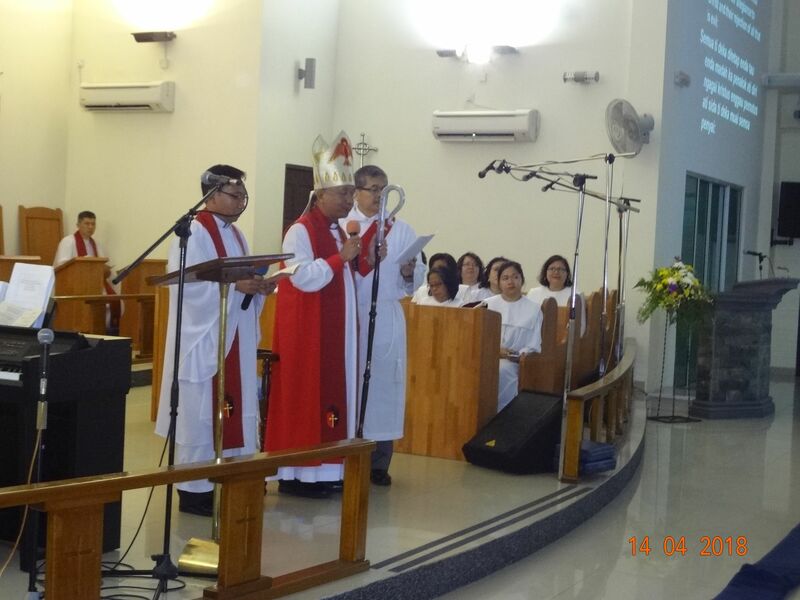 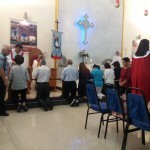 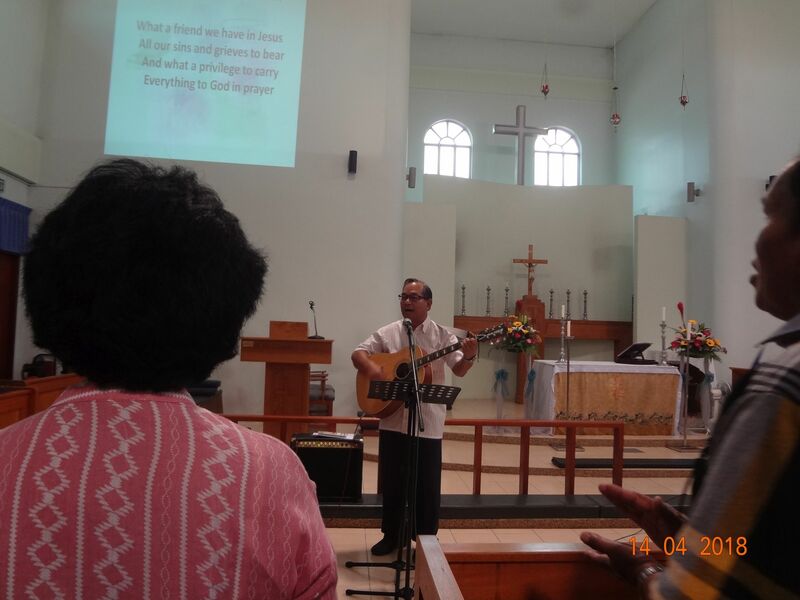 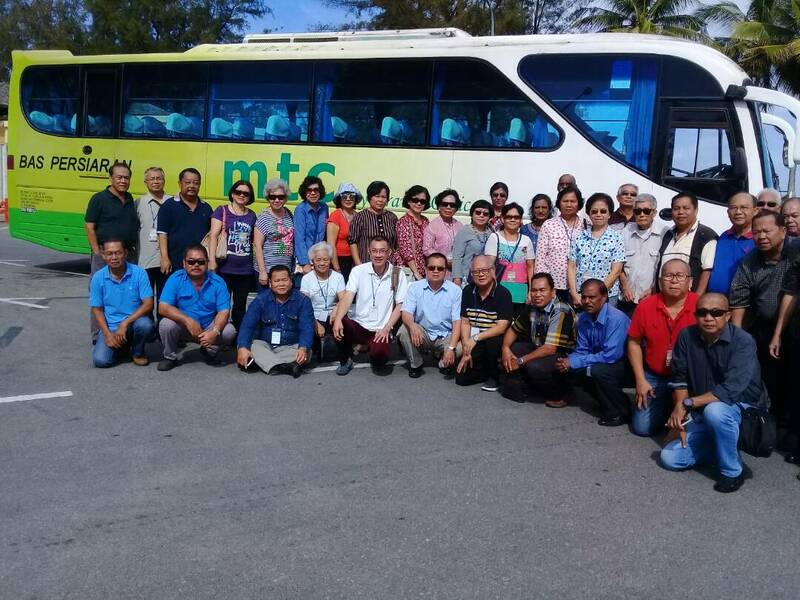 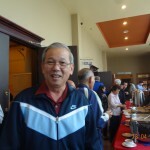 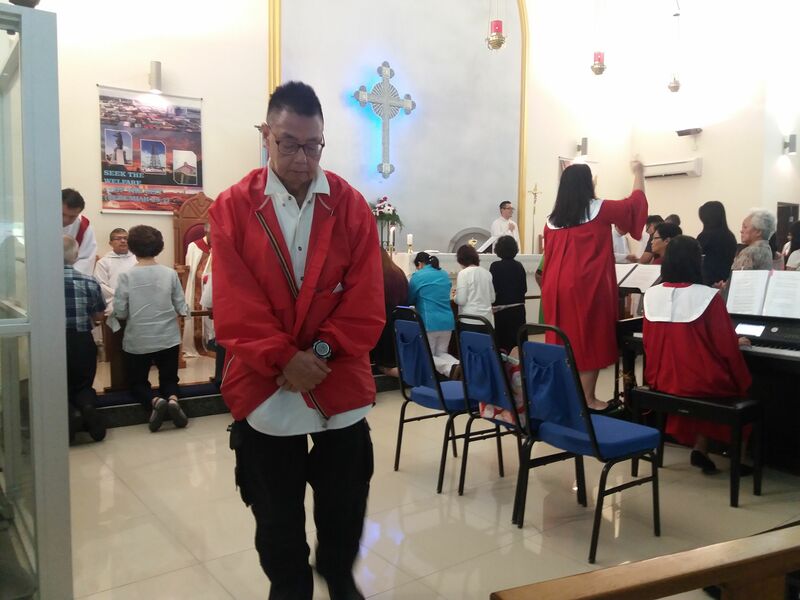 On the last day which was a Sunday, the delegates attended the morning service at St. Columba’s Church and had brunch at the Courtyard and departed from Miri bringing back their fond memories of the good fellowship with the various parishes and the history of the Anglican Church in Miri. 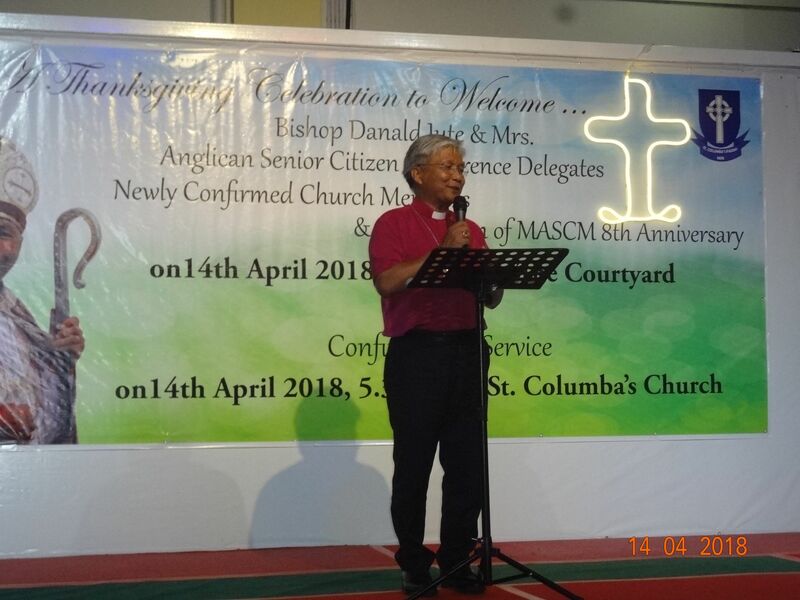 We look forward to new developments to the Ministry to Senior Citizens of the Church and to the community at large in all the parishes of the Diocese.